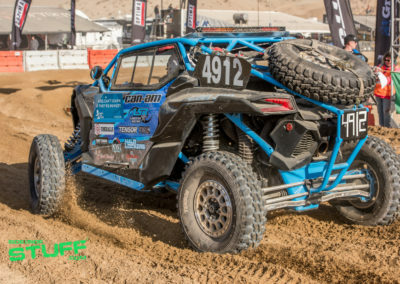 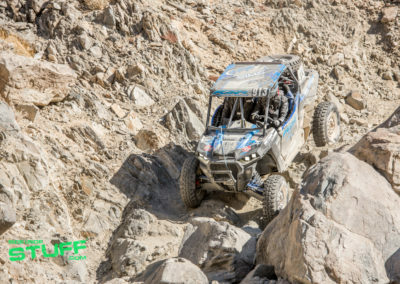 In off-road racing when you hear someone say “It’s hammer time!” they aren’t referring to the classic hit by MC Hammer, they’re talking about the legendary event known as King of the Hammers. 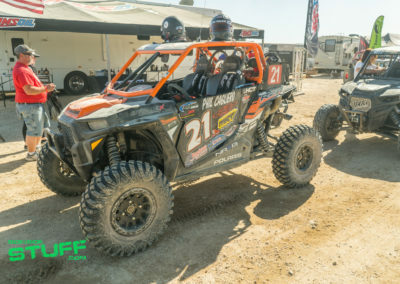 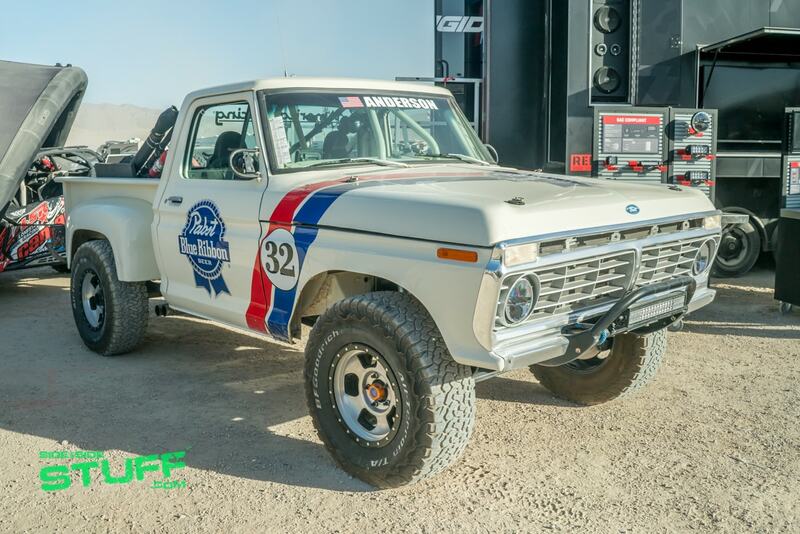 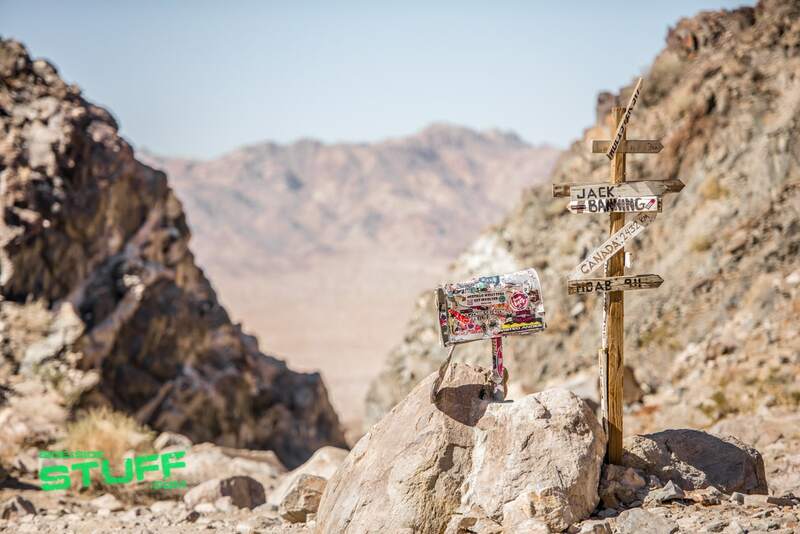 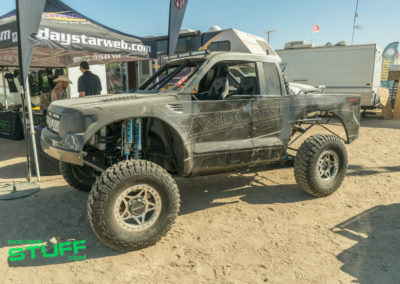 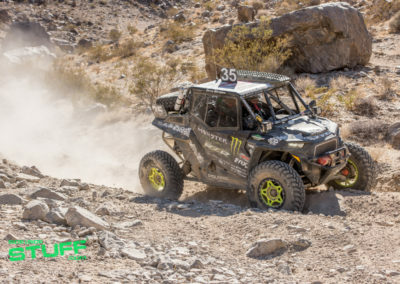 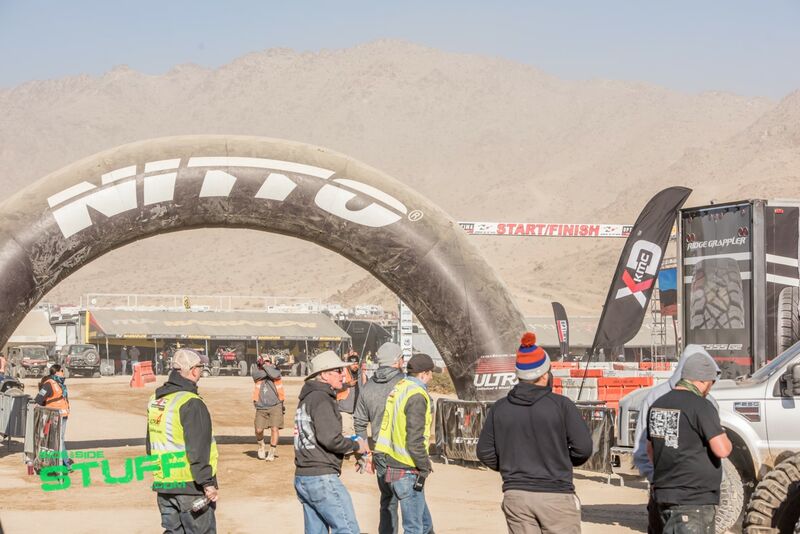 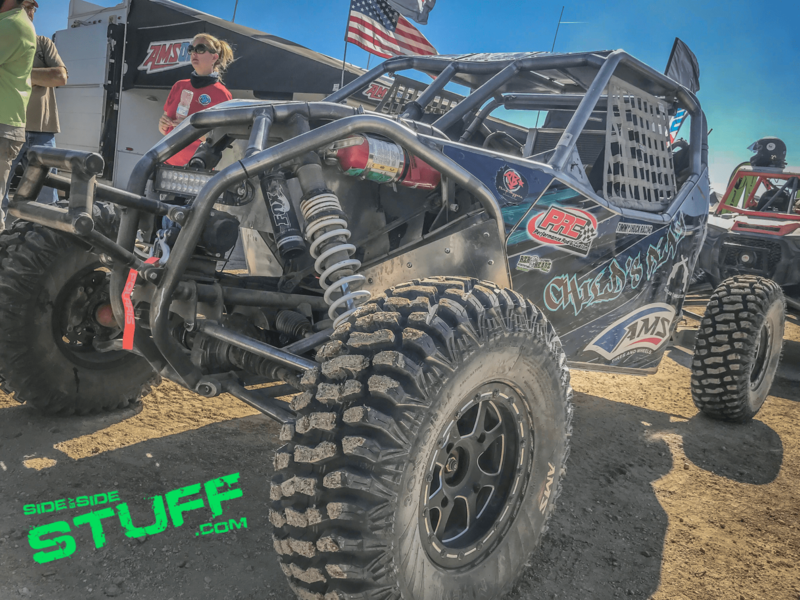 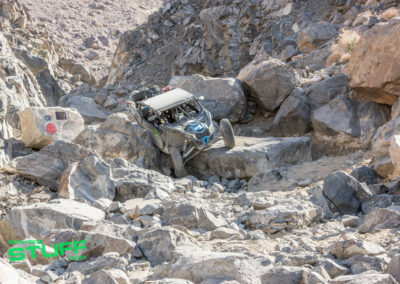 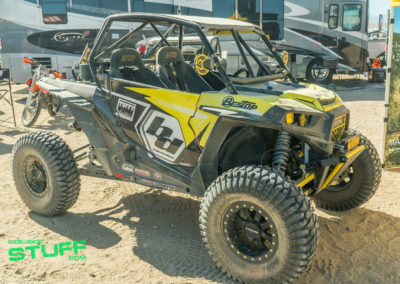 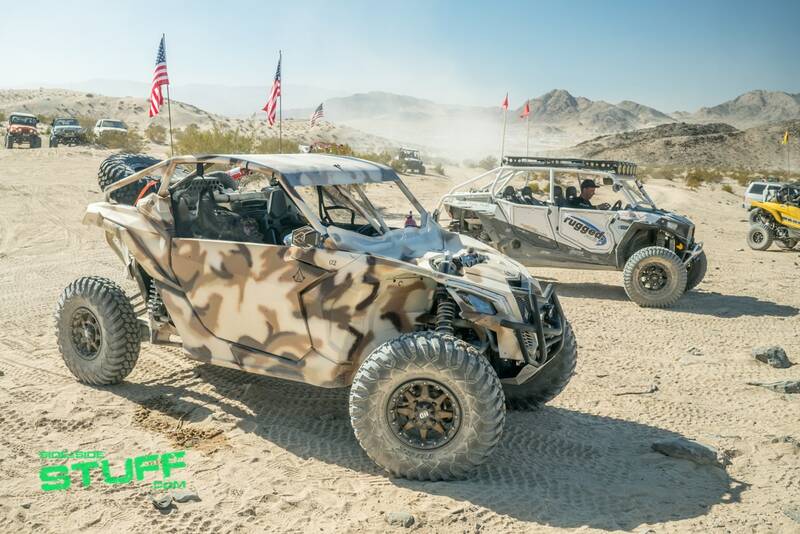 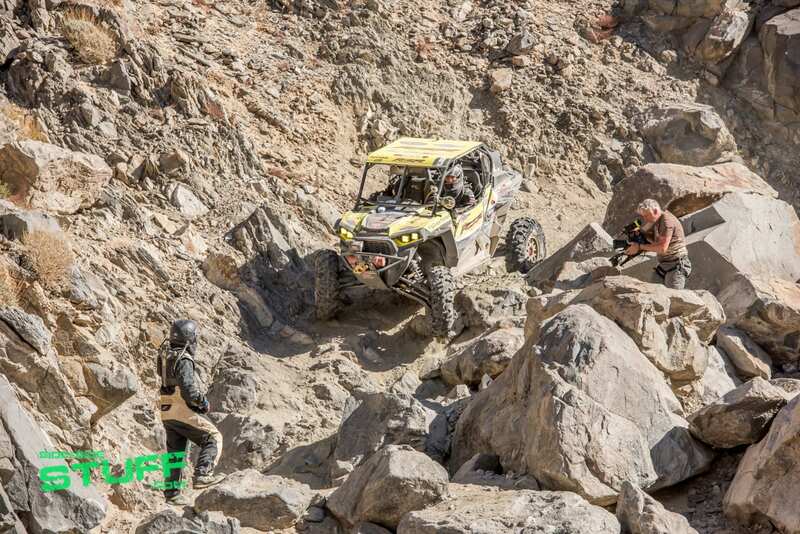 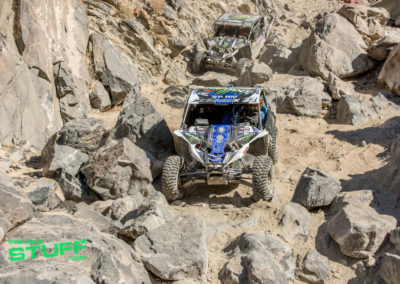 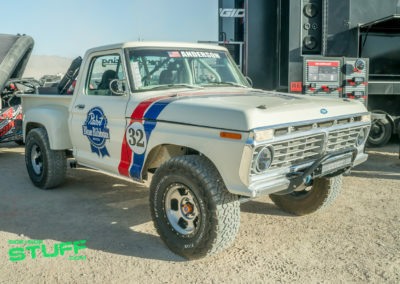 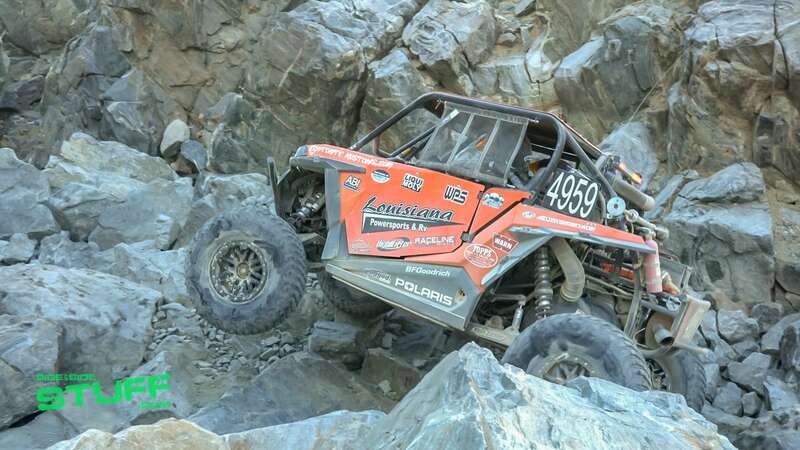 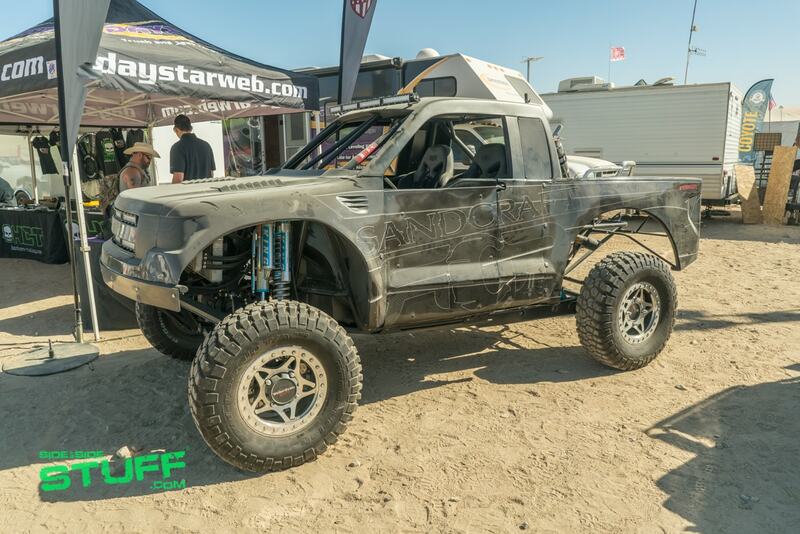 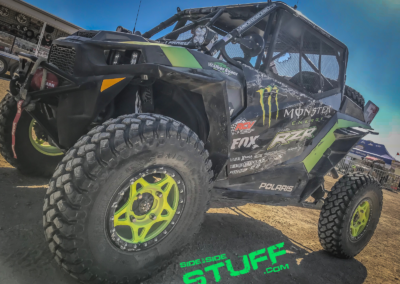 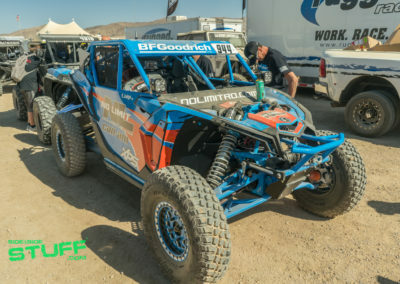 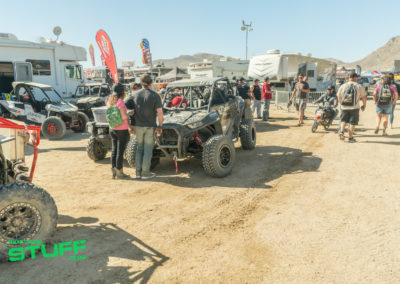 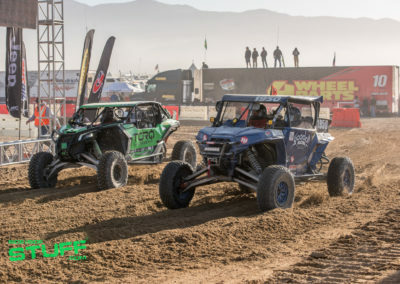 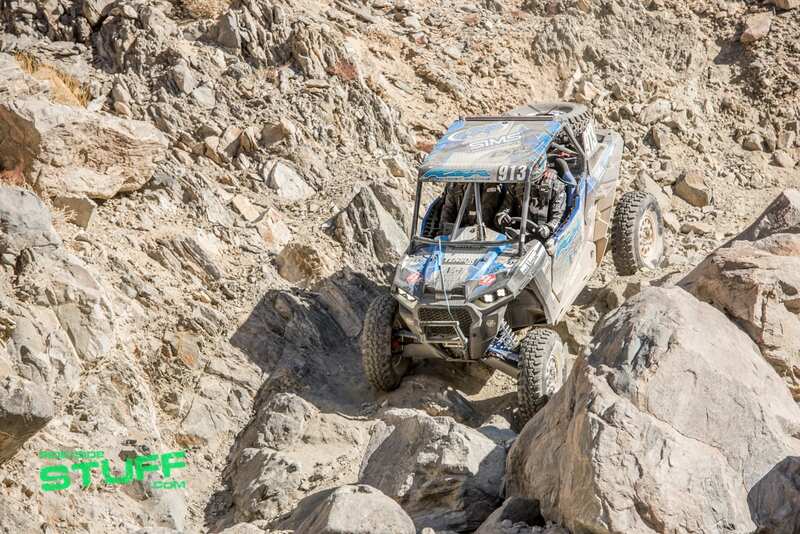 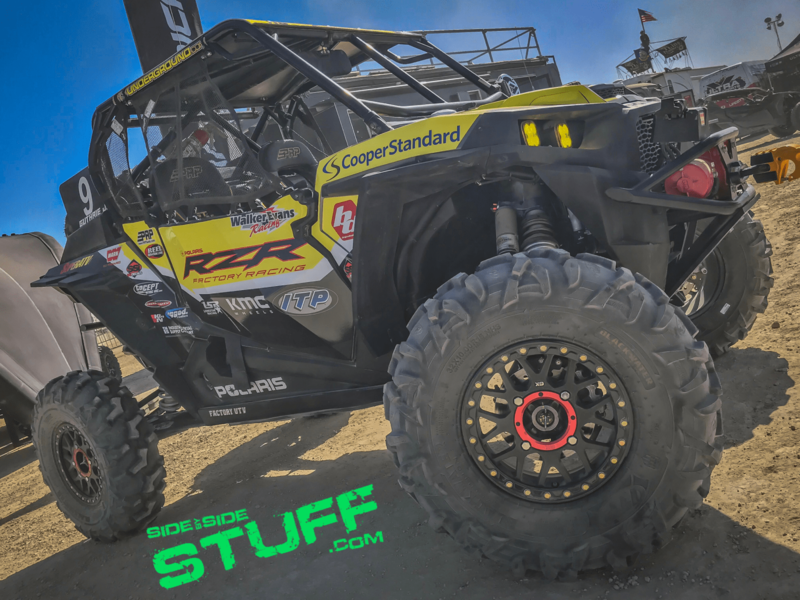 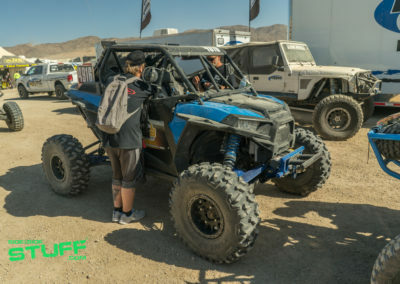 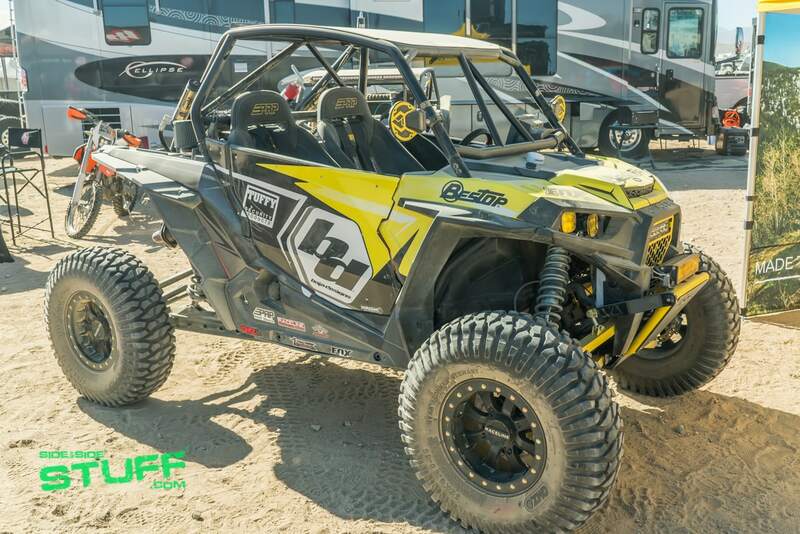 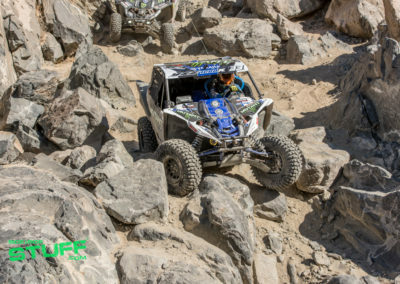 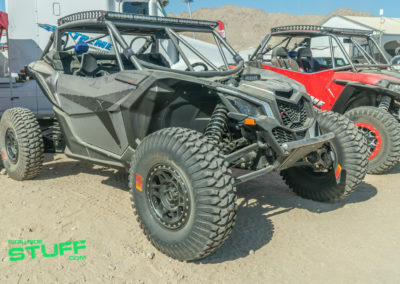 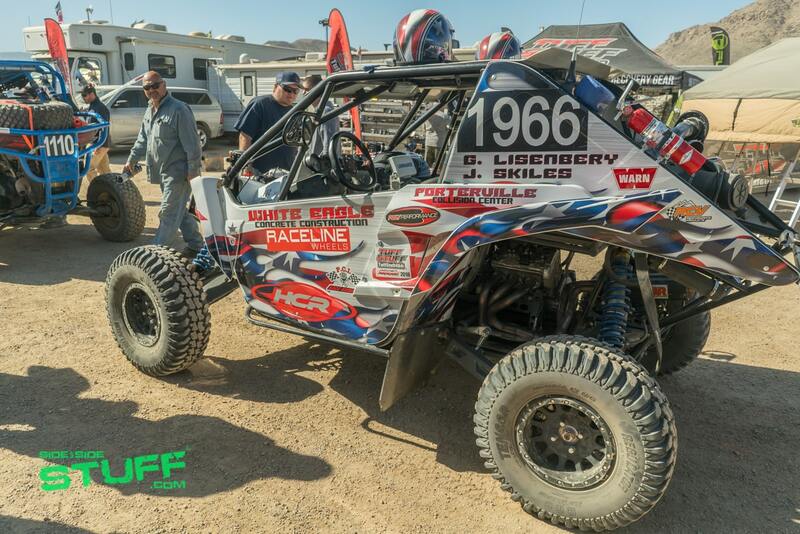 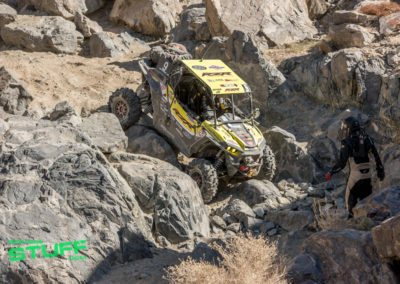 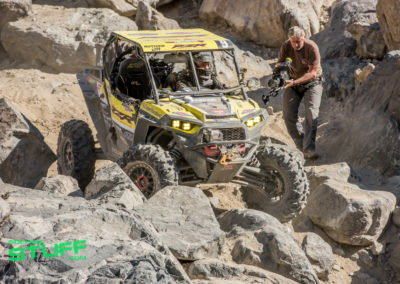 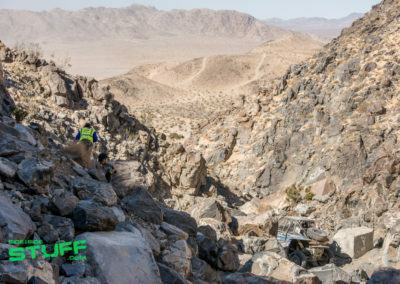 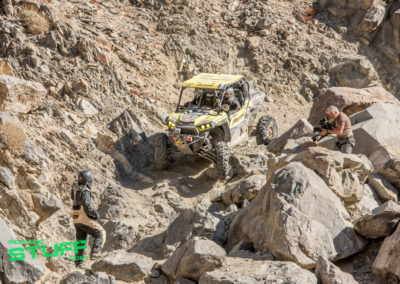 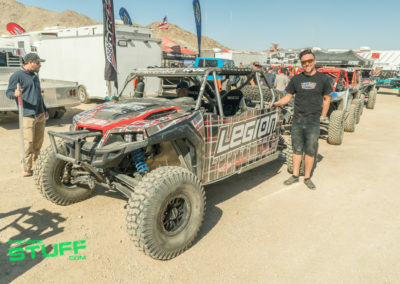 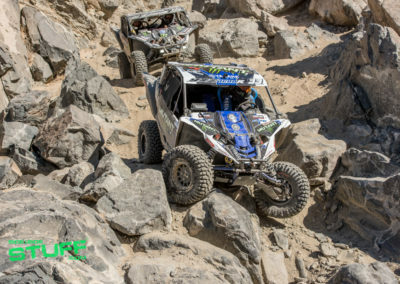 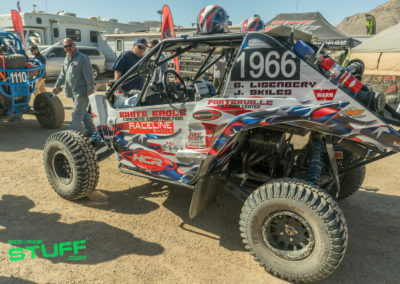 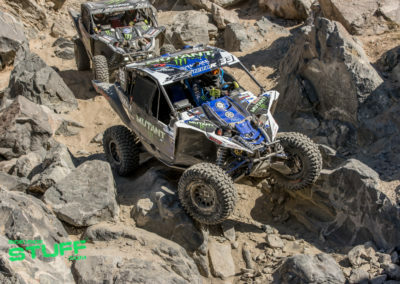 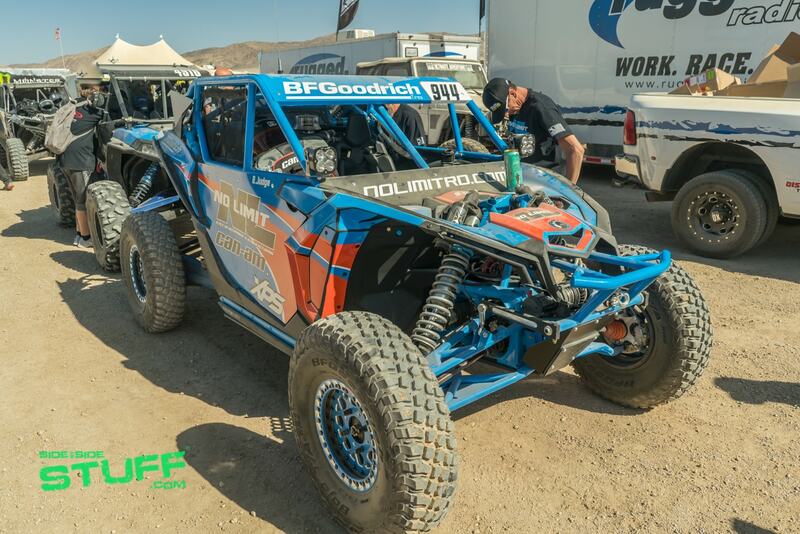 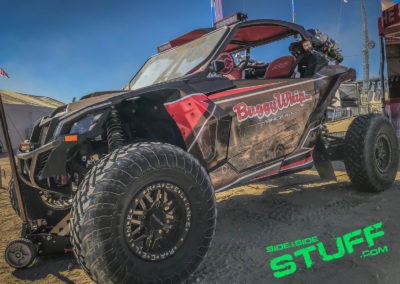 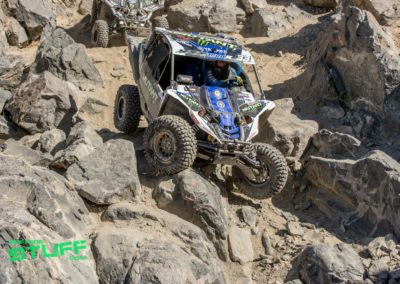 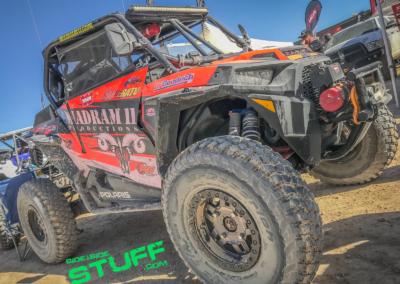 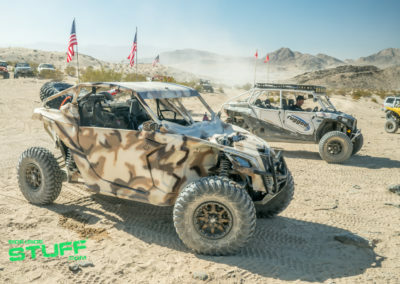 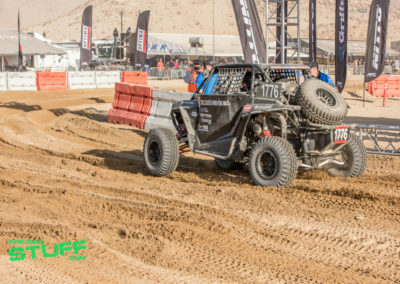 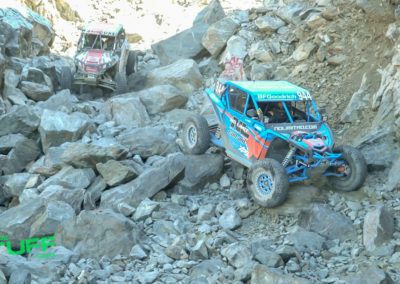 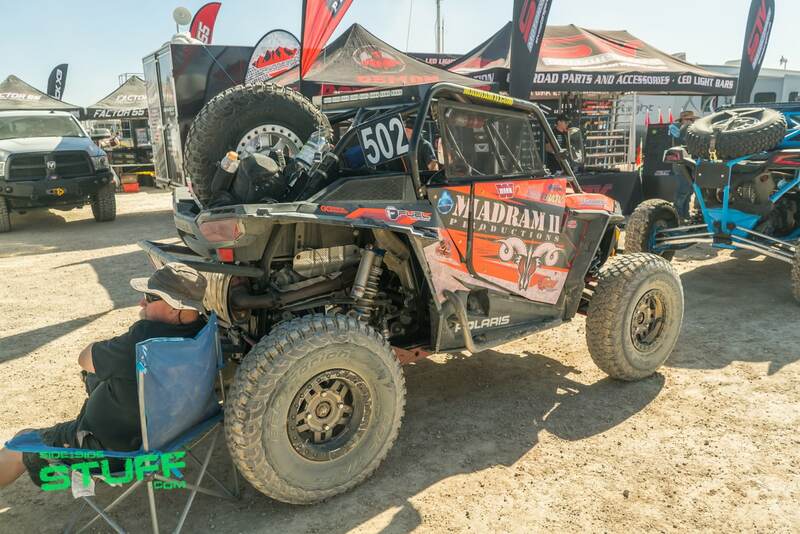 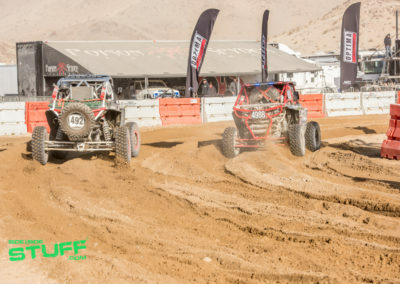 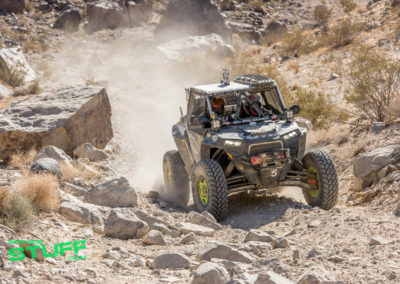 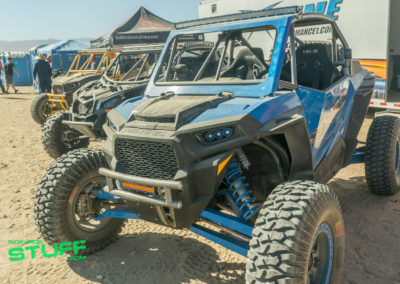 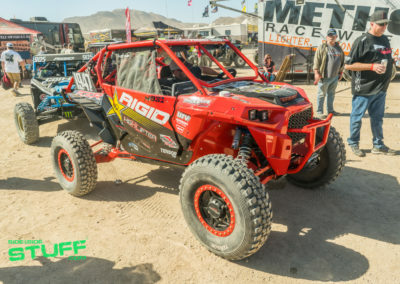 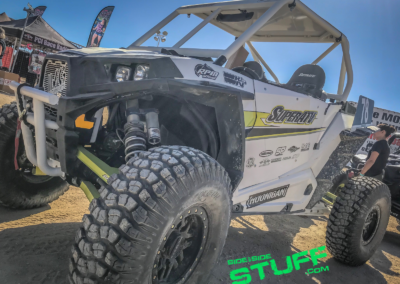 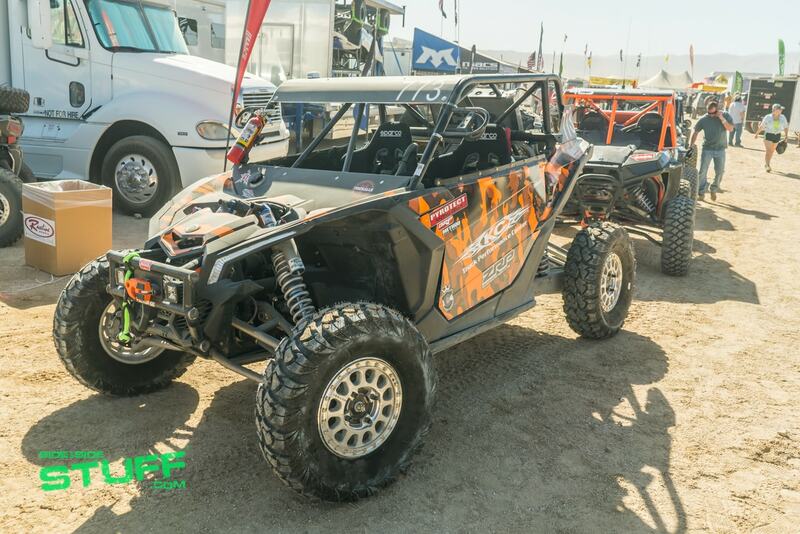 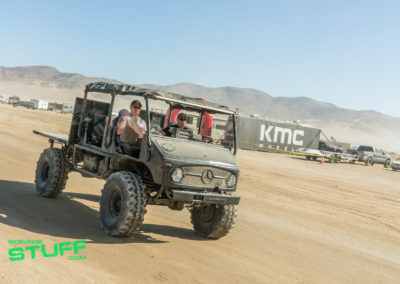 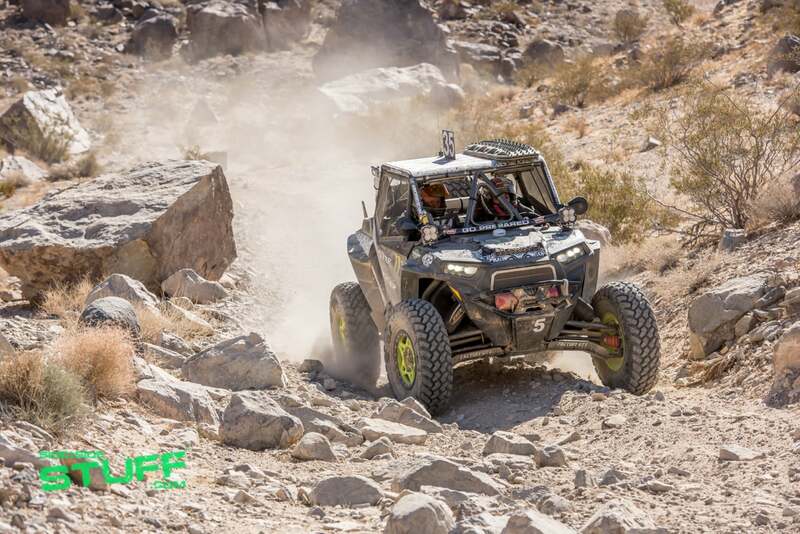 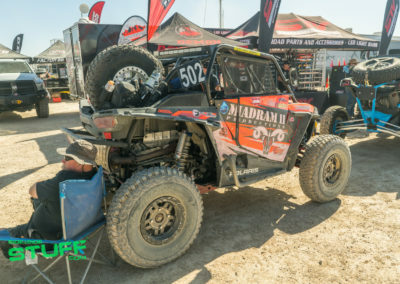 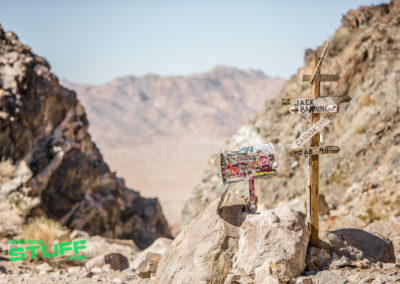 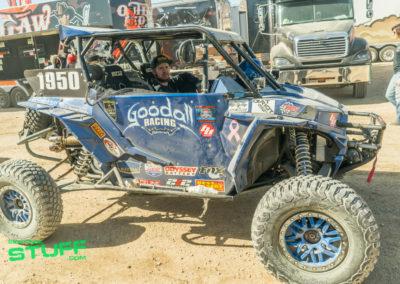 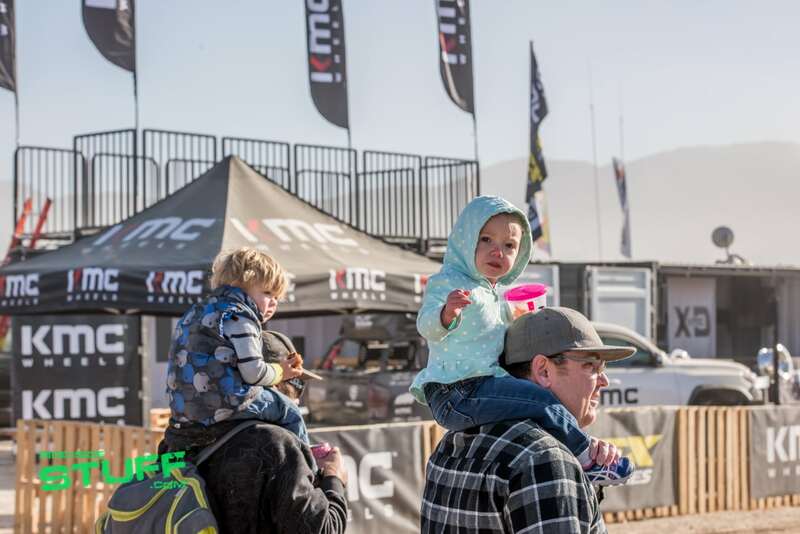 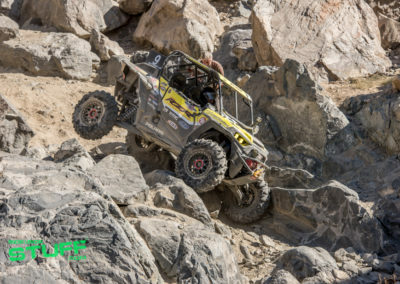 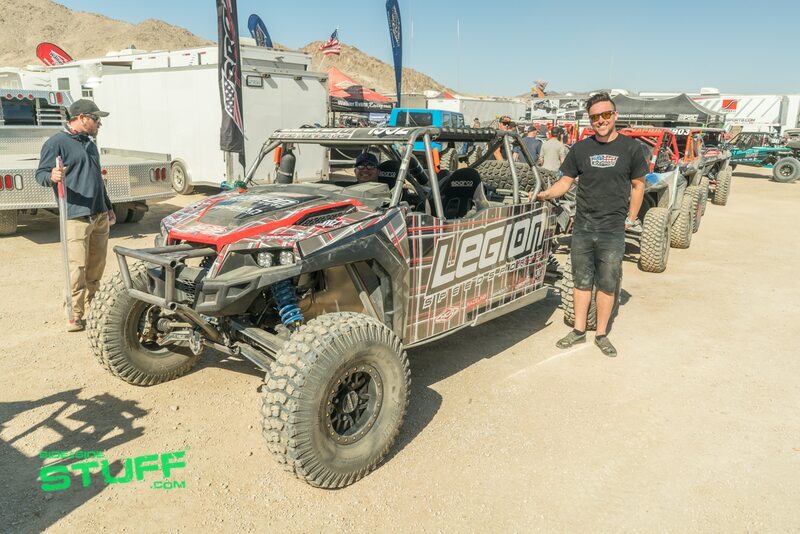 Considered one of the toughest one-day off-road races in the world, the King of the Hammers is an action packed event that combines extreme rock crawling and high speed desert racing in the rugged desert terrain of Johnson Valley, California. 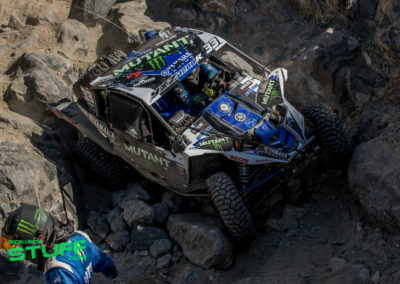 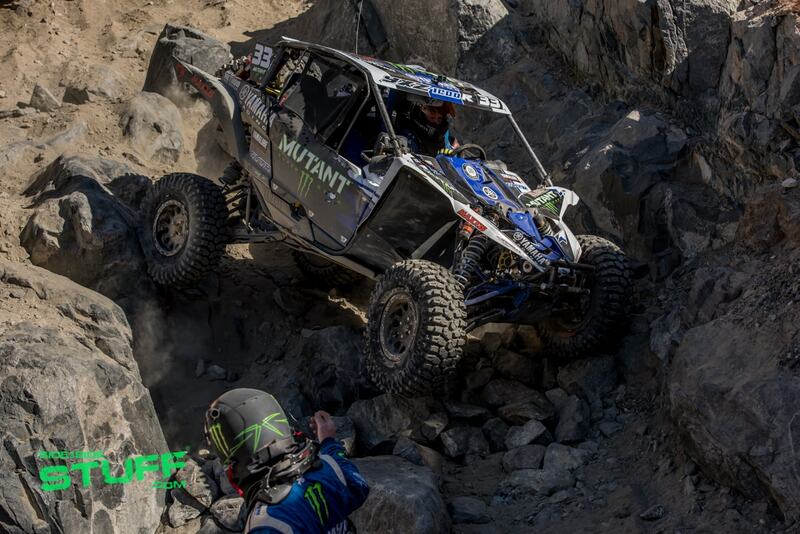 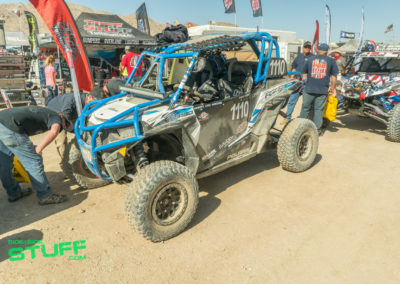 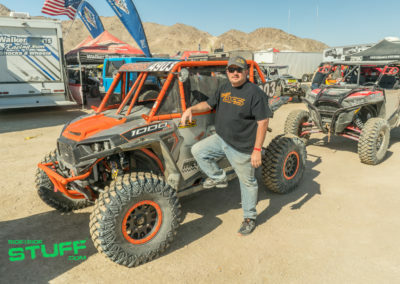 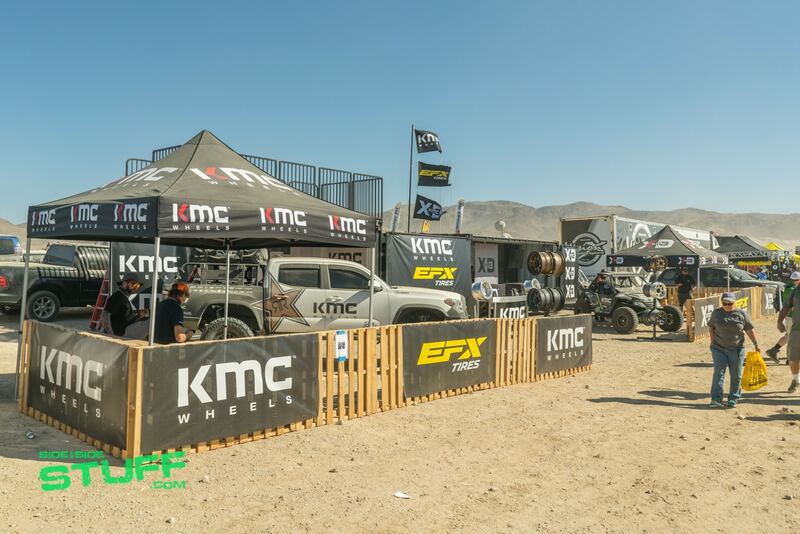 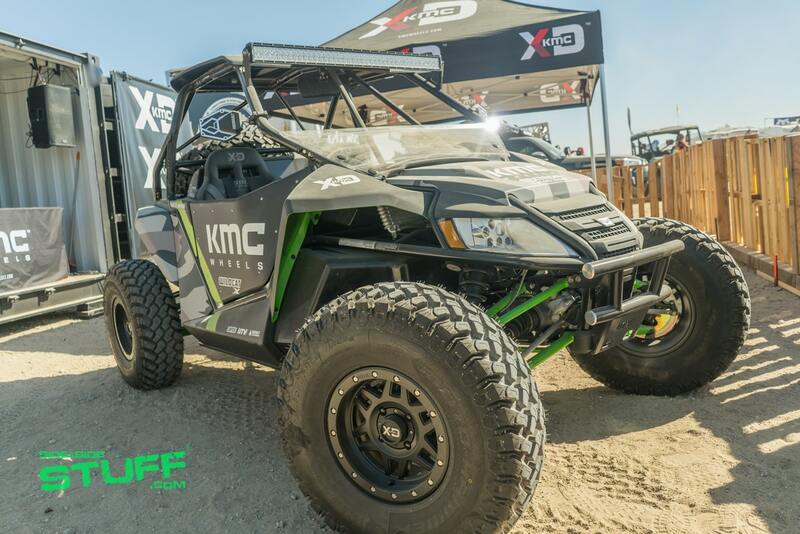 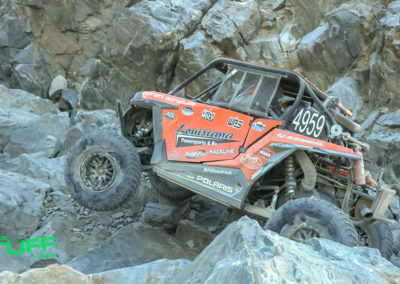 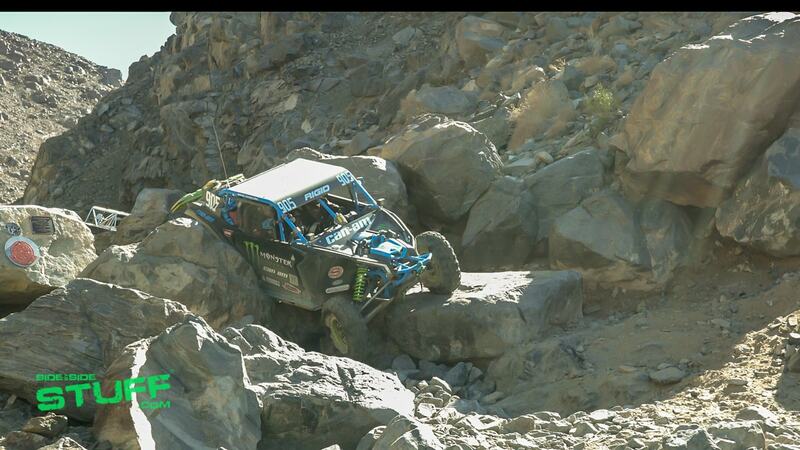 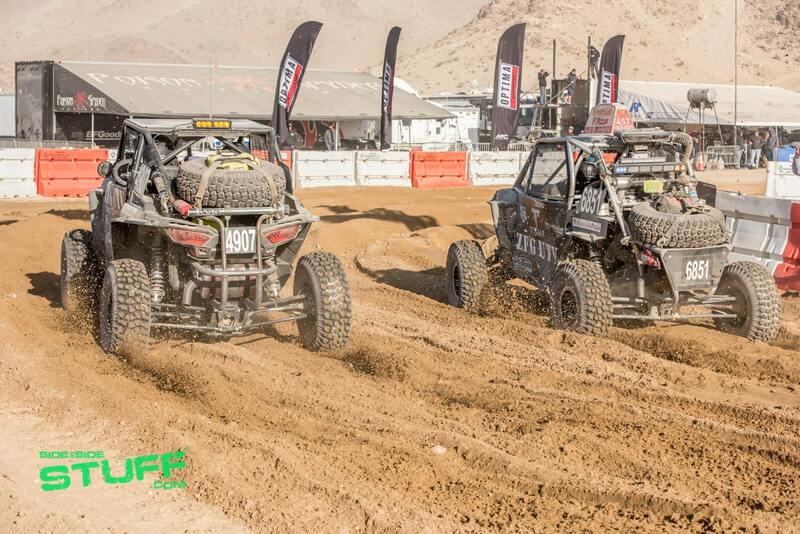 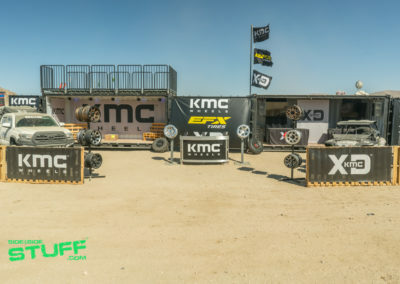 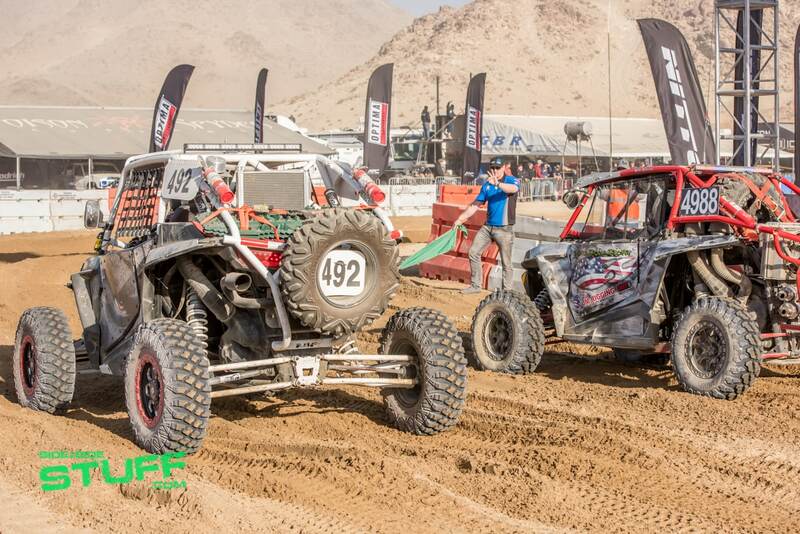 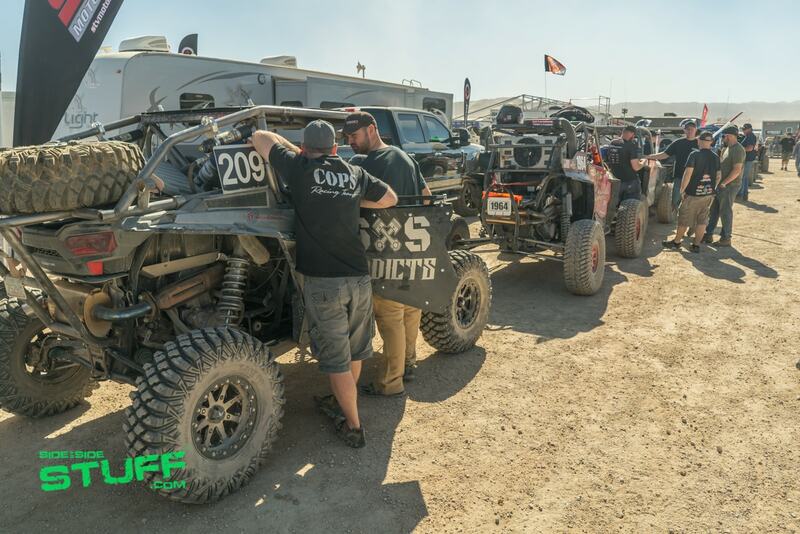 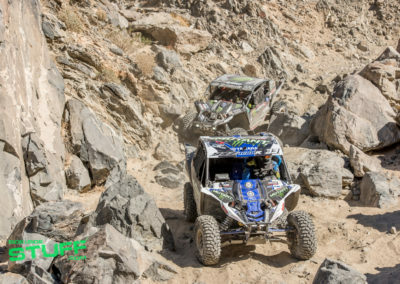 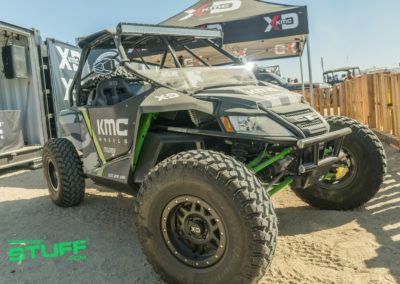 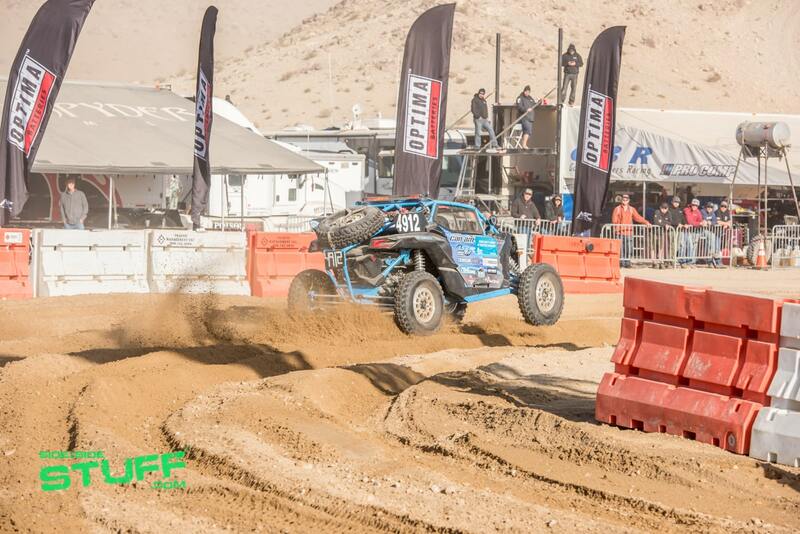 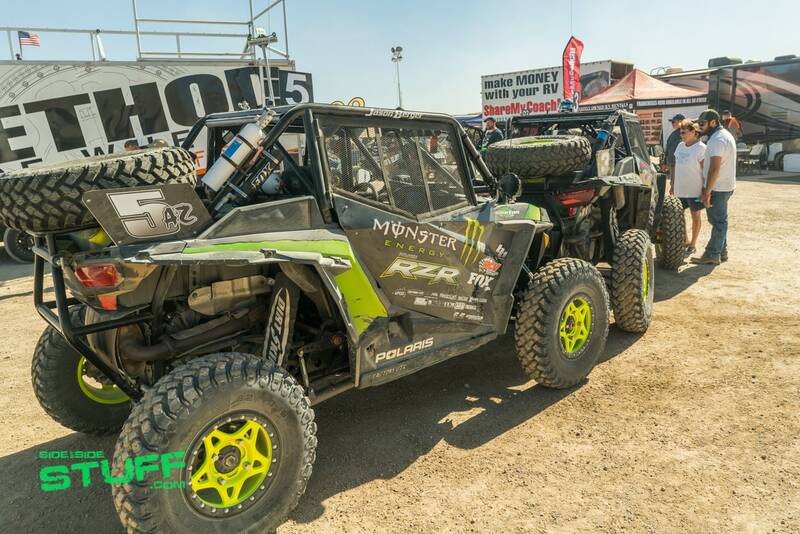 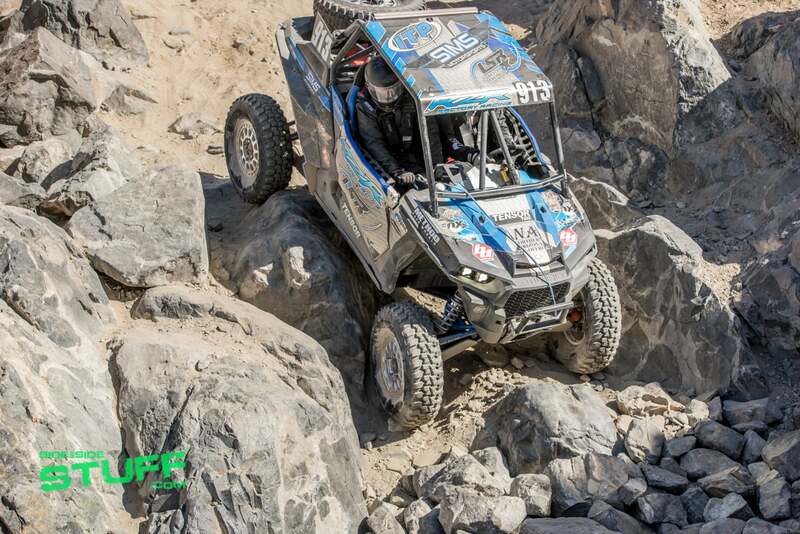 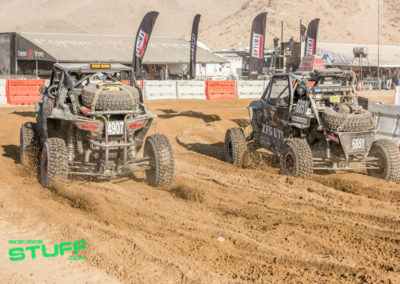 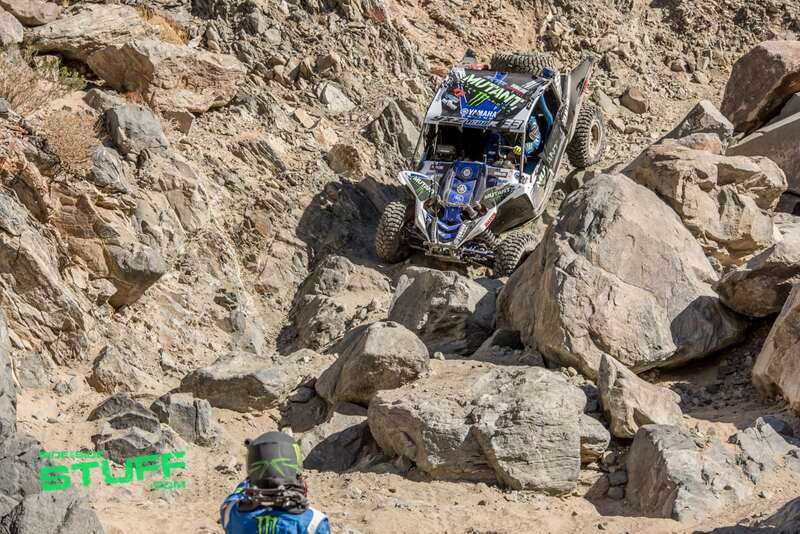 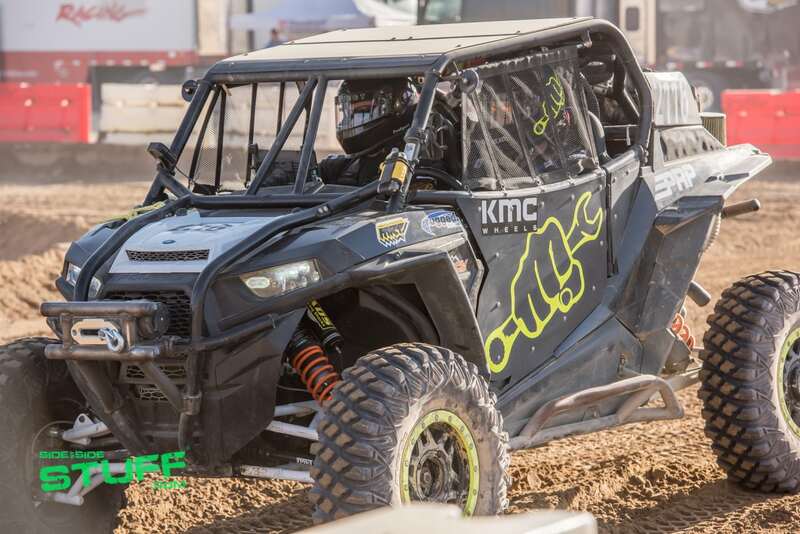 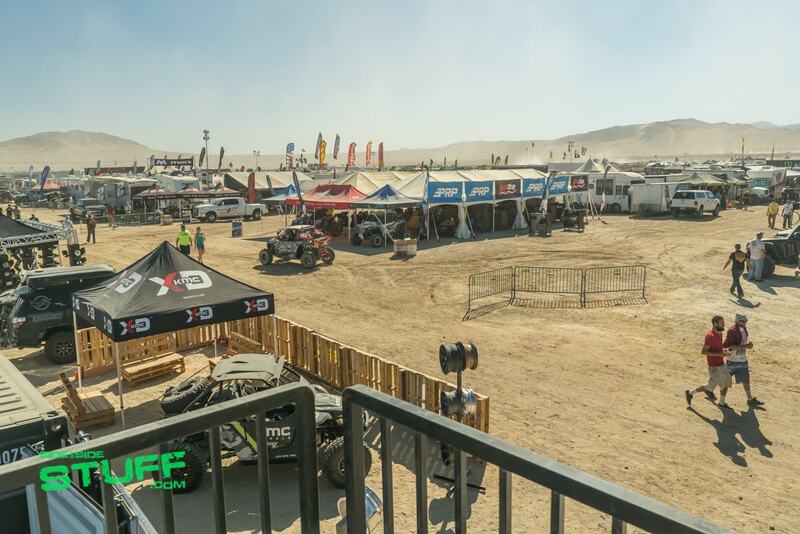 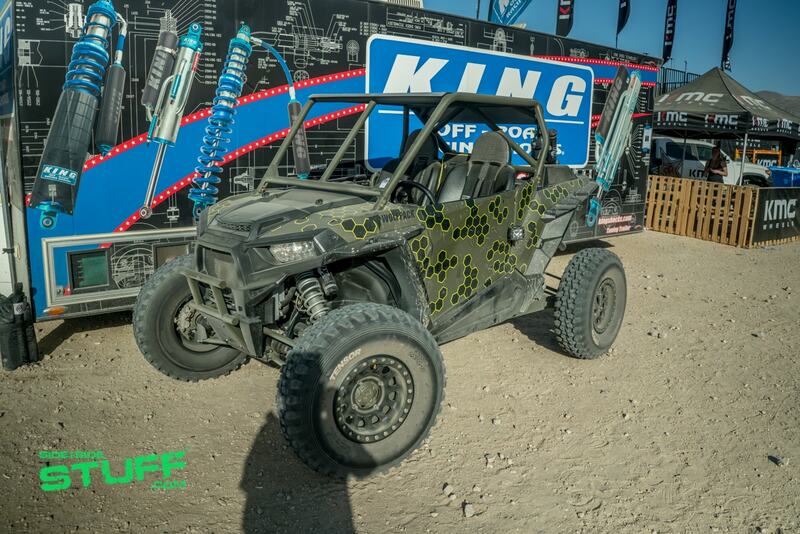 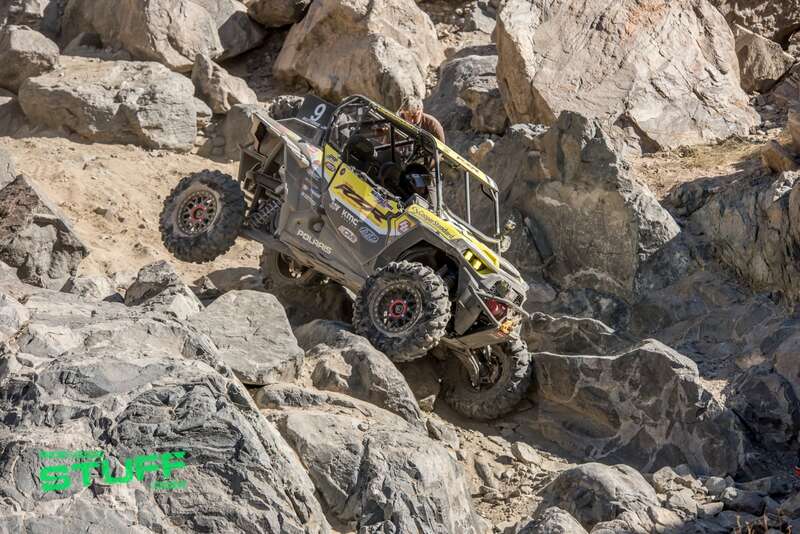 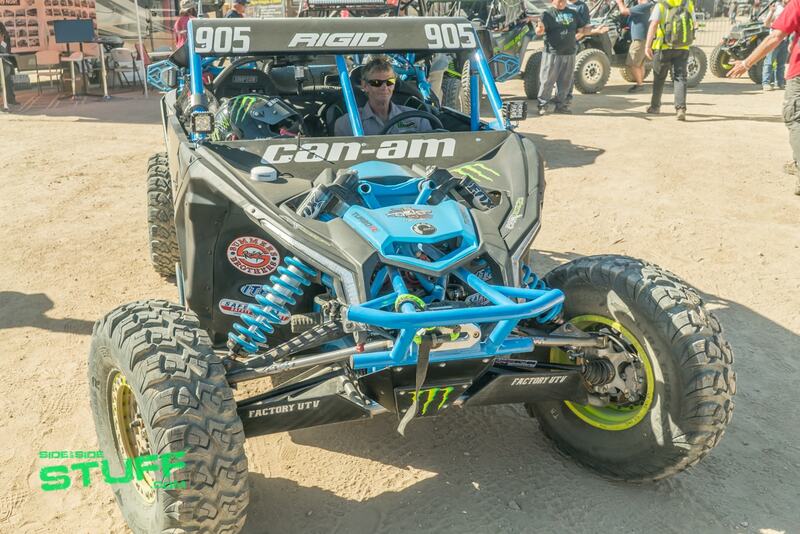 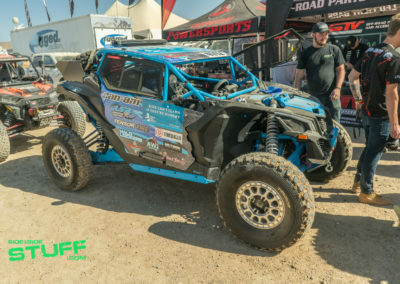 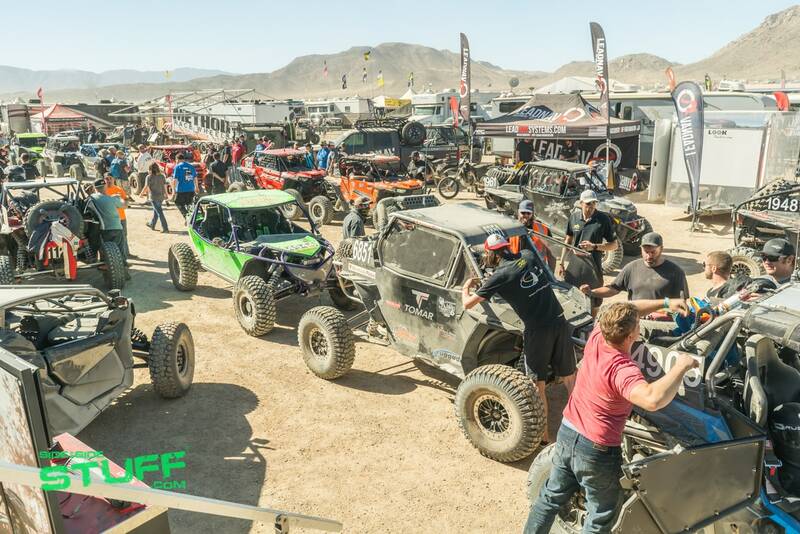 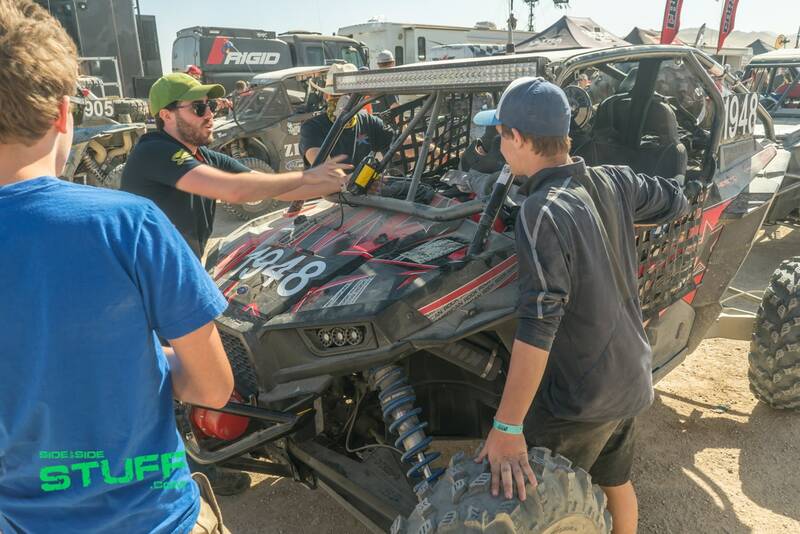 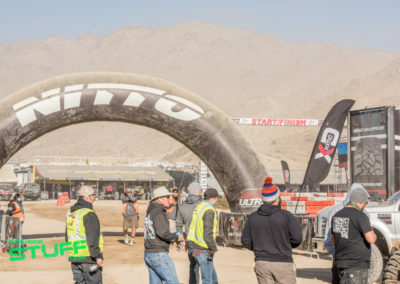 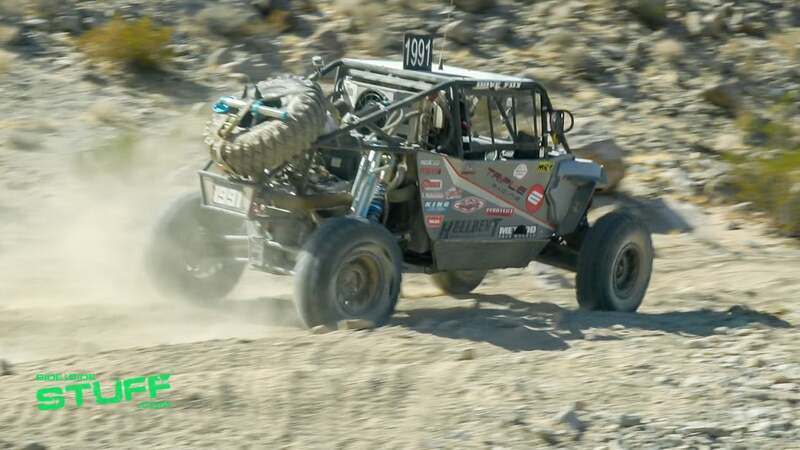 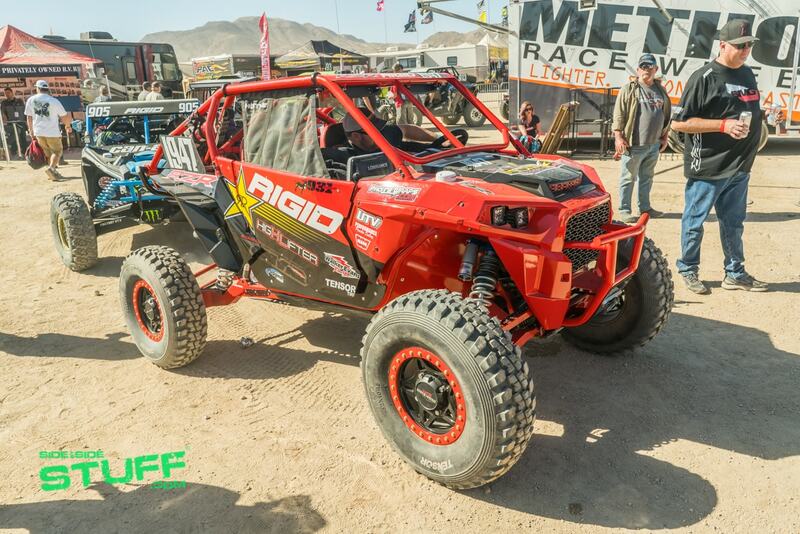 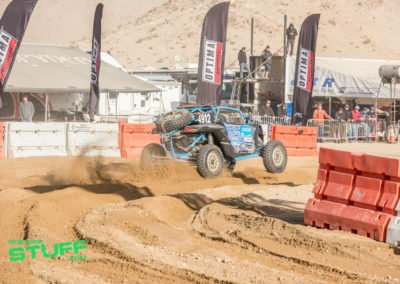 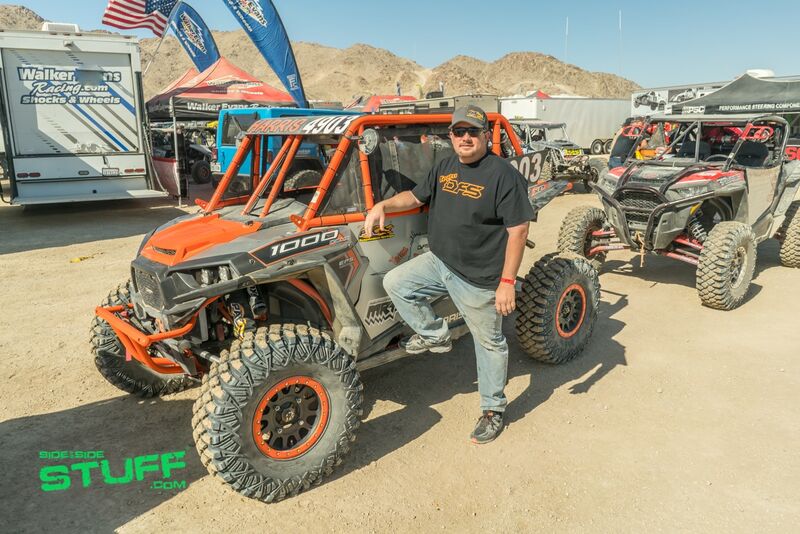 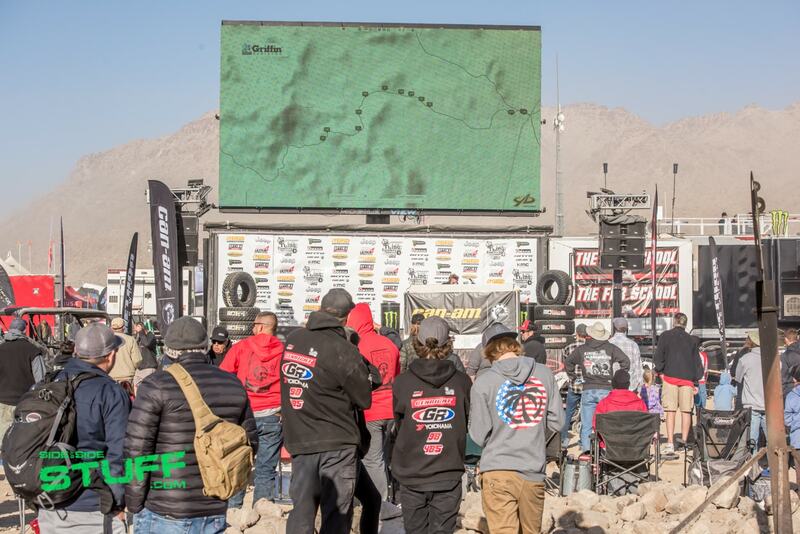 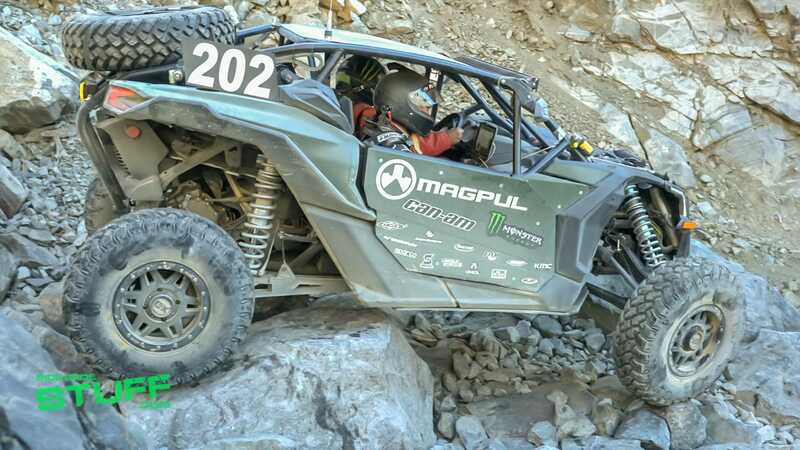 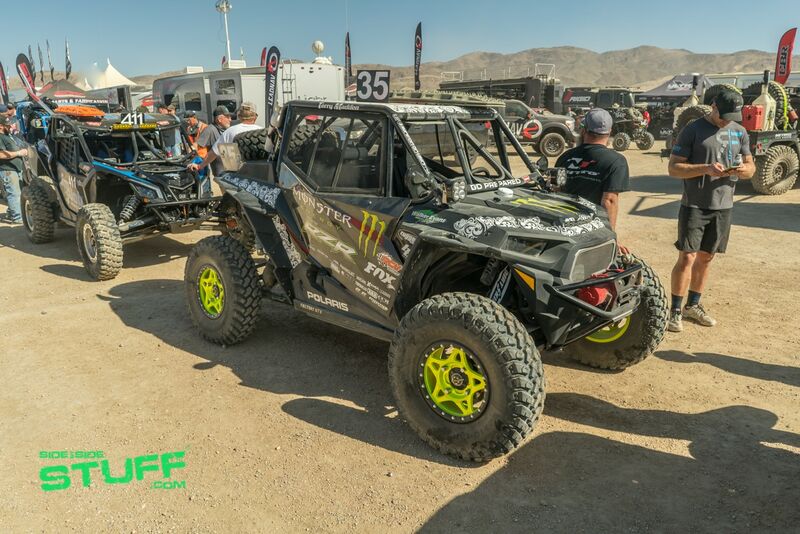 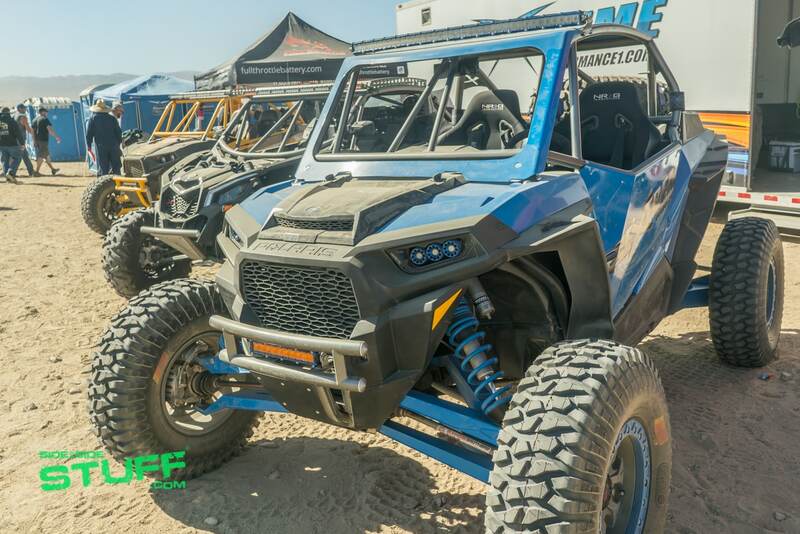 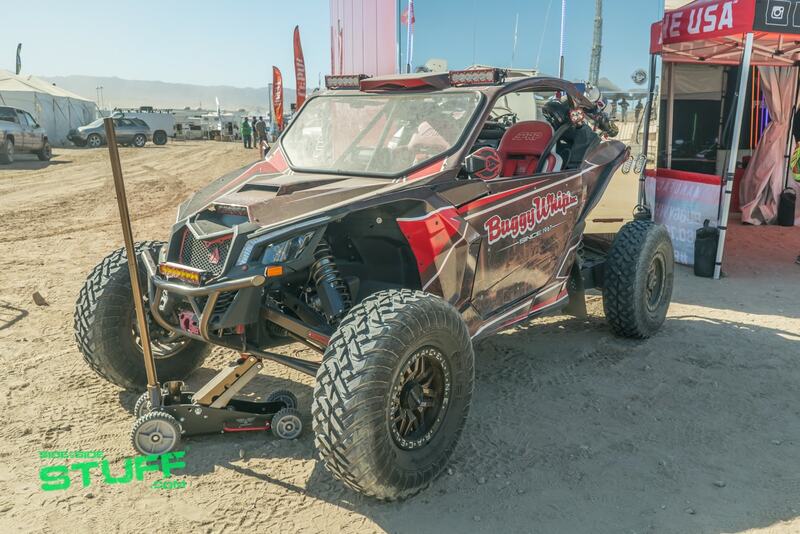 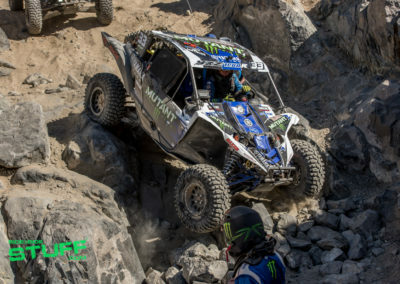 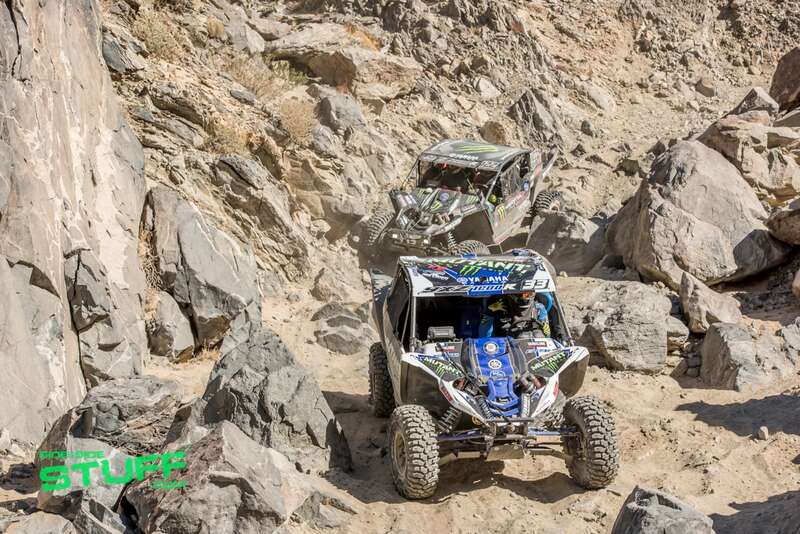 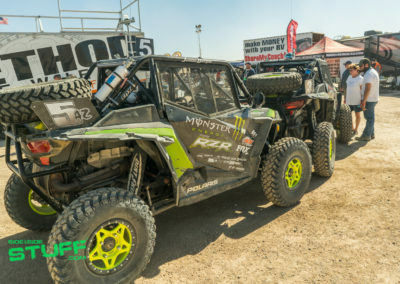 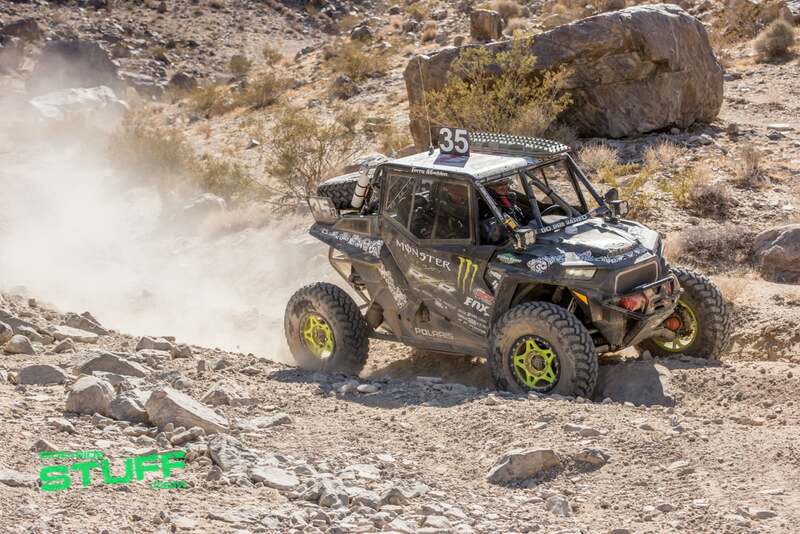 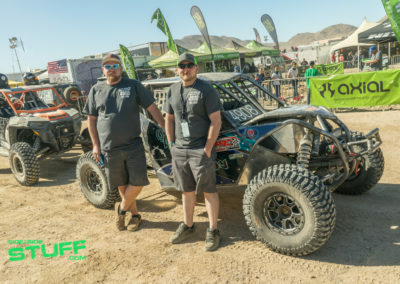 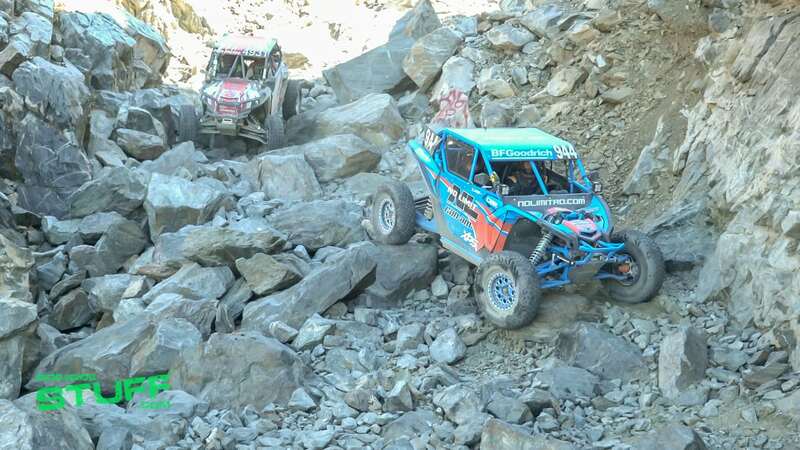 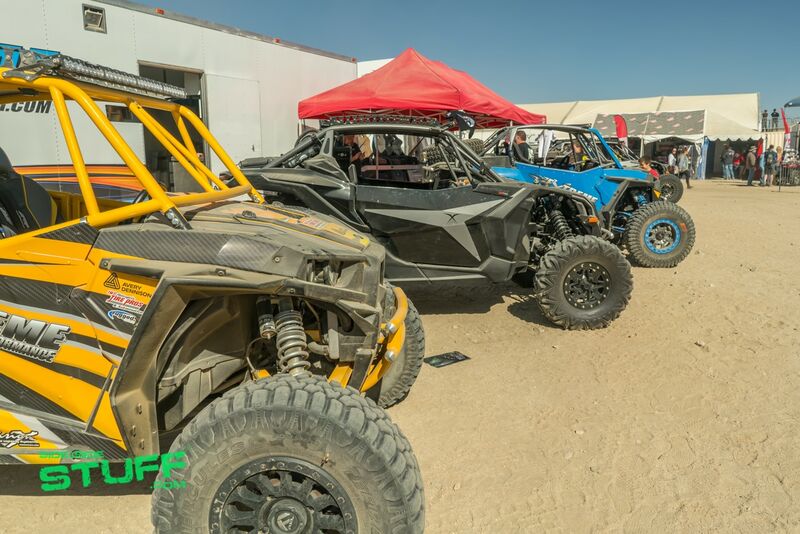 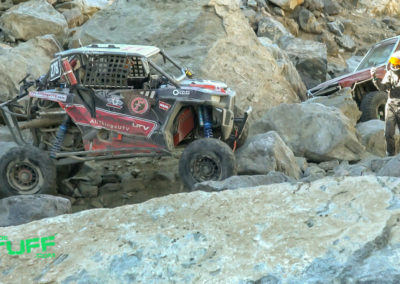 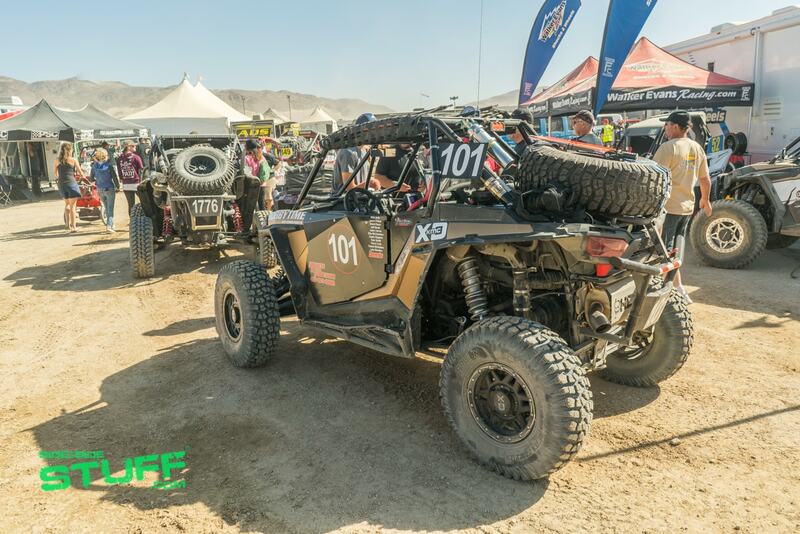 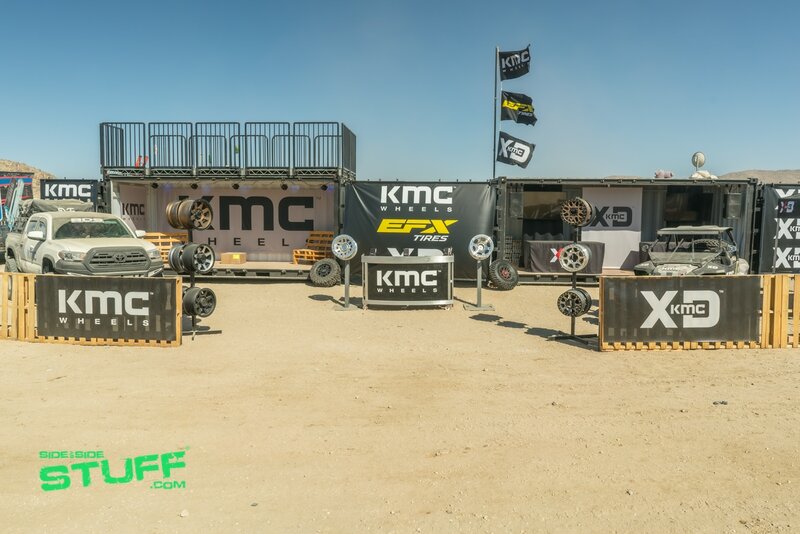 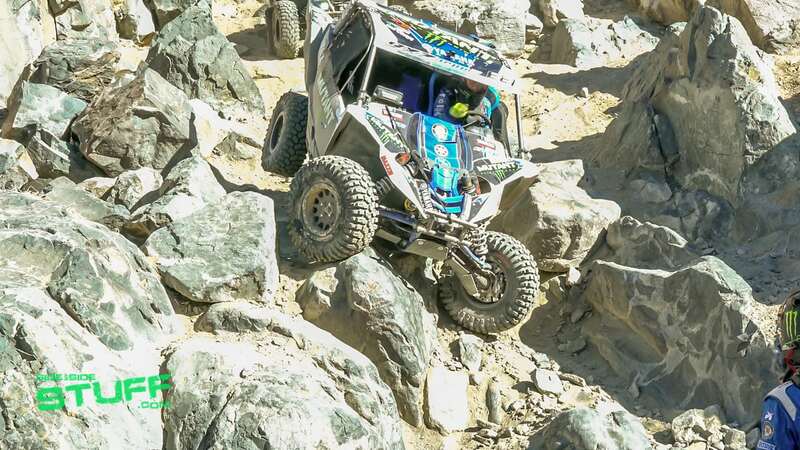 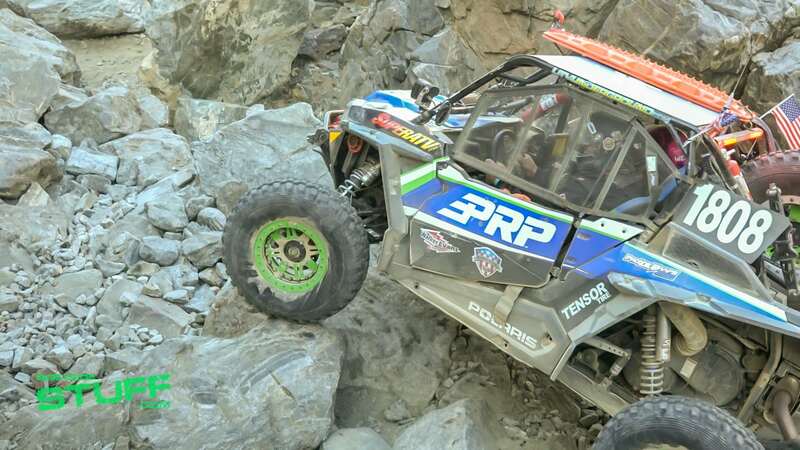 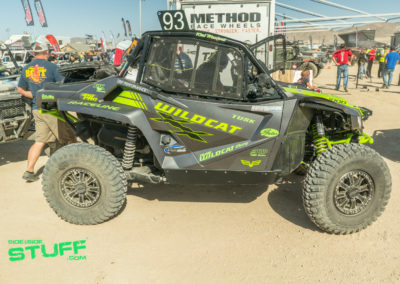 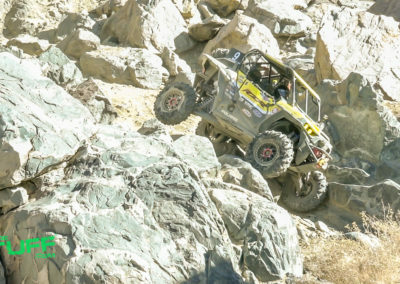 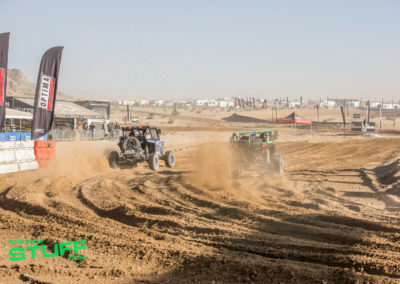 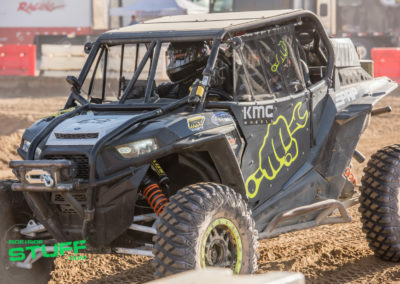 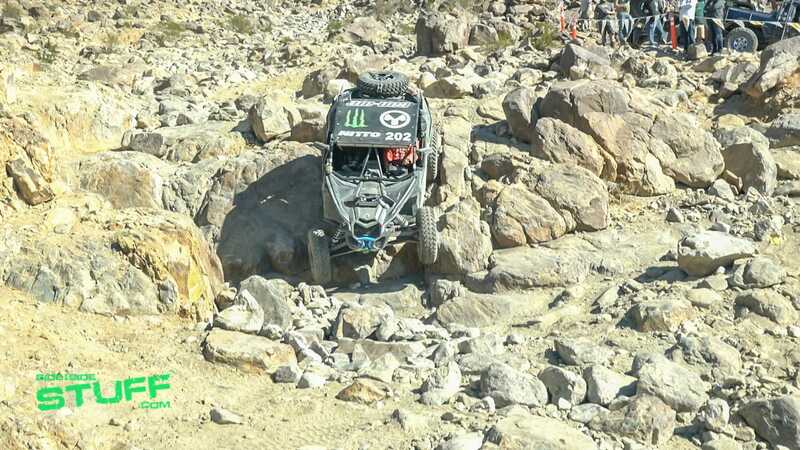 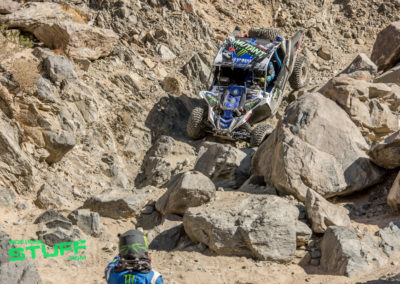 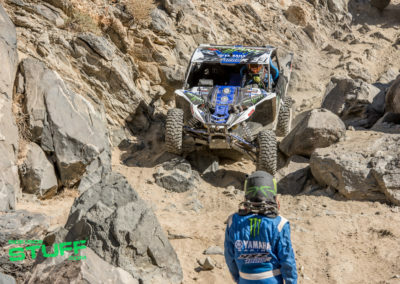 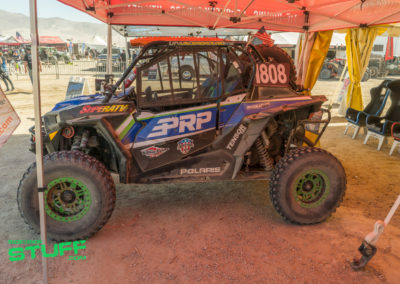 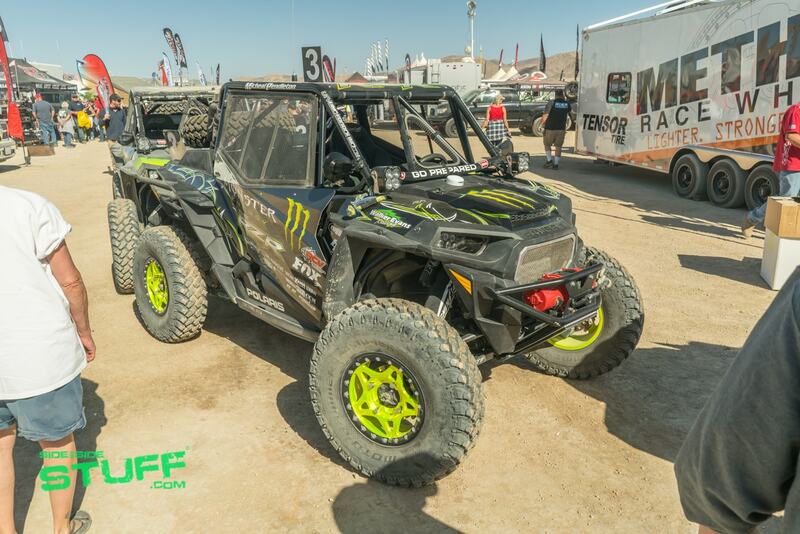 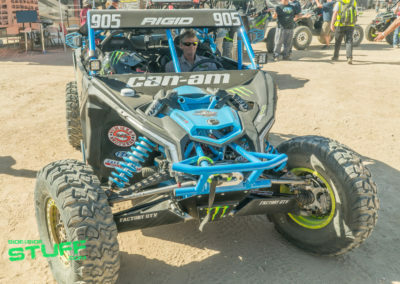 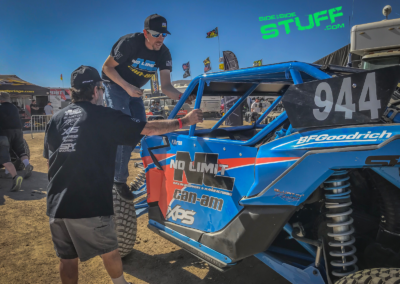 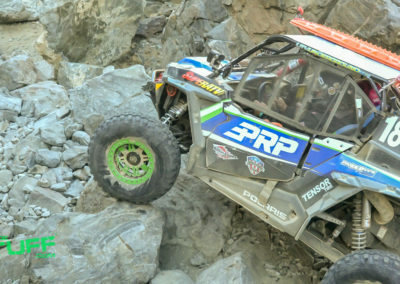 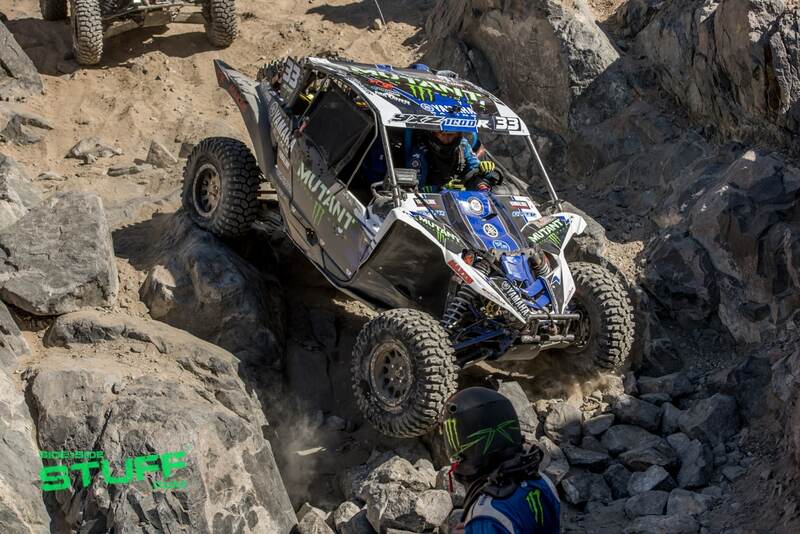 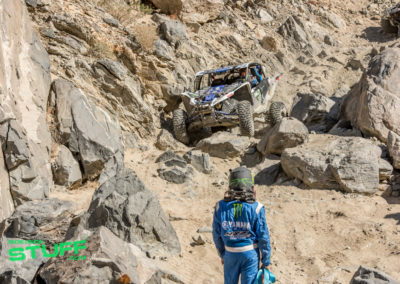 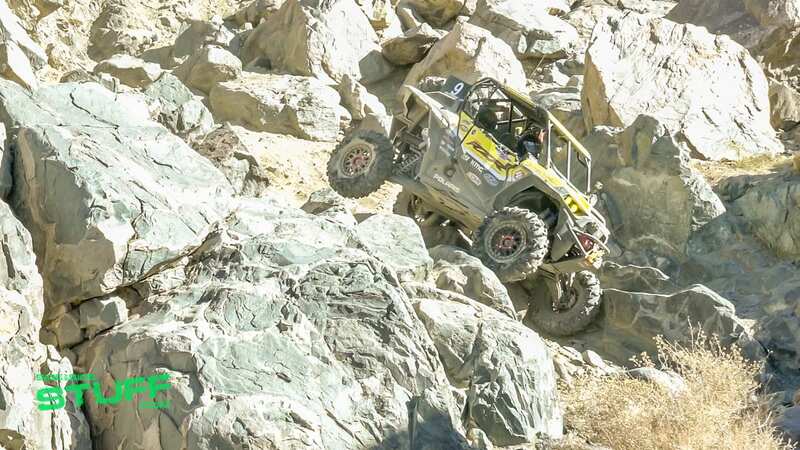 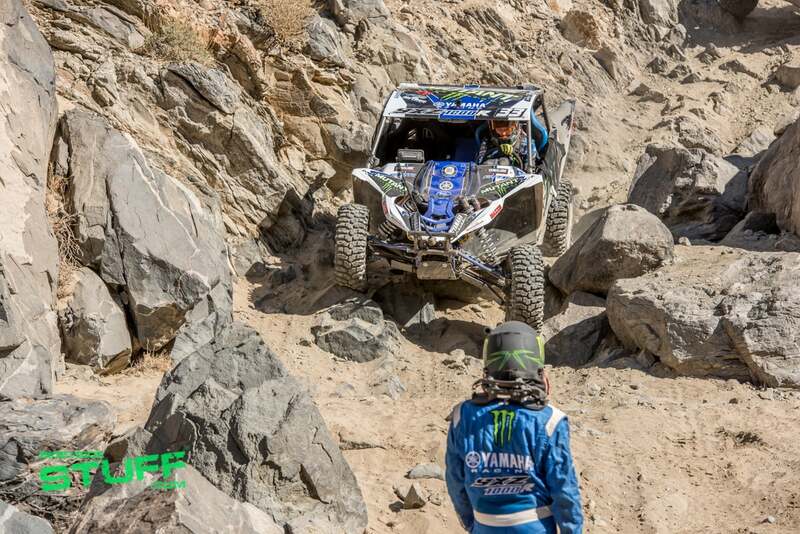 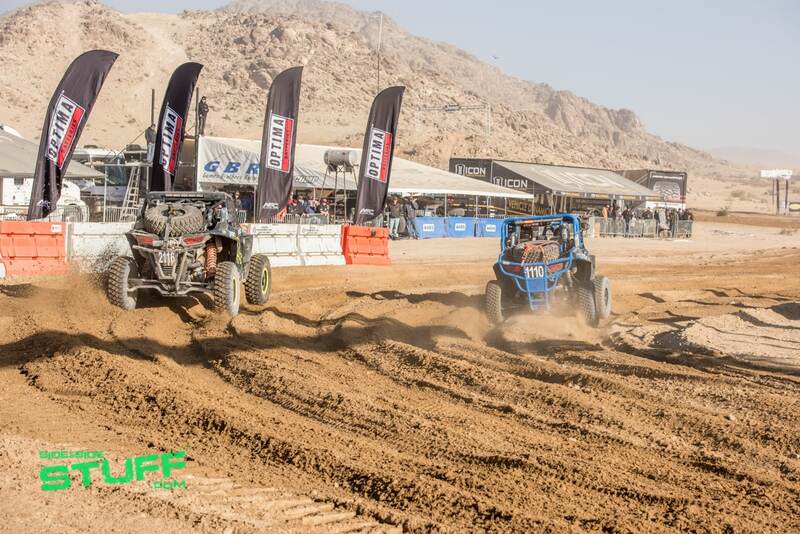 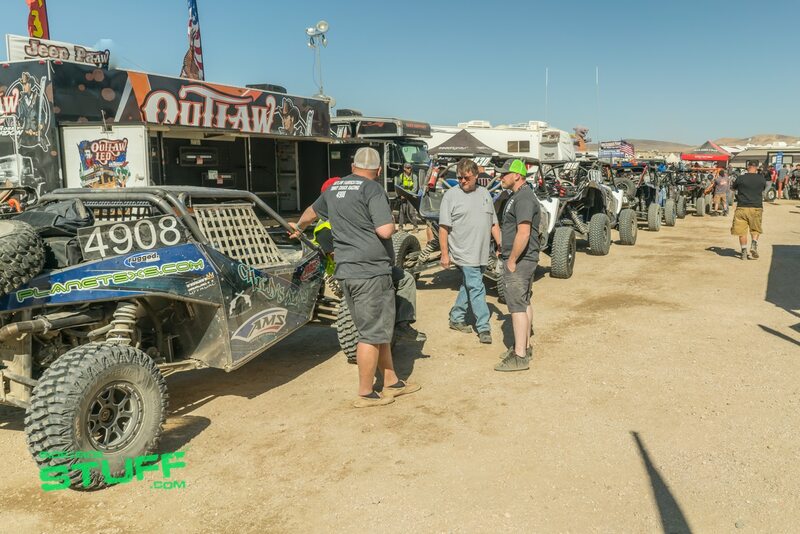 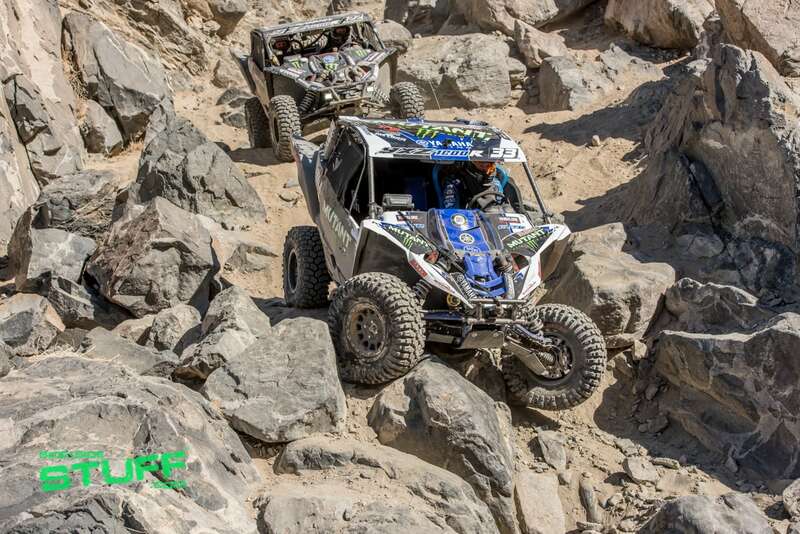 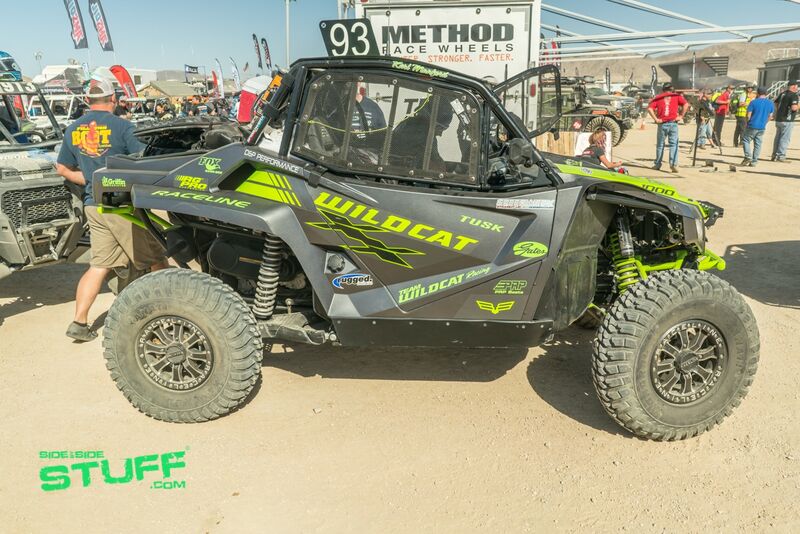 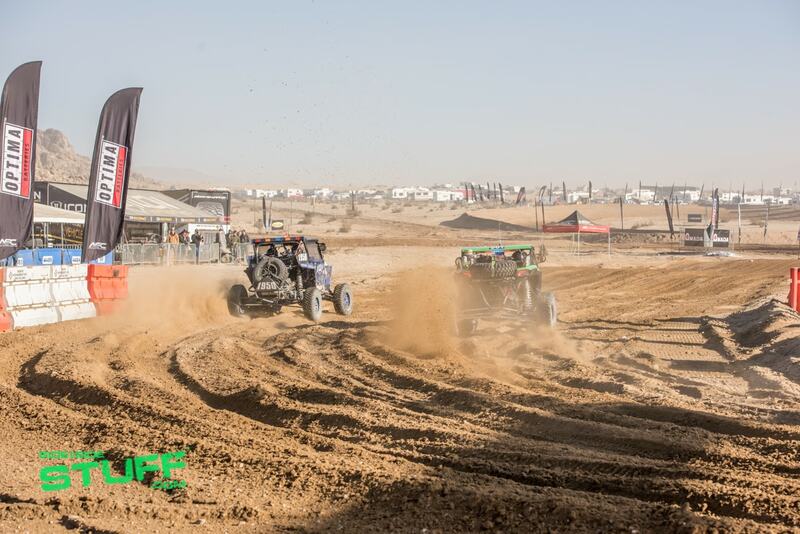 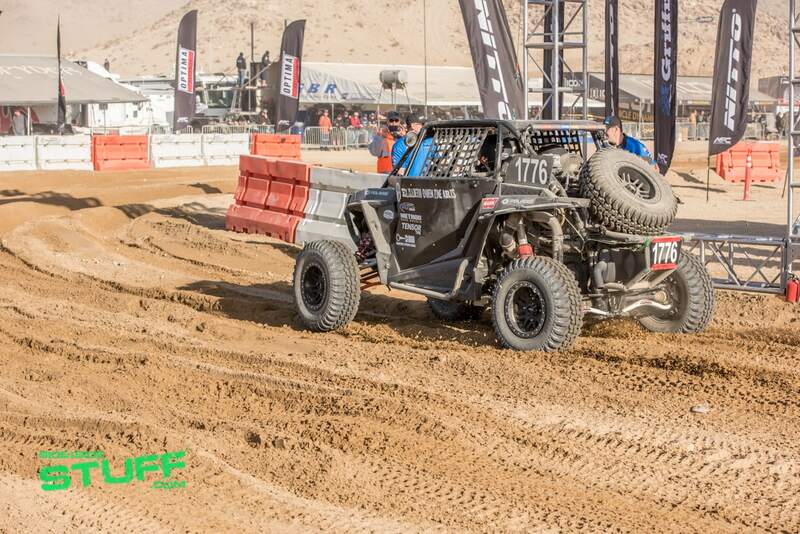 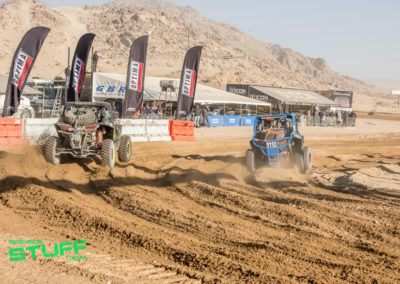 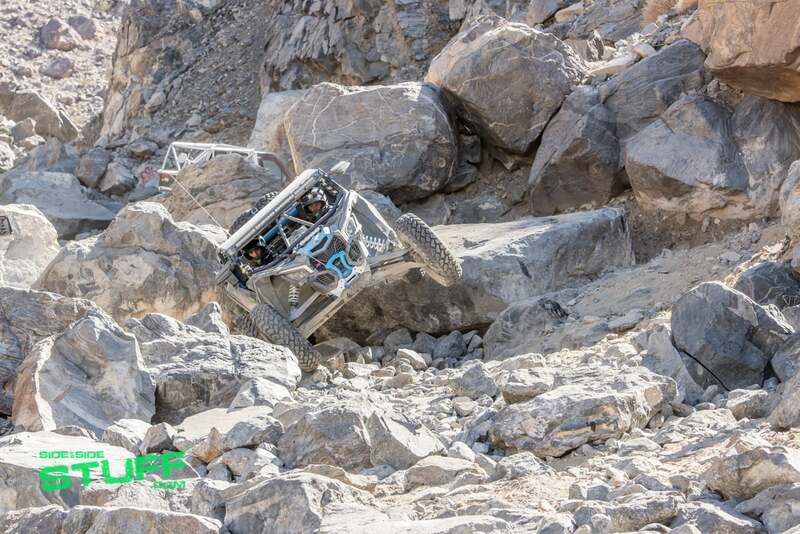 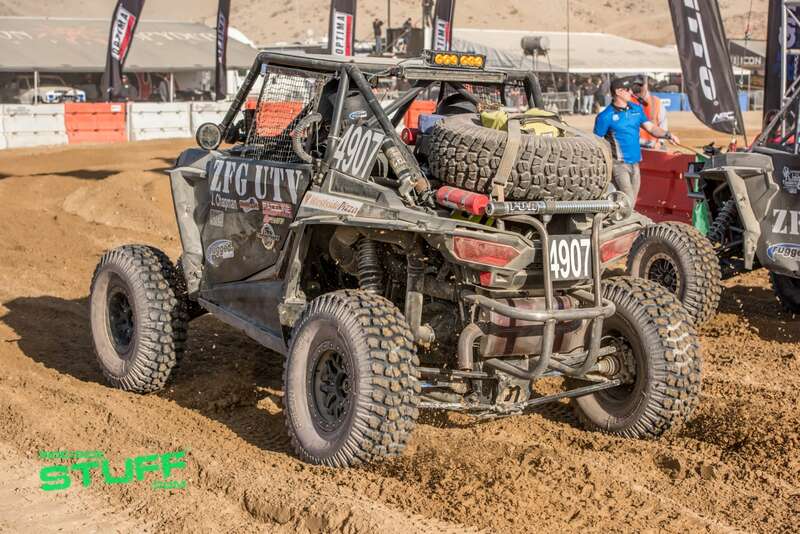 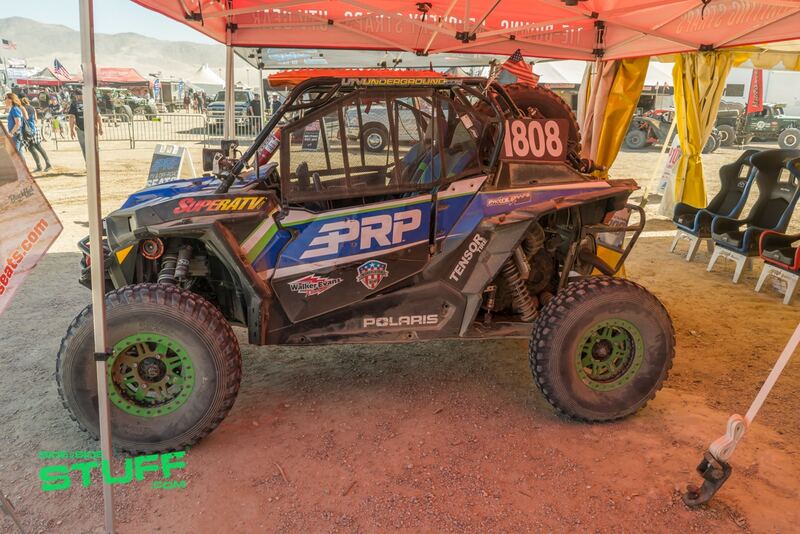 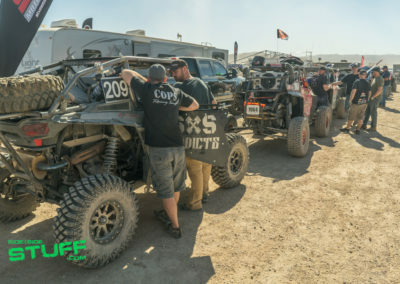 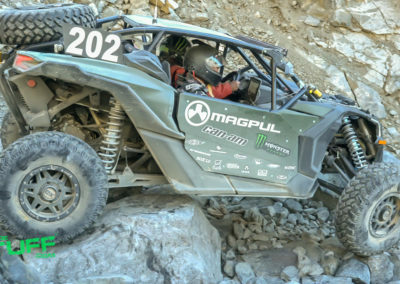 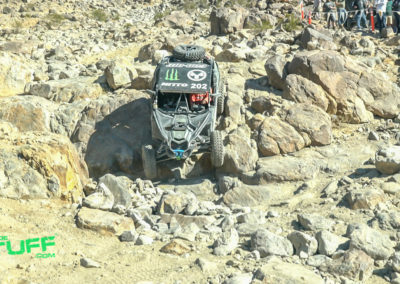 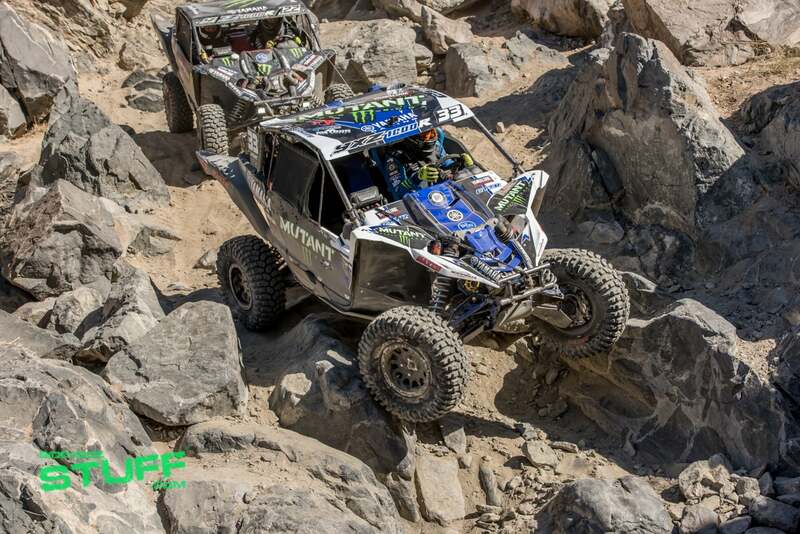 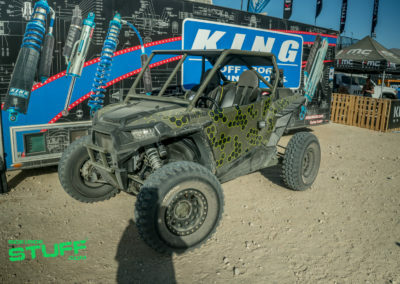 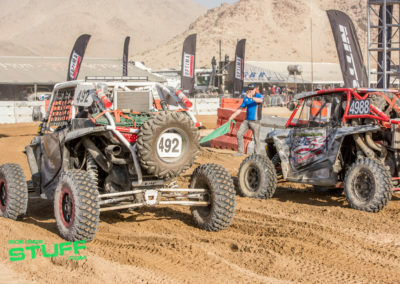 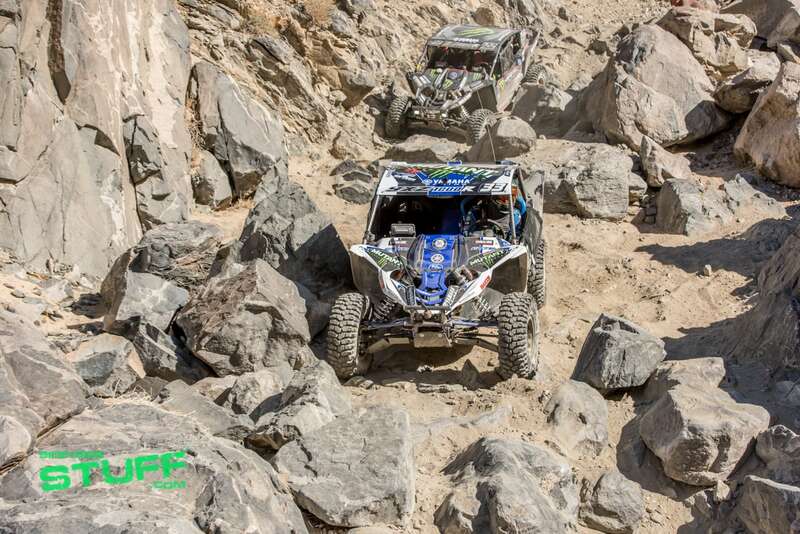 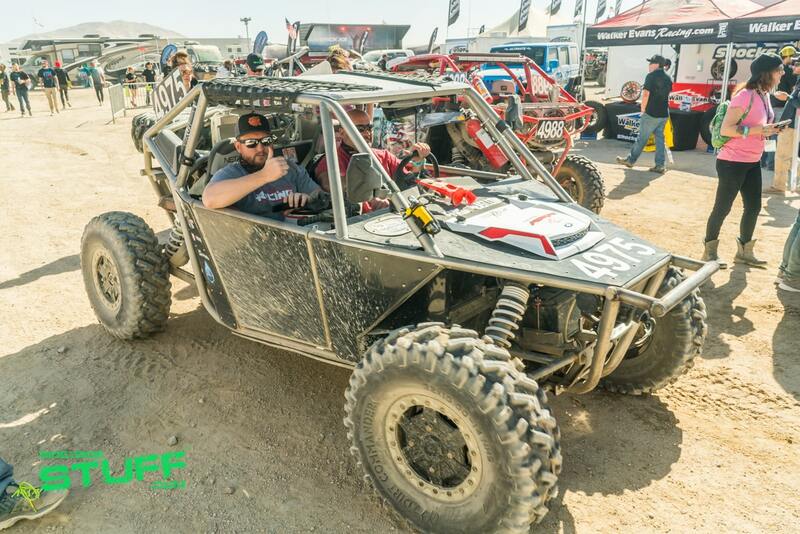 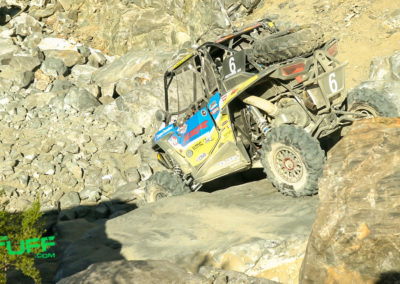 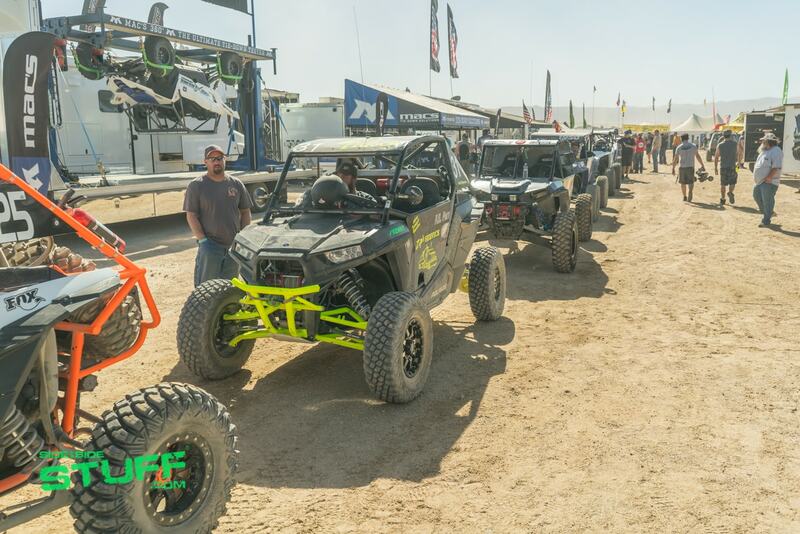 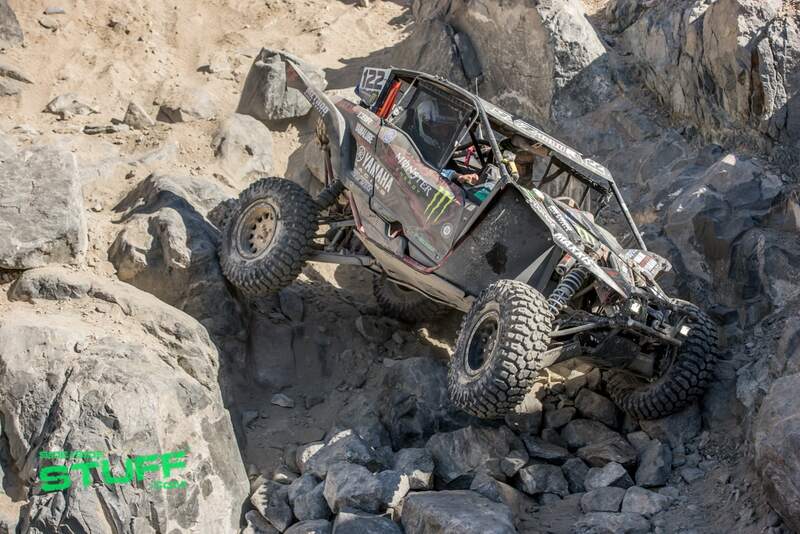 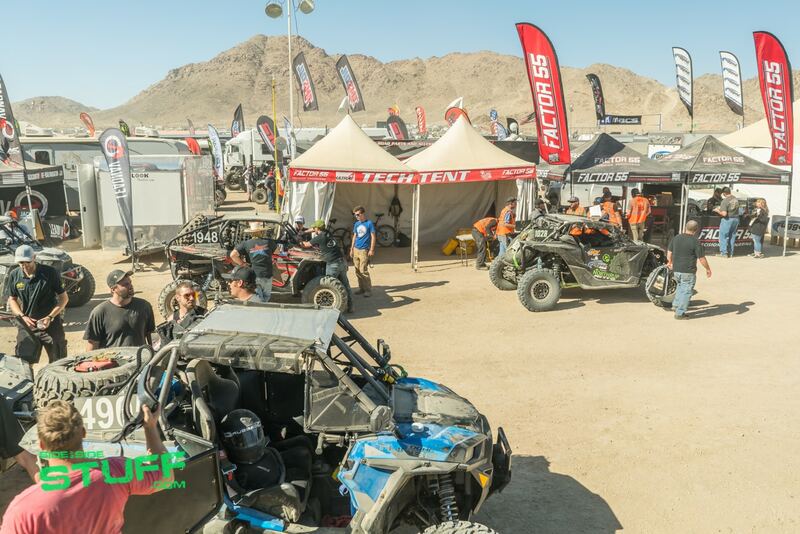 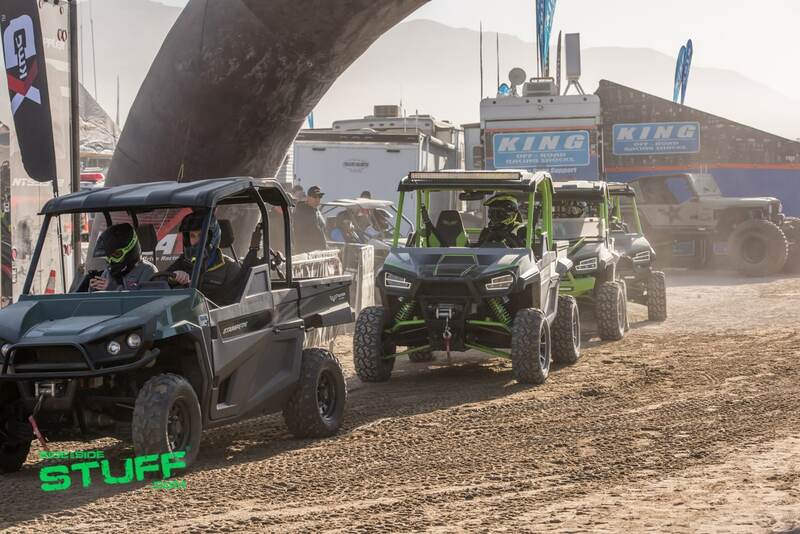 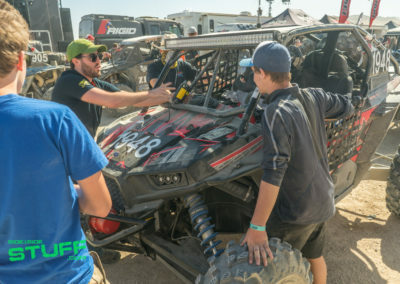 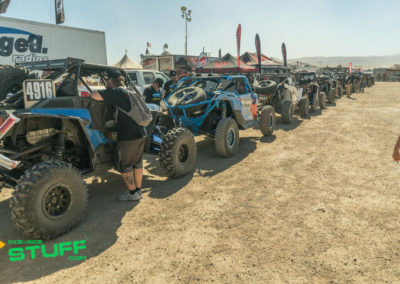 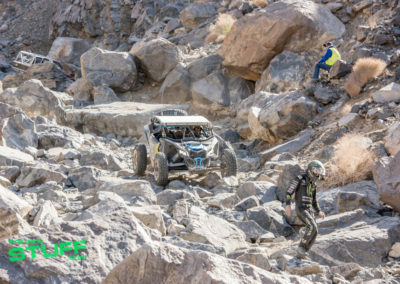 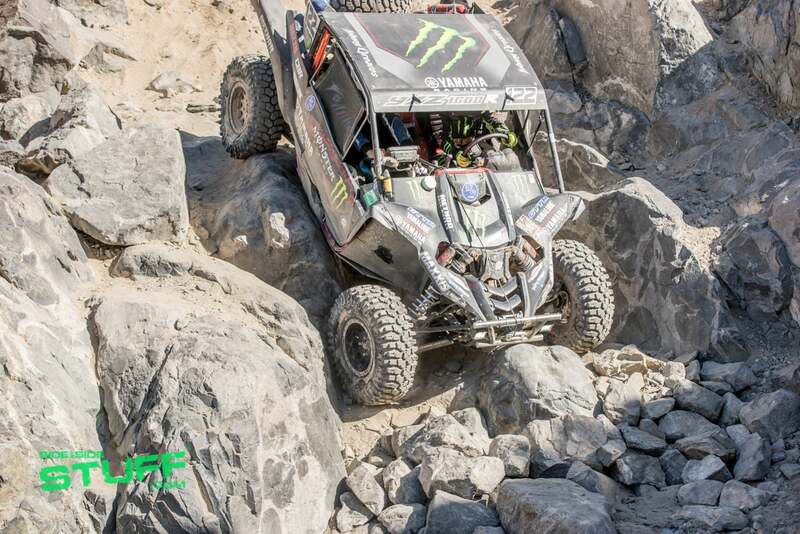 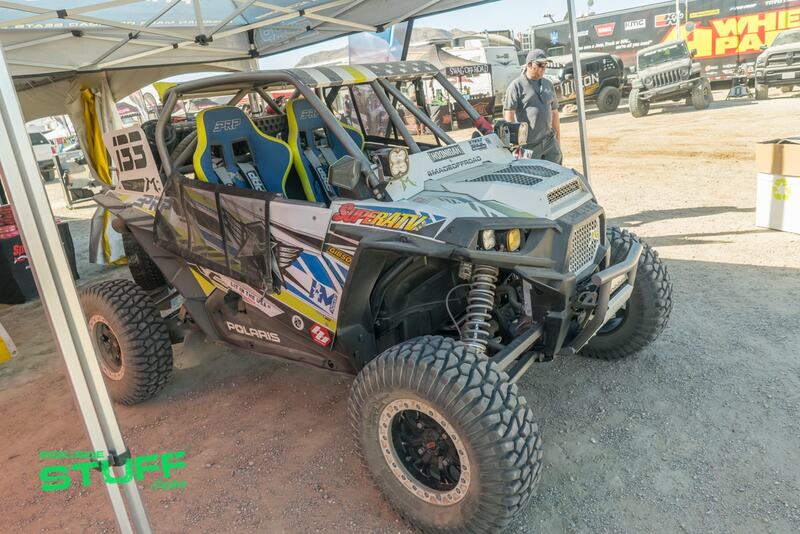 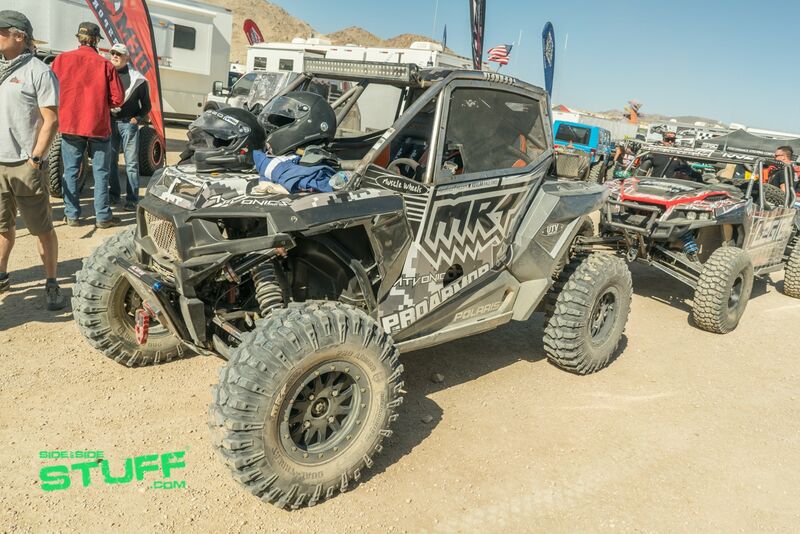 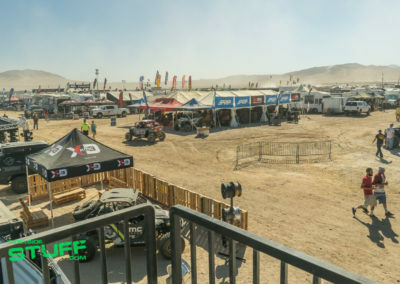 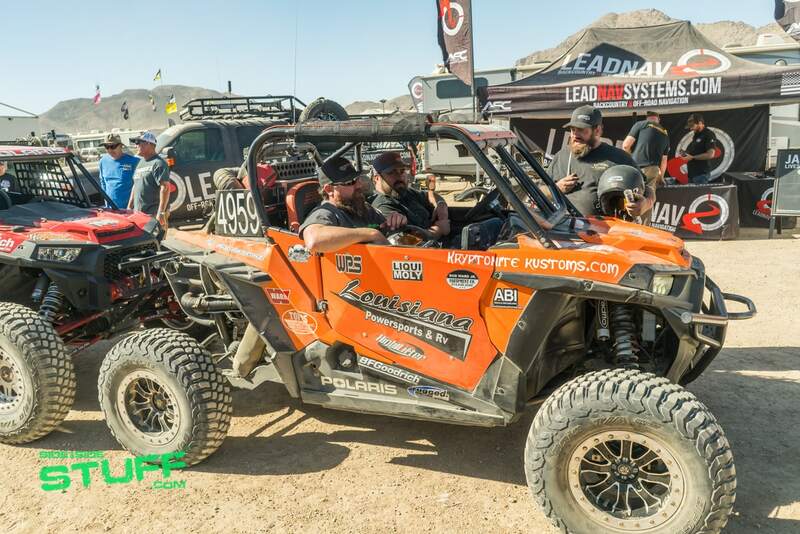 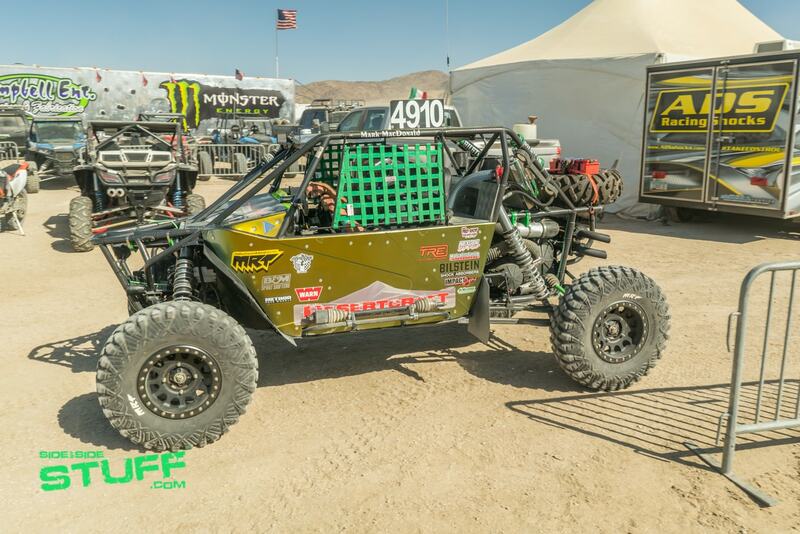 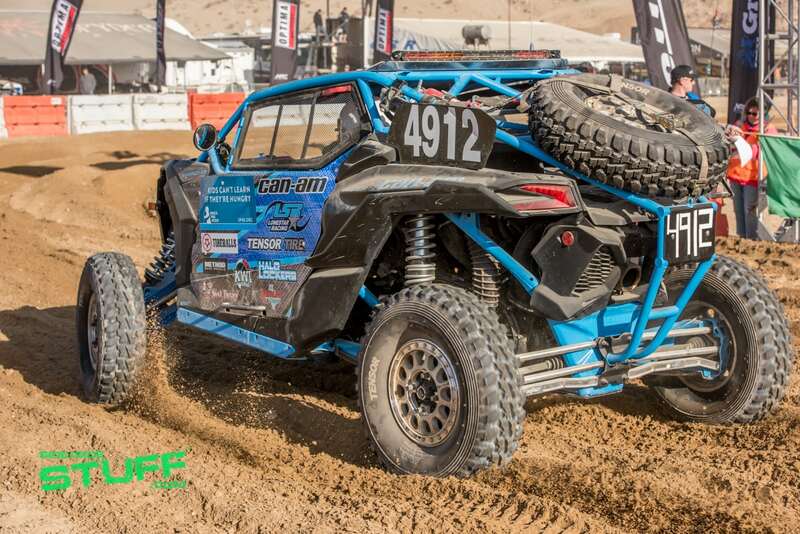 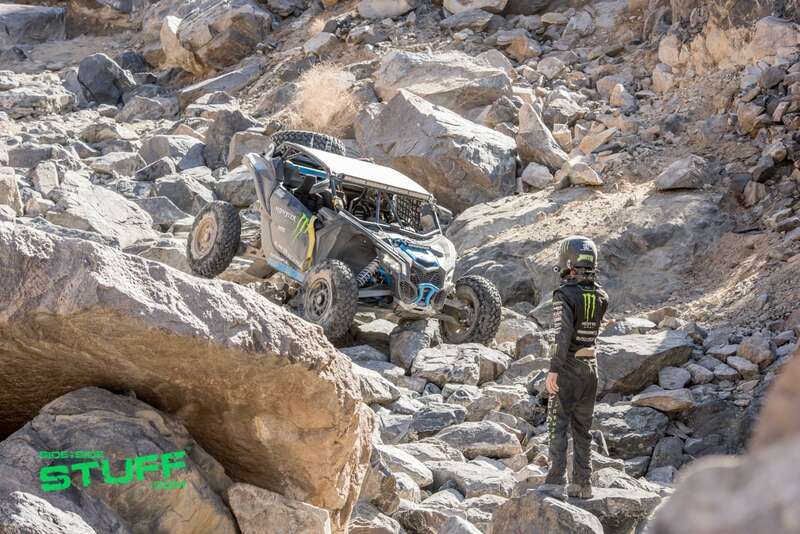 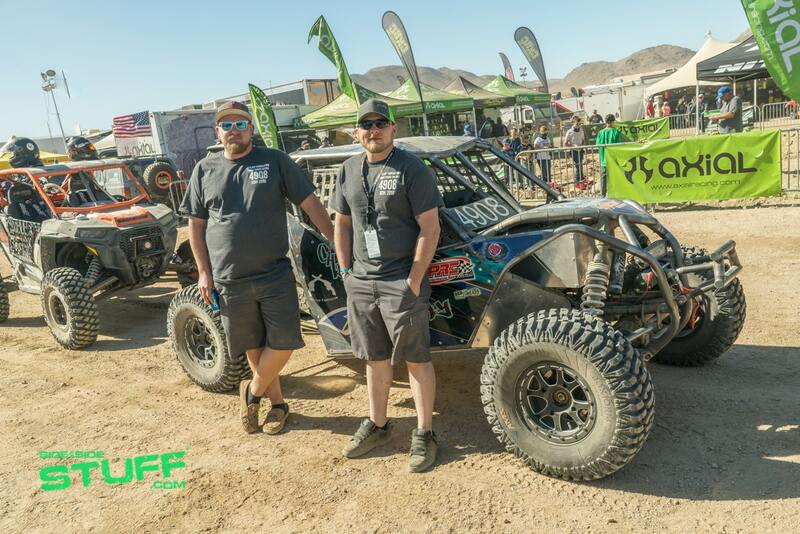 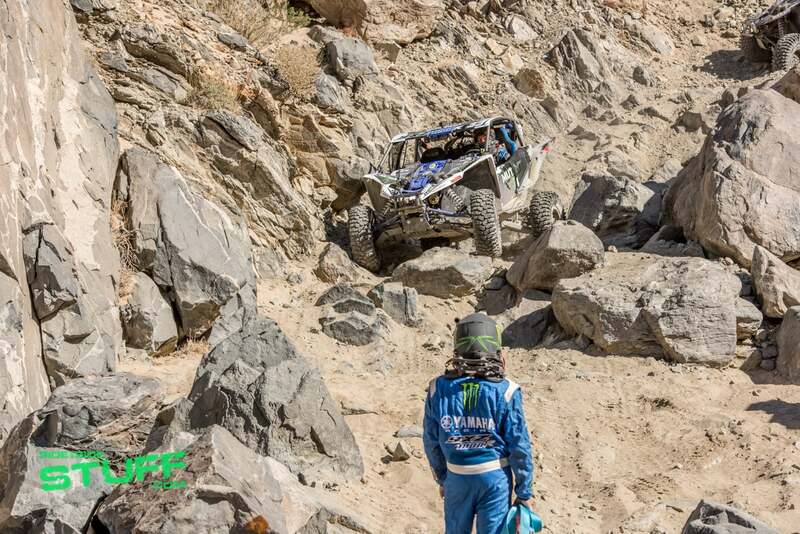 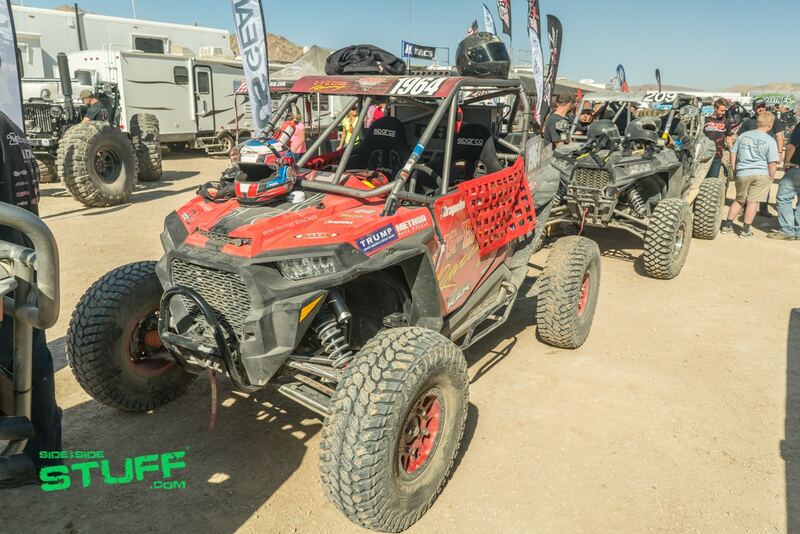 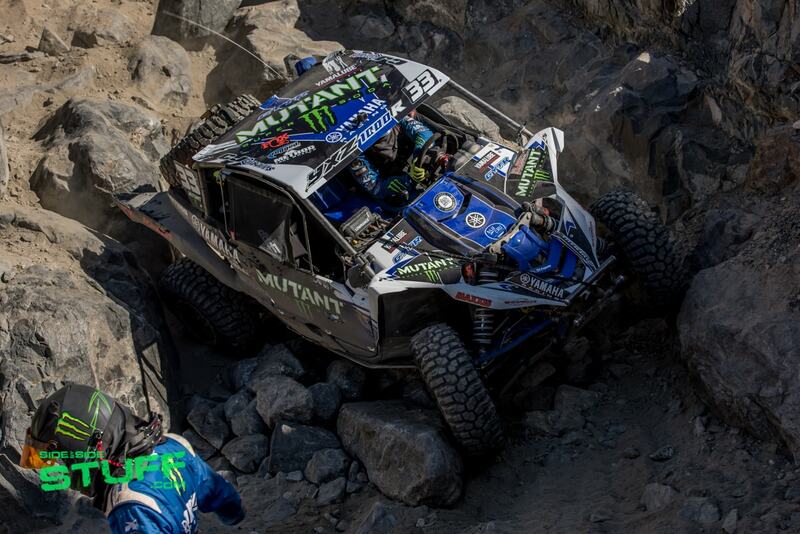 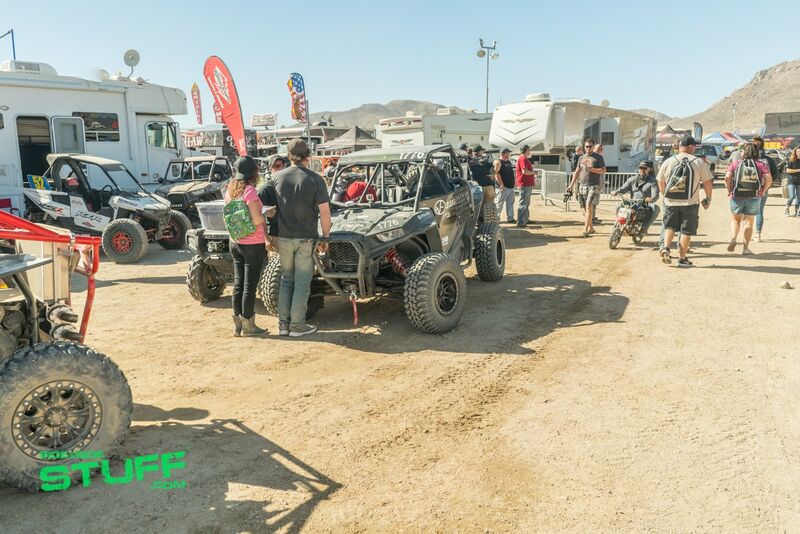 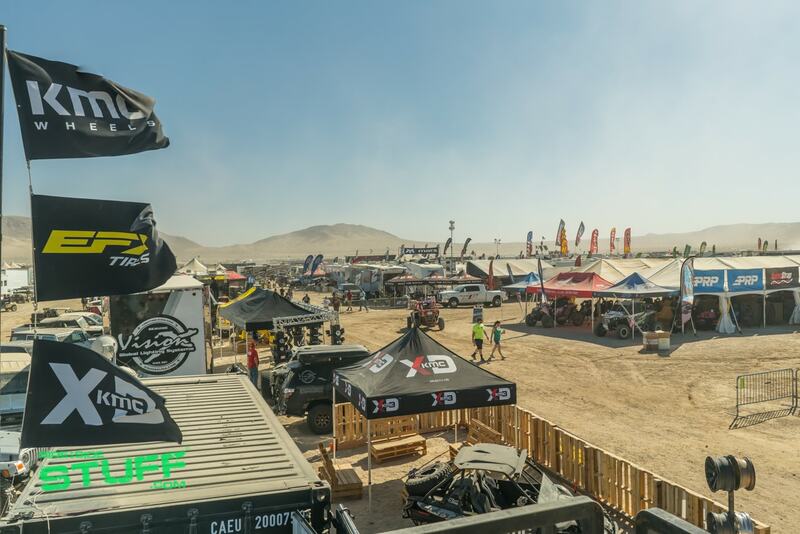 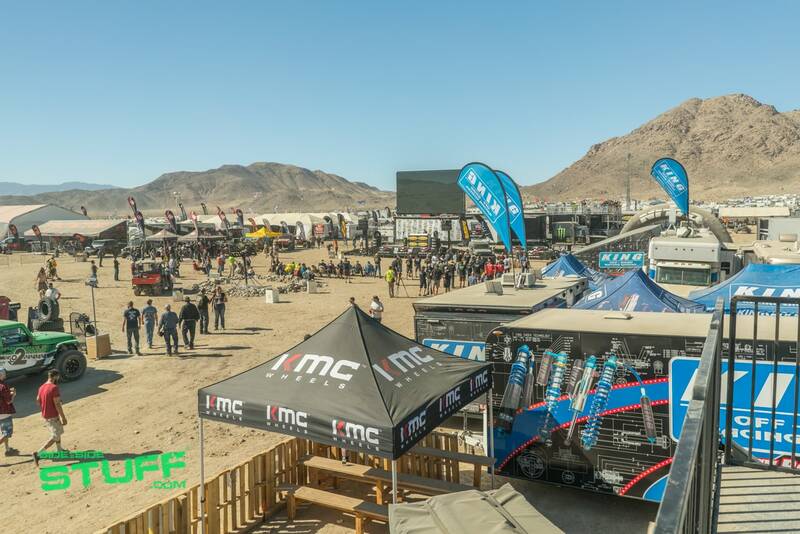 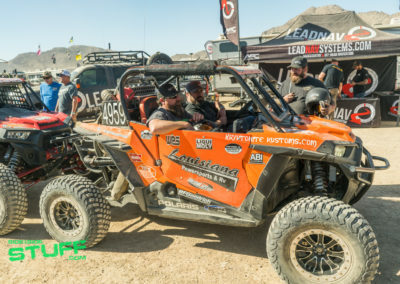 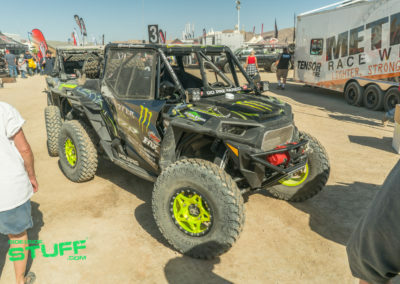 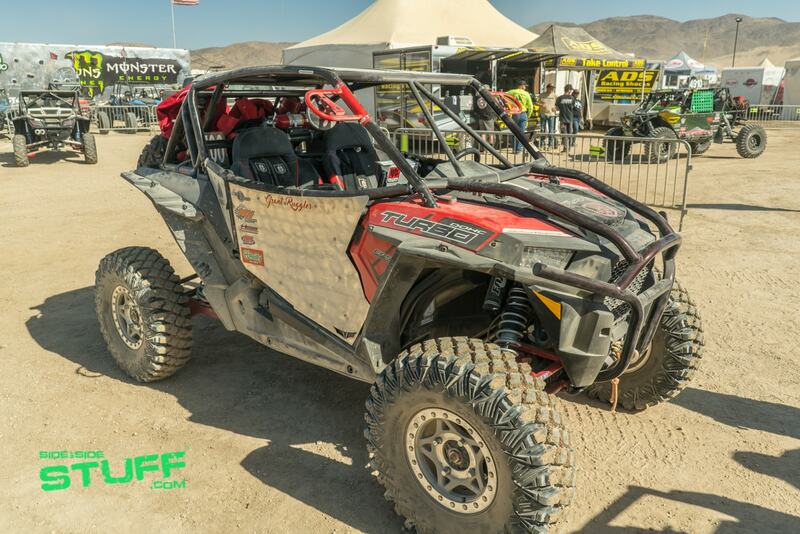 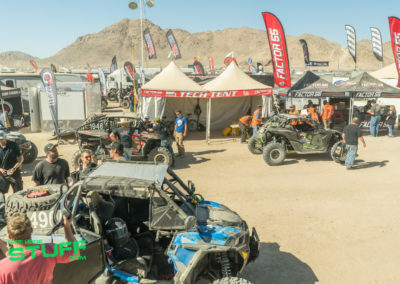 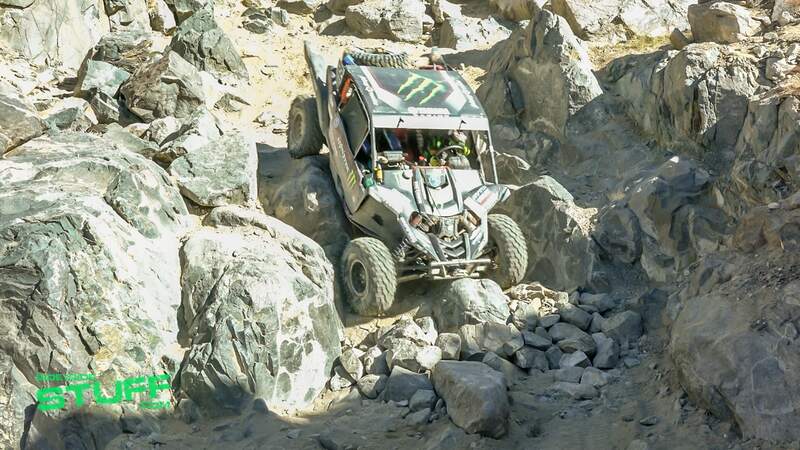 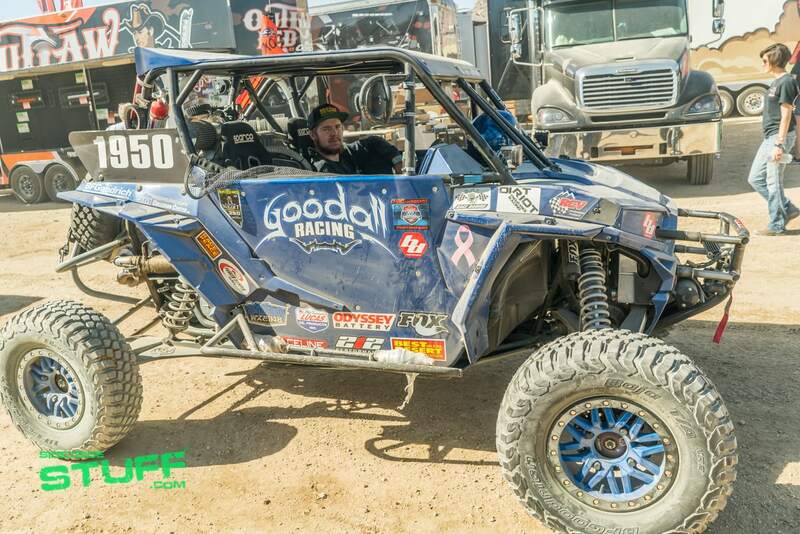 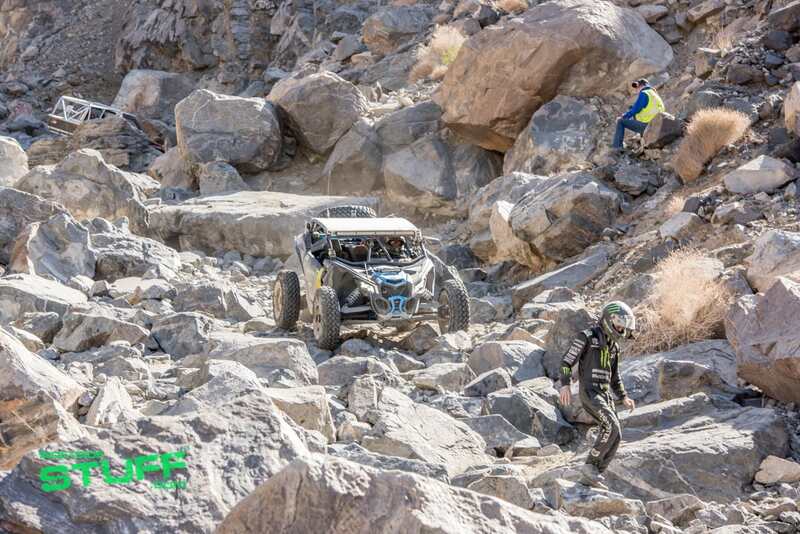 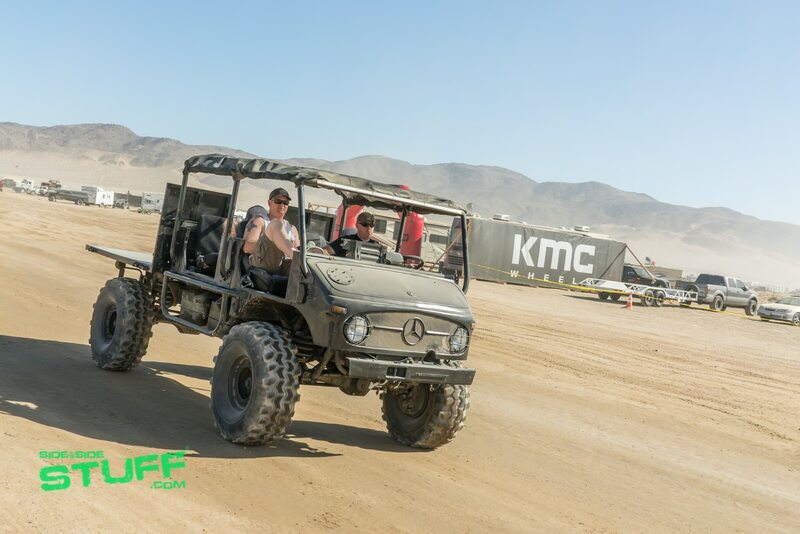 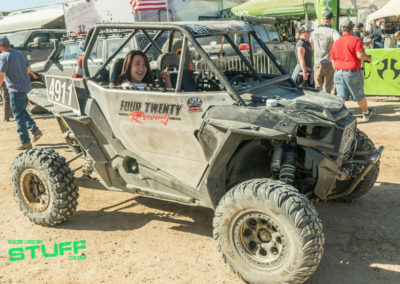 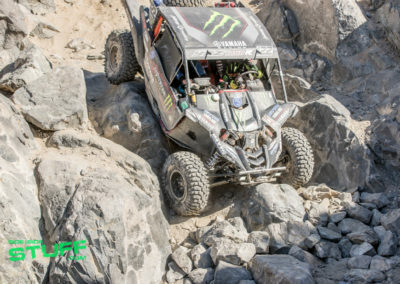 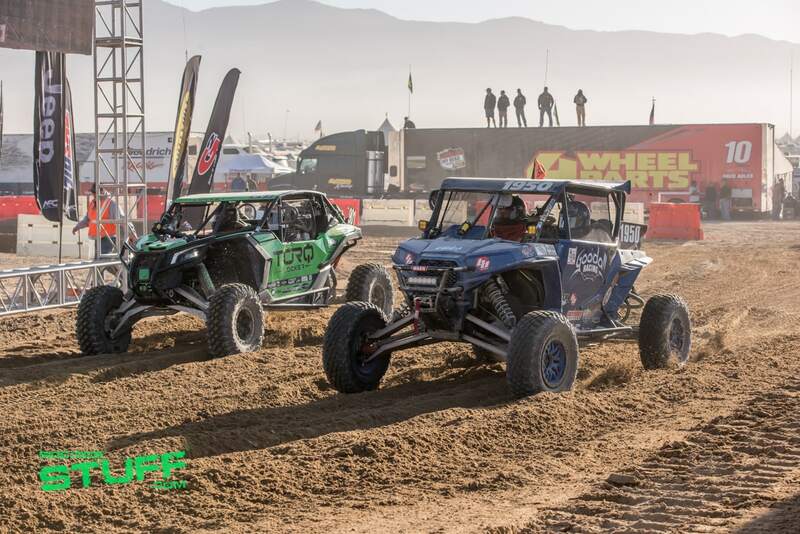 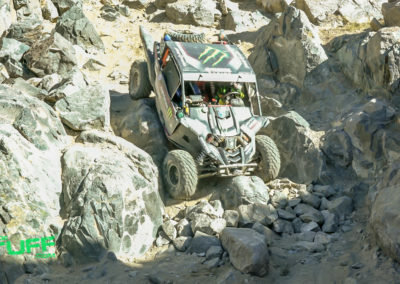 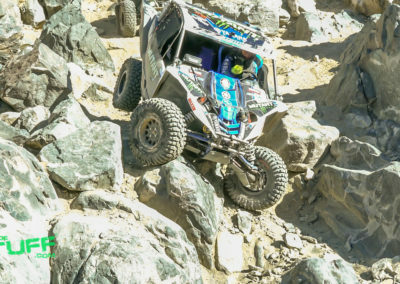 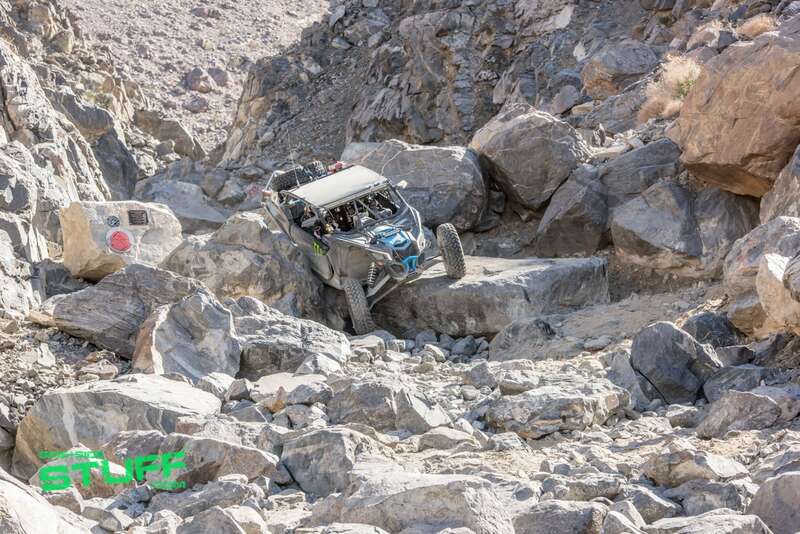 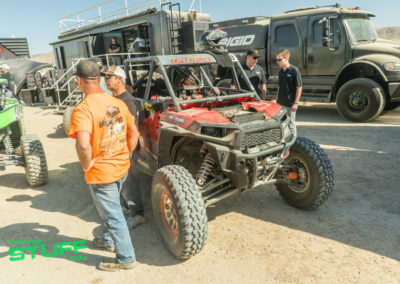 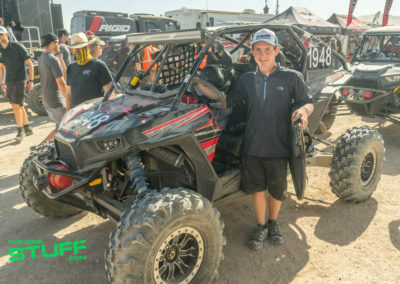 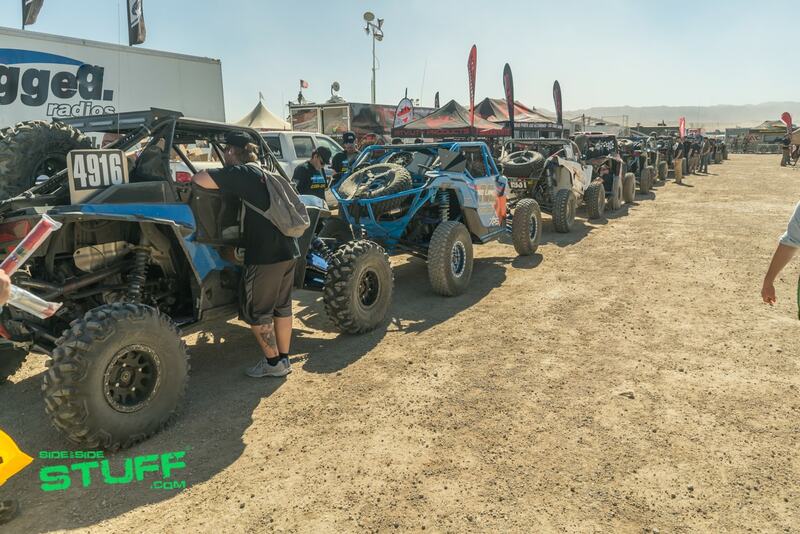 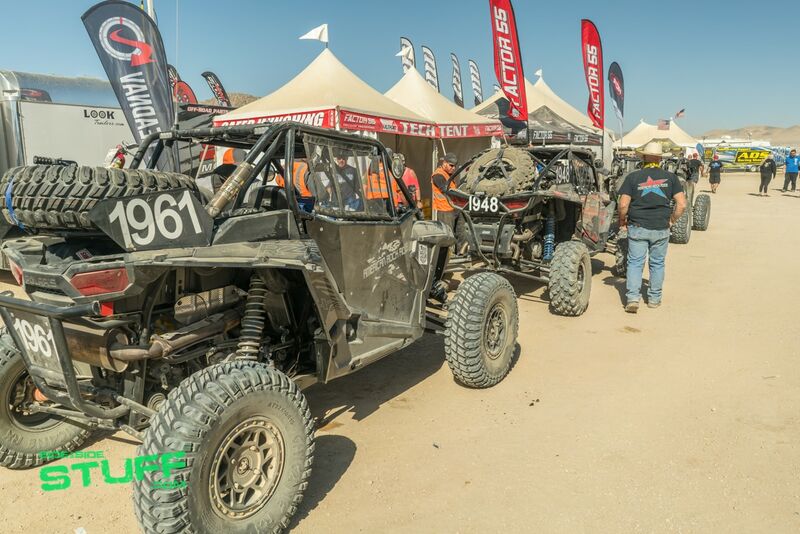 Nearly 100,000 off-road enthusiasts from around the world came out to watch a total of 470 teams compete at KOH 2018. 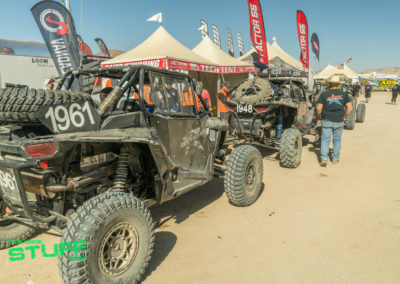 Each year they create a temporary city in the desert known as Hammertown, many industry vendors, KOH competitors and spectators camp out for this week long event that consists of a variety of races and classes including Ultra4 unlimited 4x4 vehicles, limited 4x4 vehicles, dirt bikes, homebuilt rigs and side by sides. 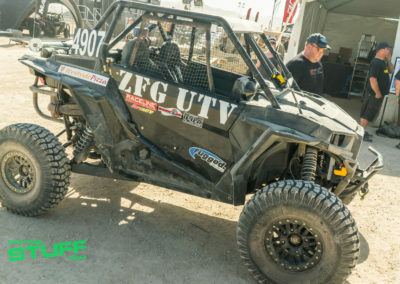 2018 marks the 10th year for the UTV class. 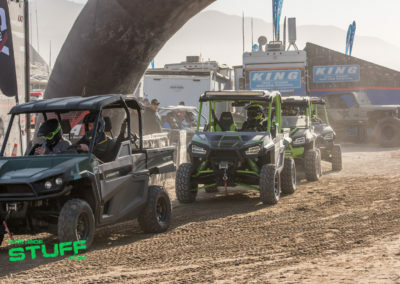 It’s now the largest class during the week-long series of racing, the explosive growth in popularity has made it an exciting and seriously competitive field. 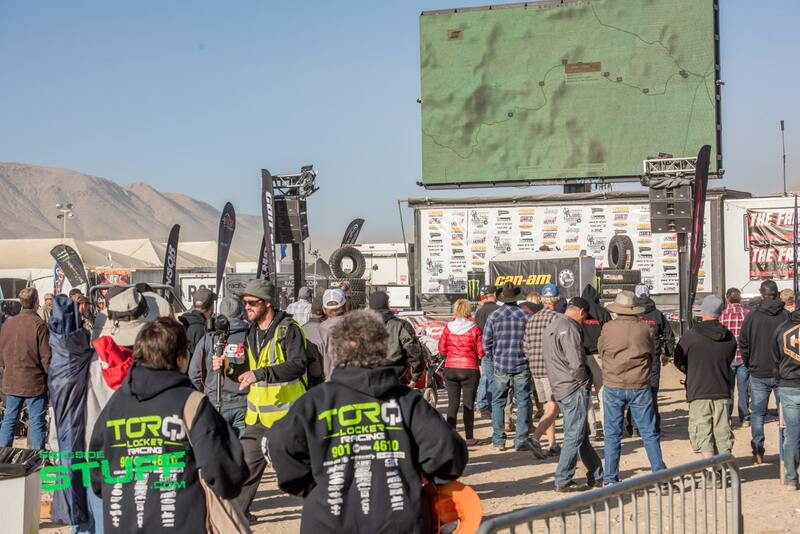 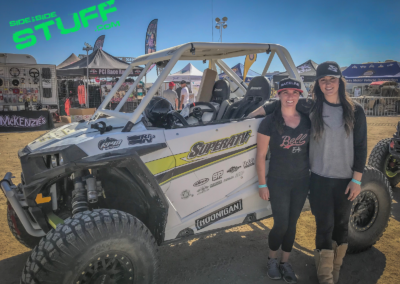 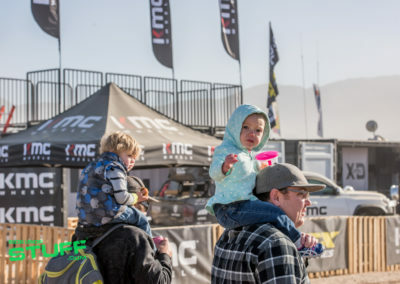 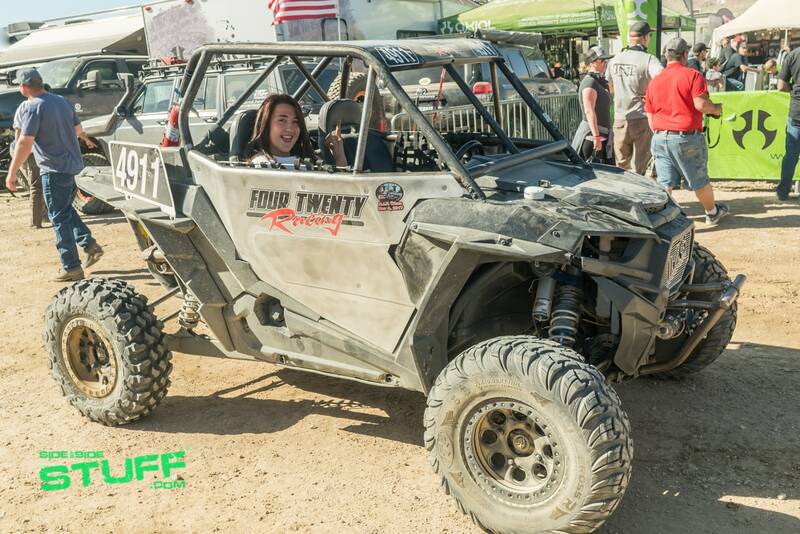 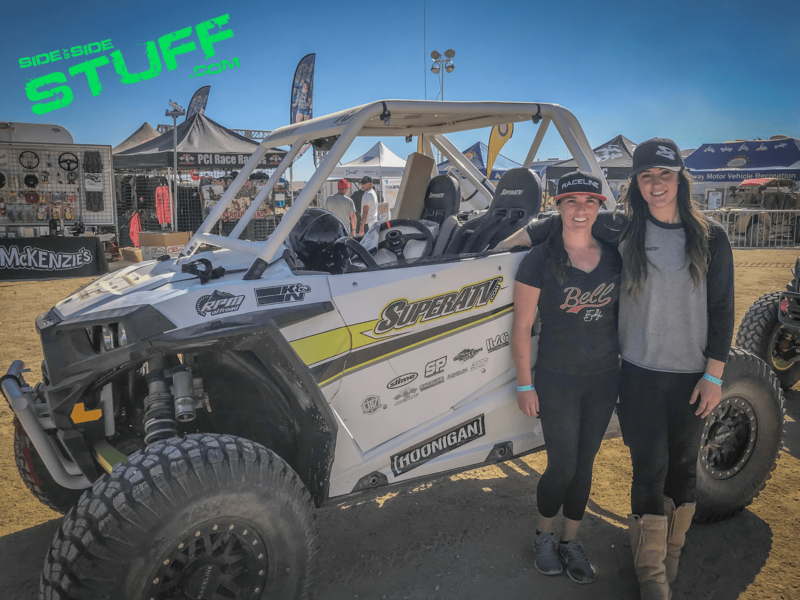 Each year the class grows at an explosive rate, this year 118 UTVs from 28 different states entered the Can-Am UTV King of the Hammers presented by HCR including several off-road legends, former KOH Kings, all women race teams, and novice and professional UTV race teams. 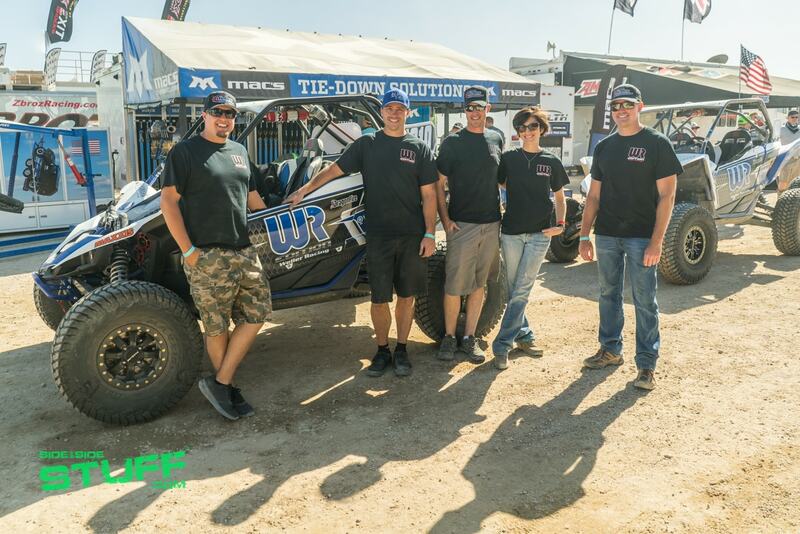 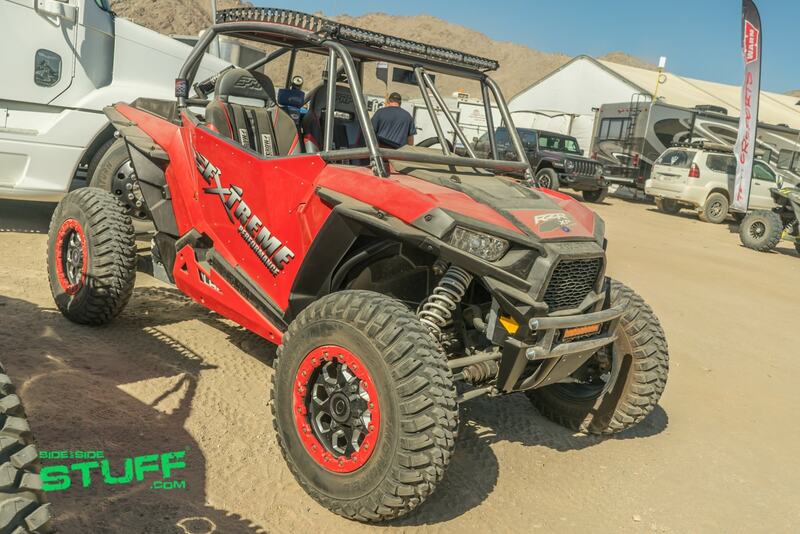 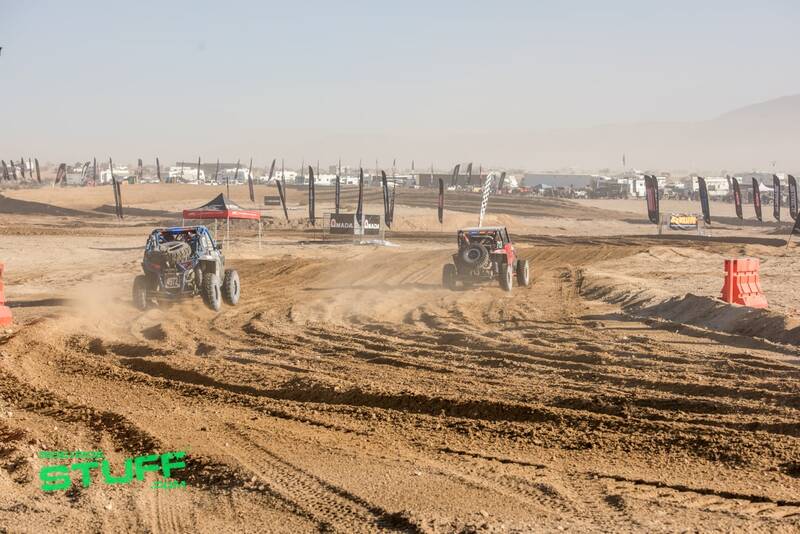 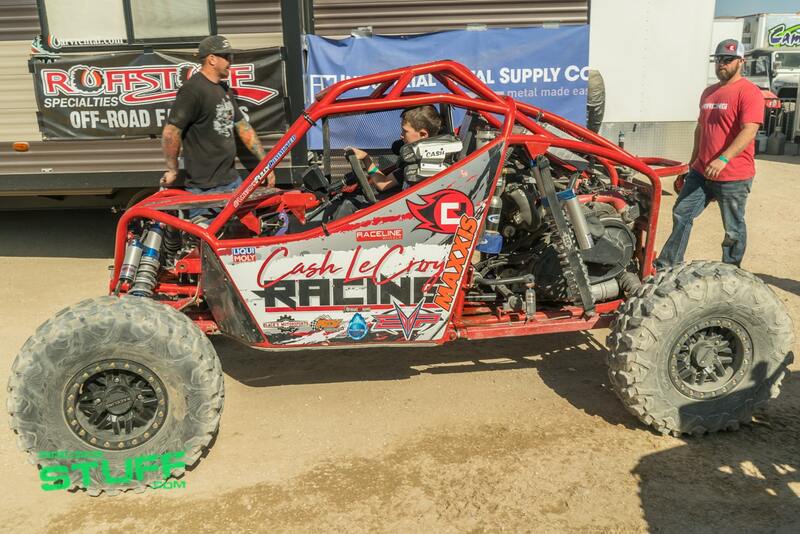 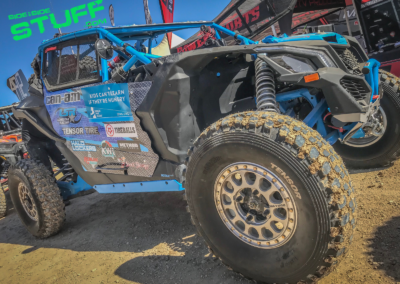 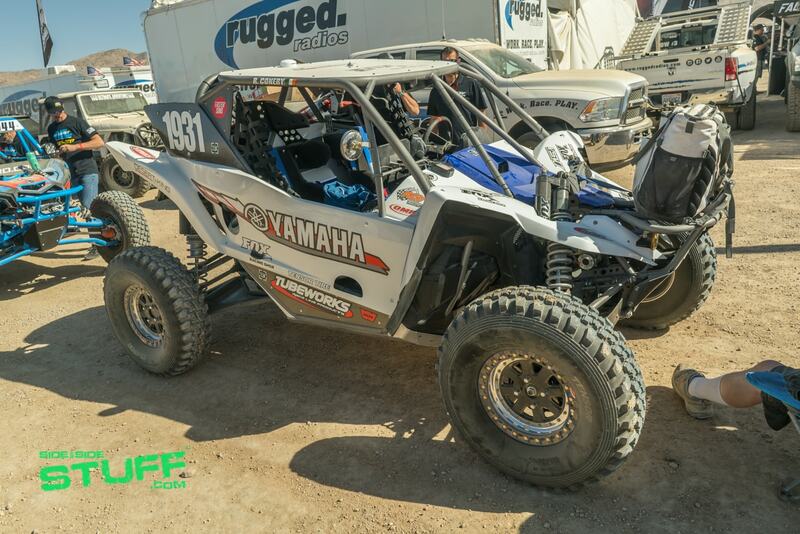 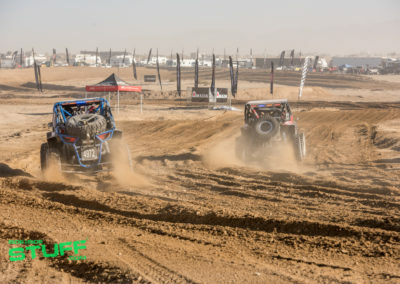 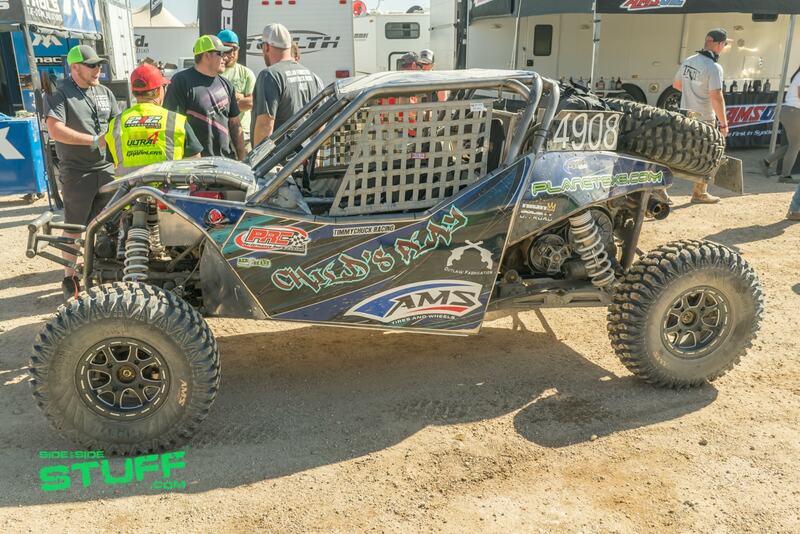 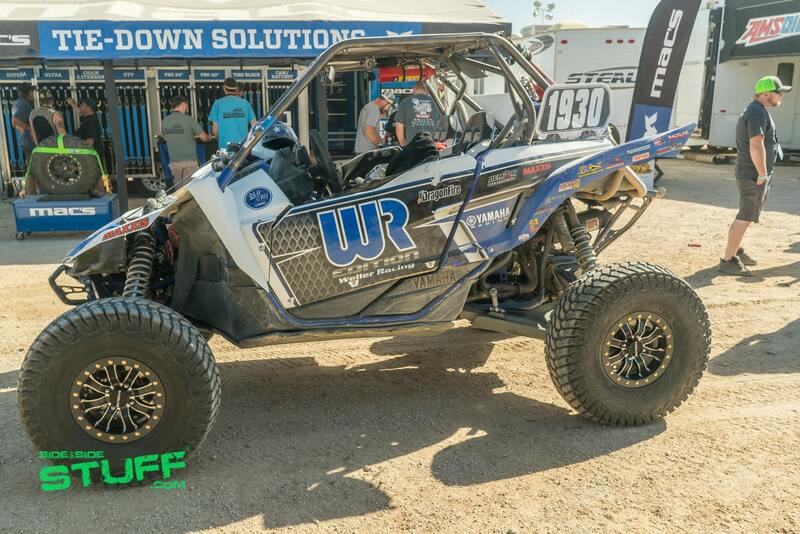 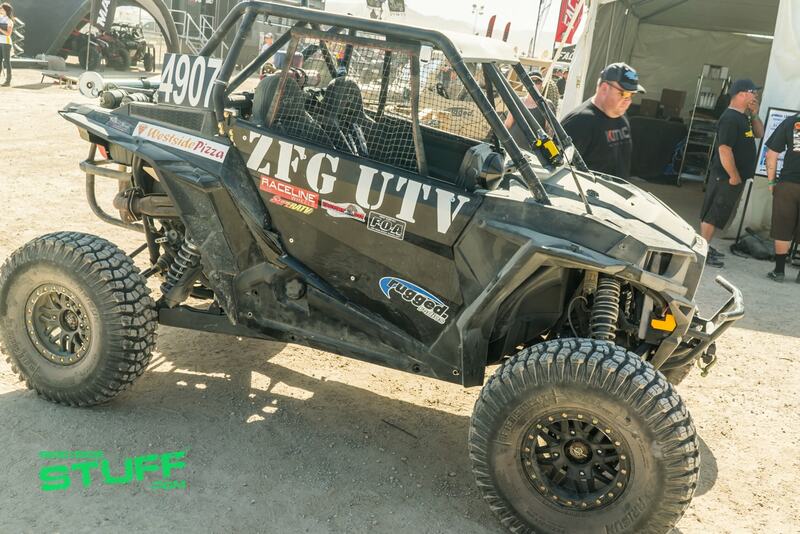 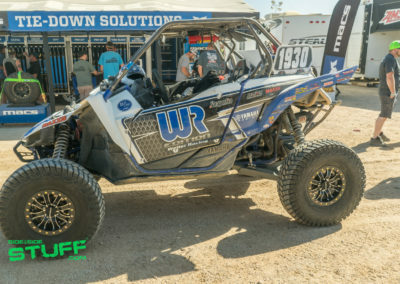 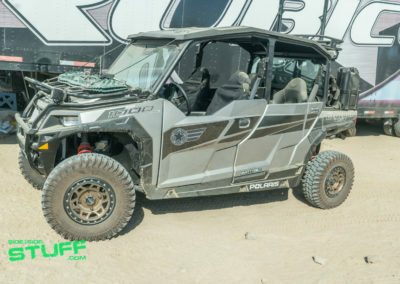 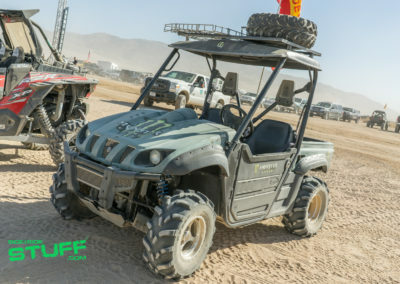 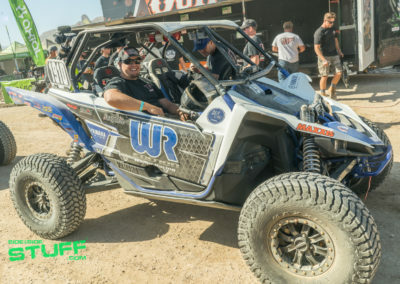 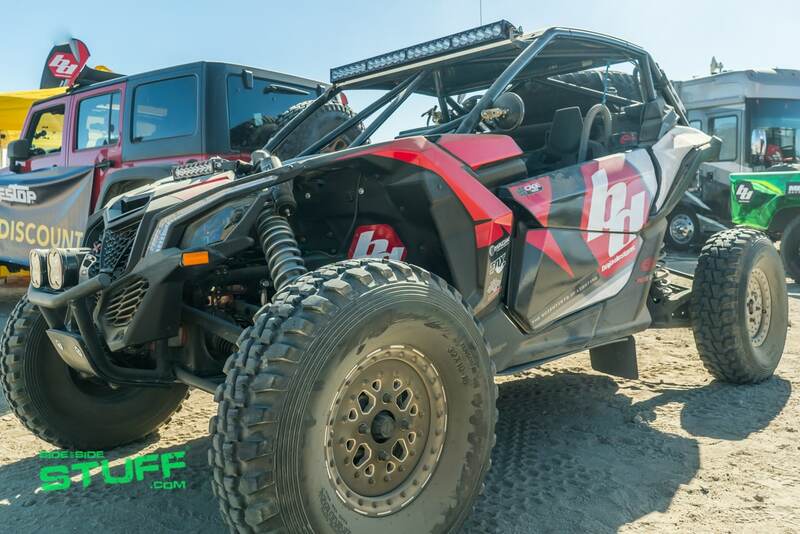 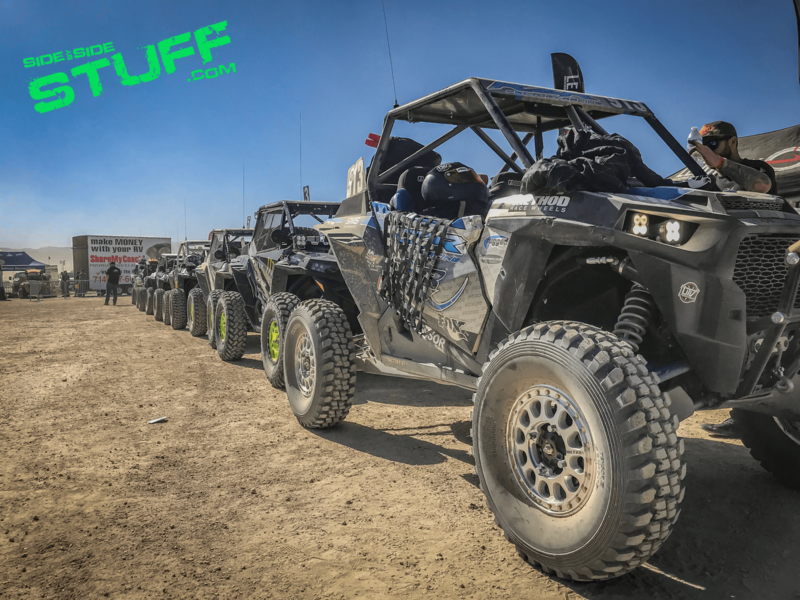 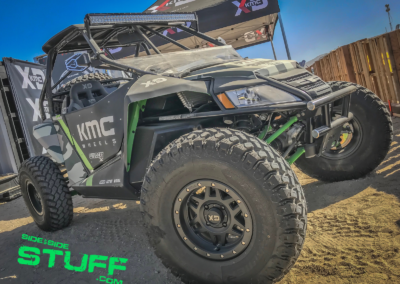 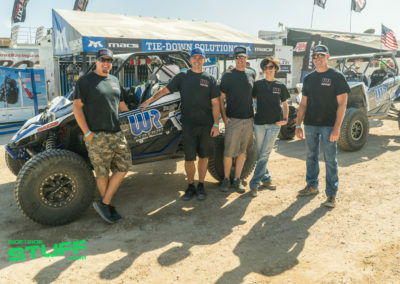 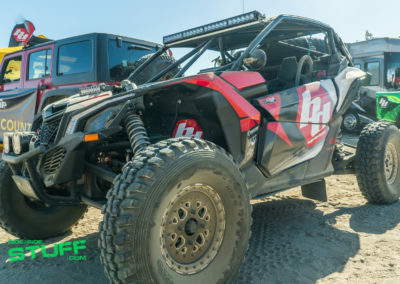 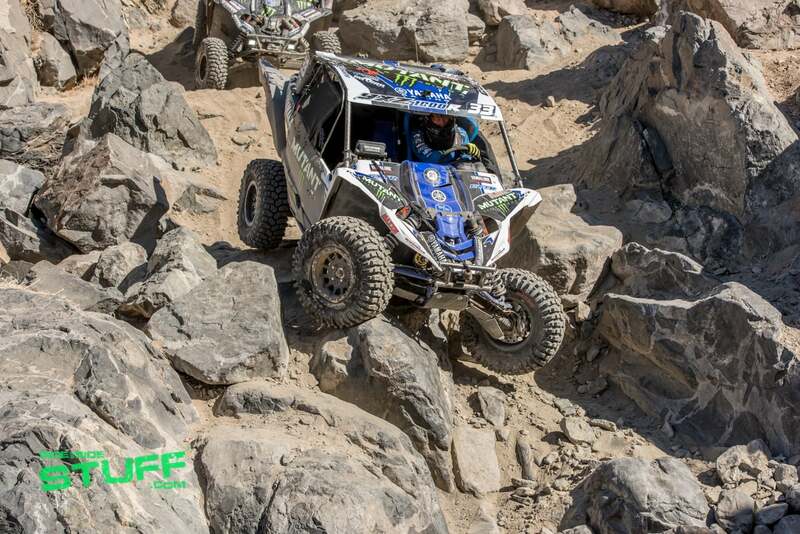 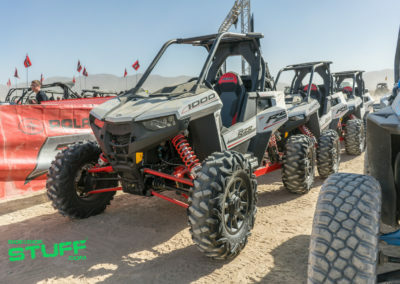 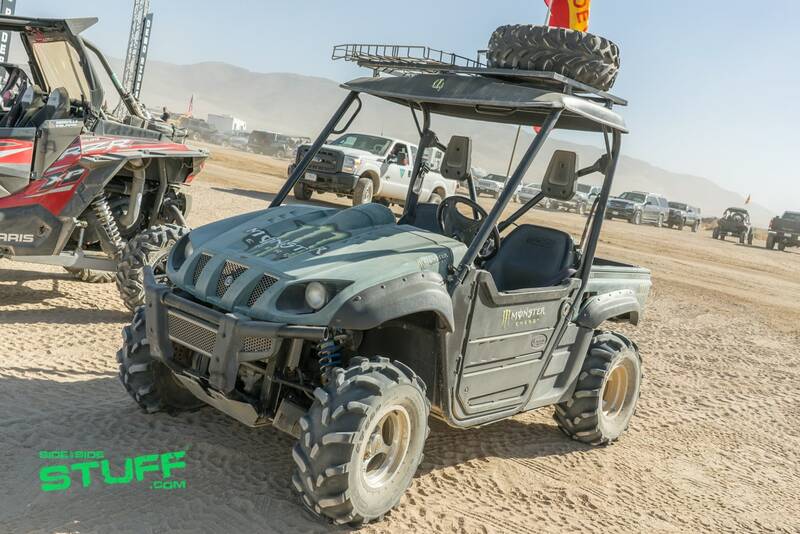 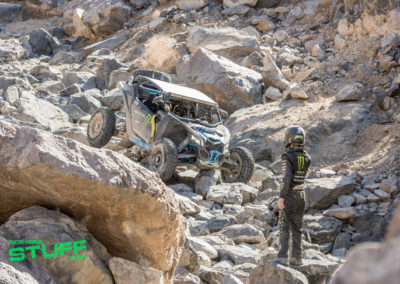 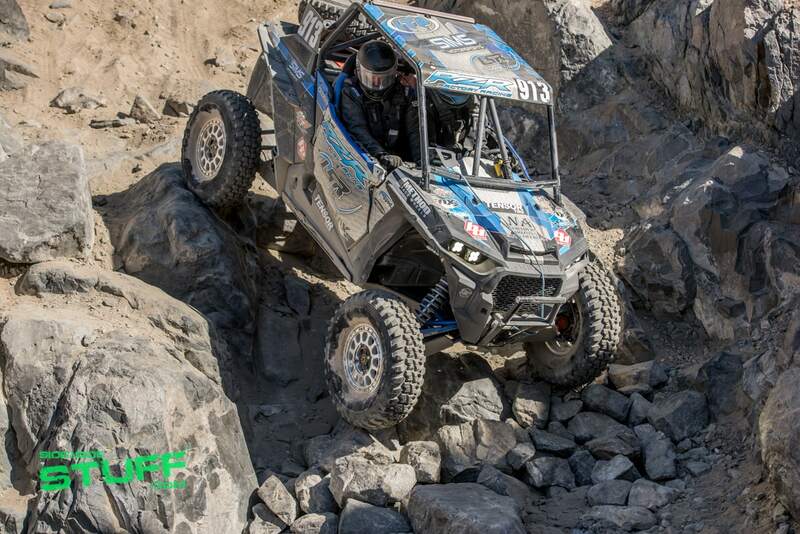 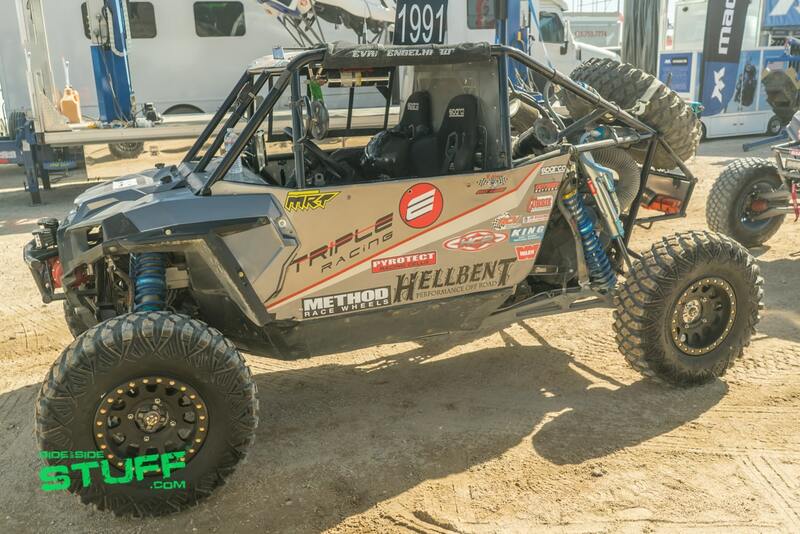 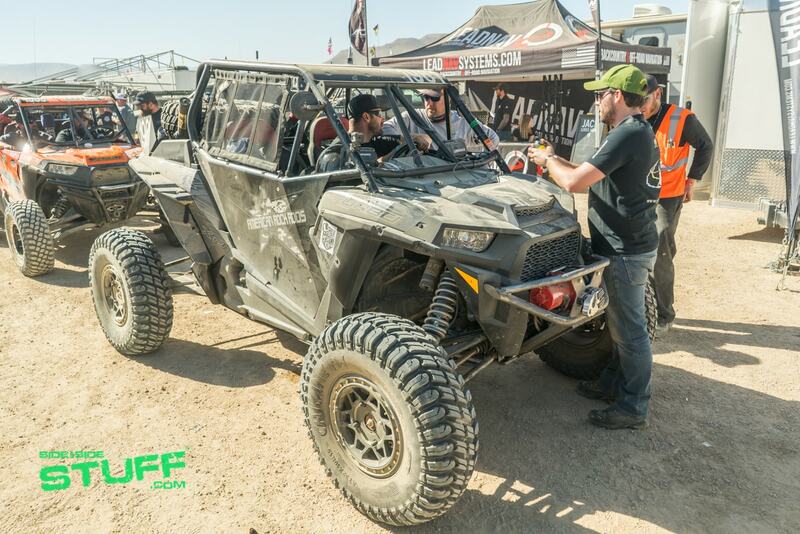 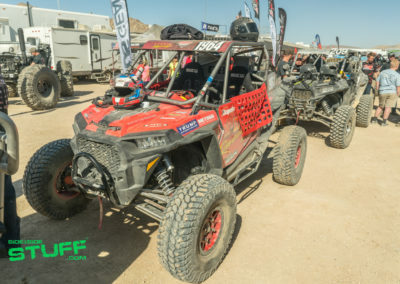 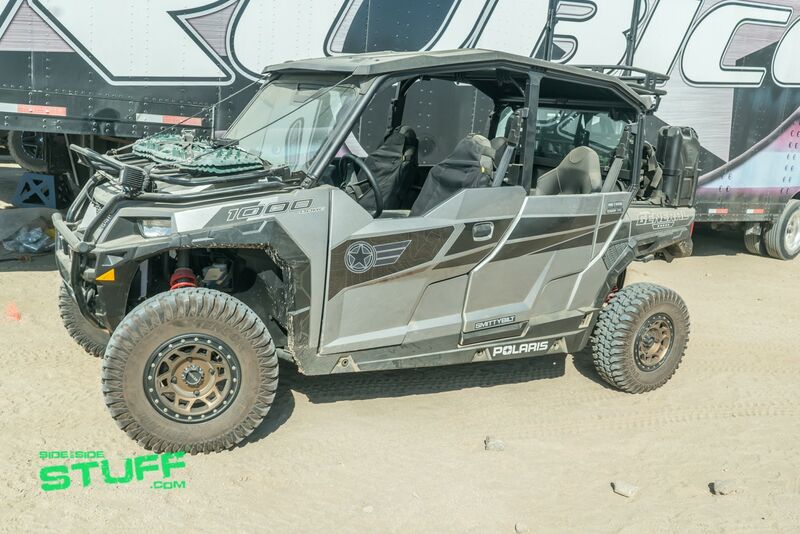 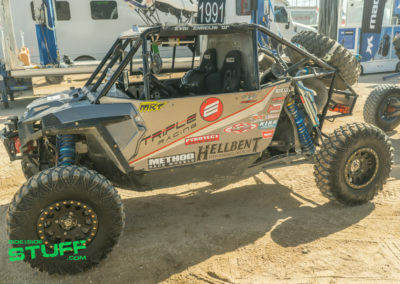 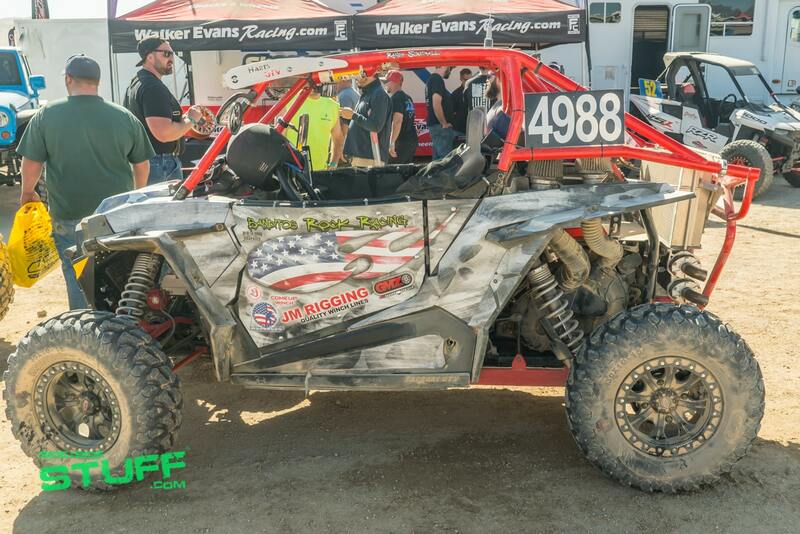 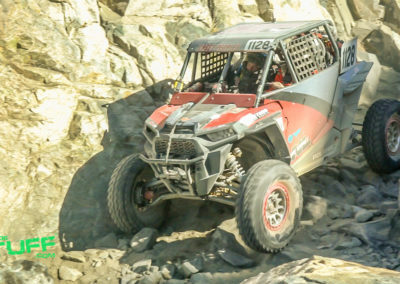 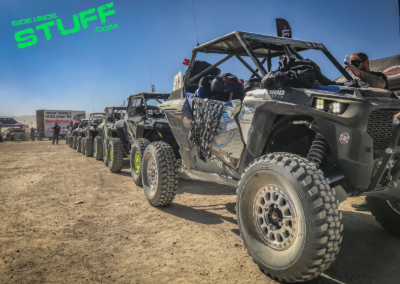 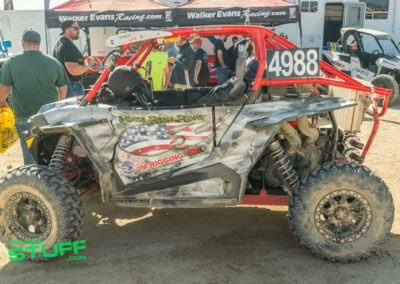 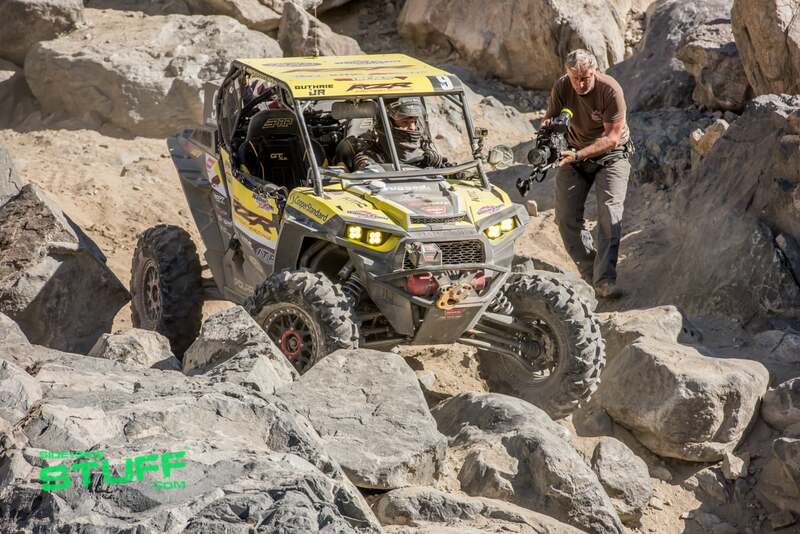 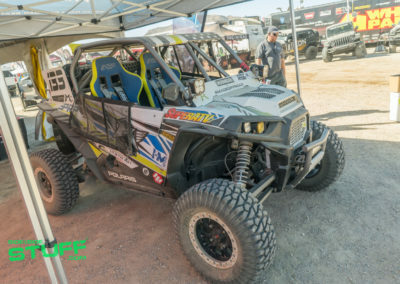 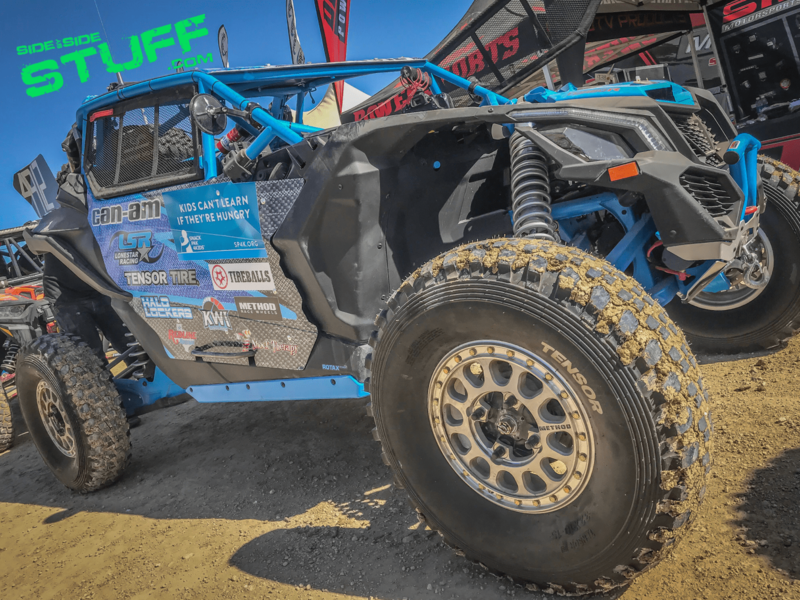 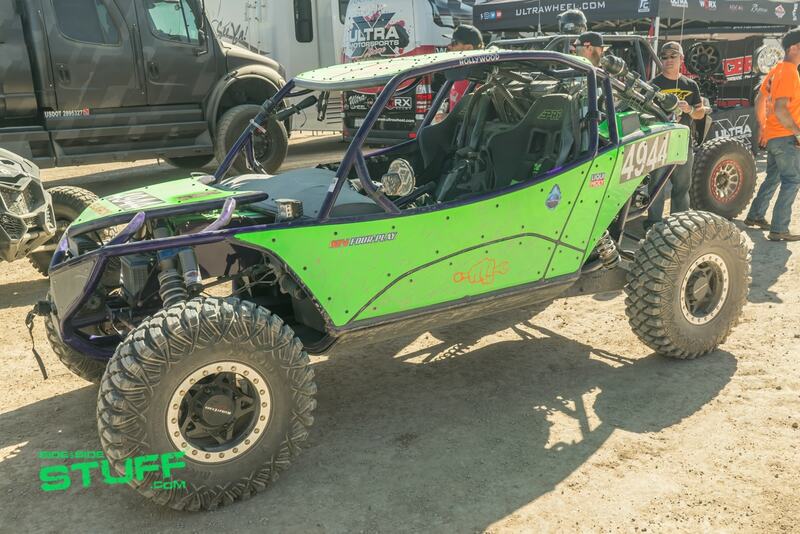 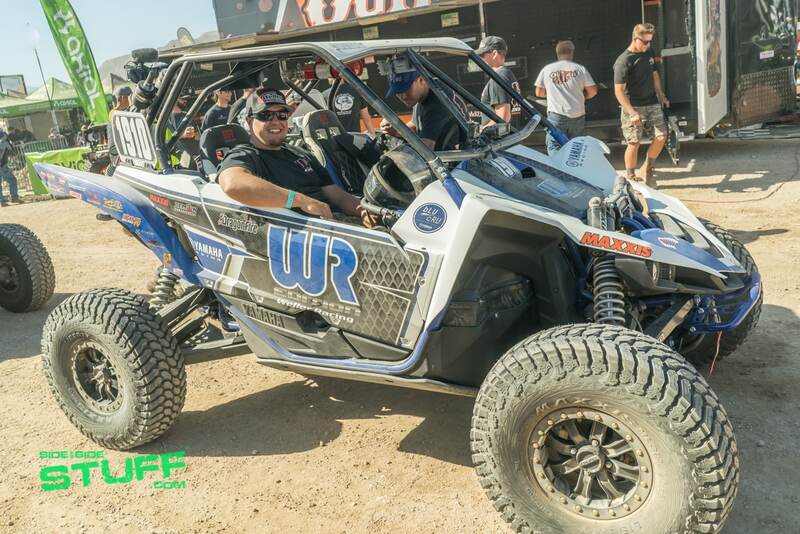 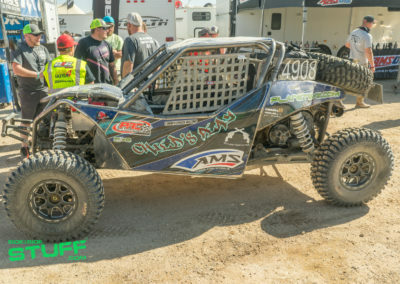 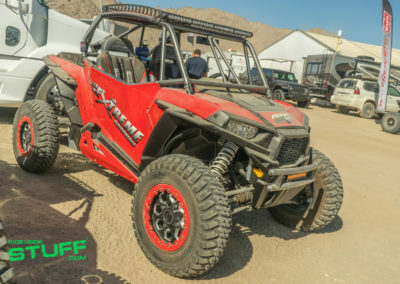 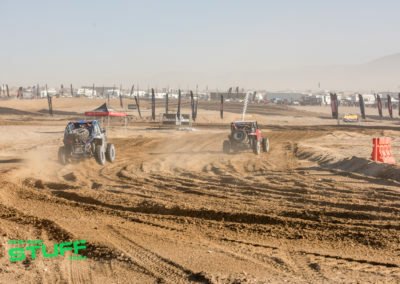 The 134 mile UTV race runs on the same challenging and even sometimes impassible course as the Ultra4 vehicles, the average Ultra4 vehicle uses 40” tires while the average UTV is running 29” tires. 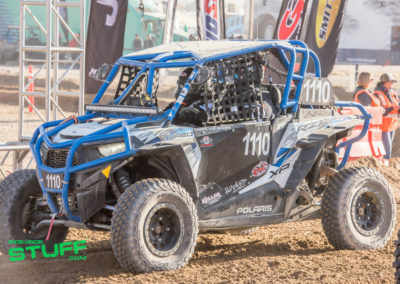 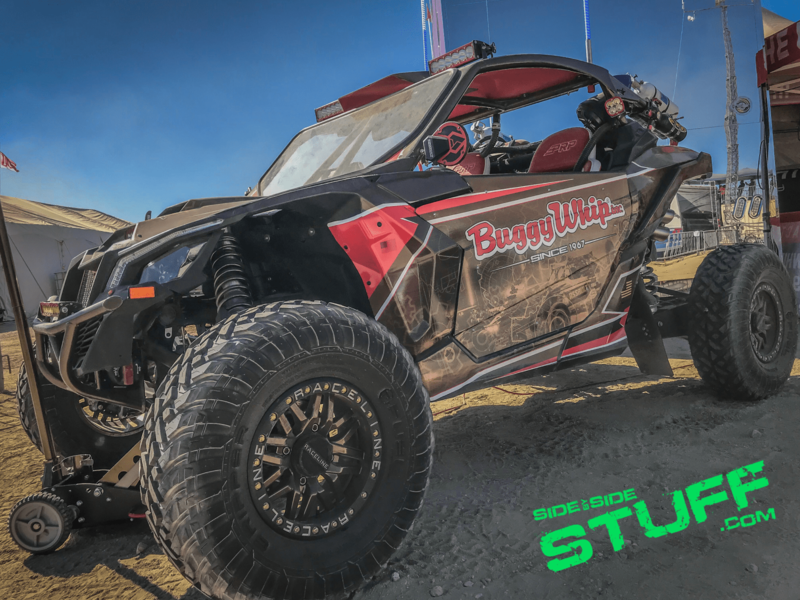 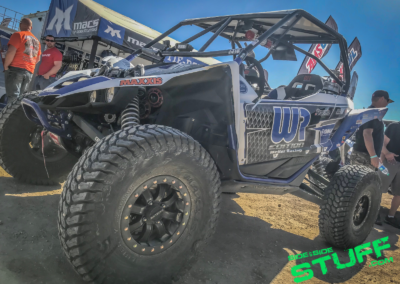 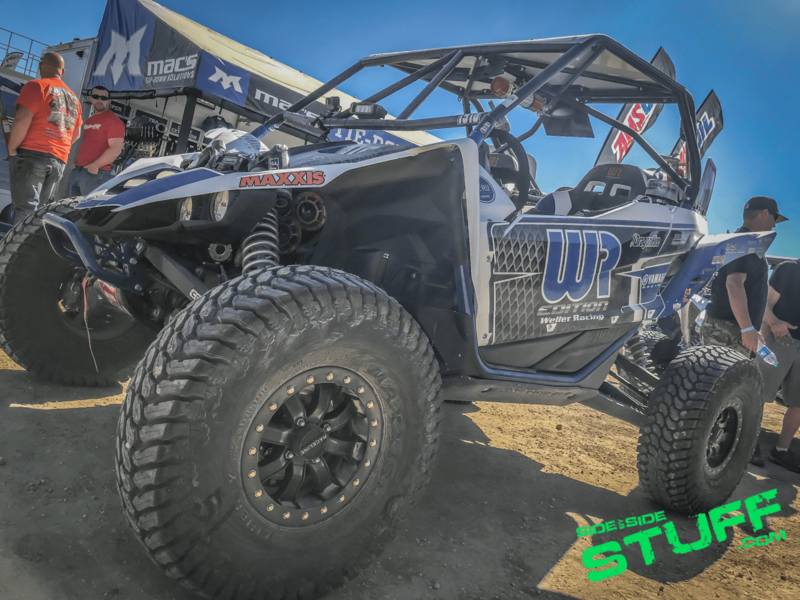 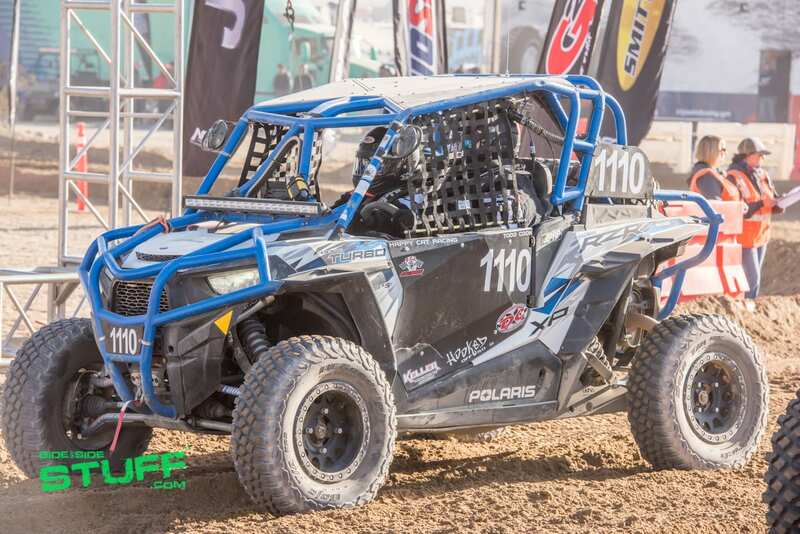 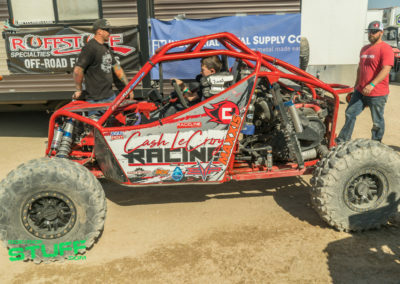 Polaris RZR factory pro UTV racer Mitch Guthrie Jr took 1st on the podium this year, Mitch arrived at the finish line first with a time of 5 hours, 54 minutes and 43 seconds. 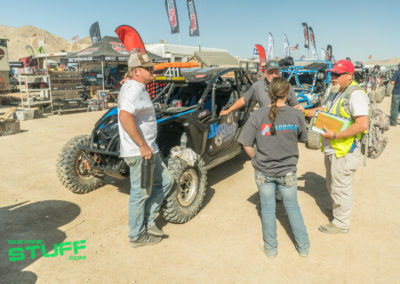 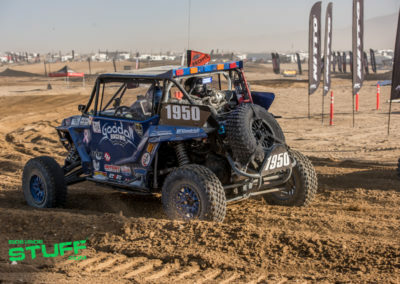 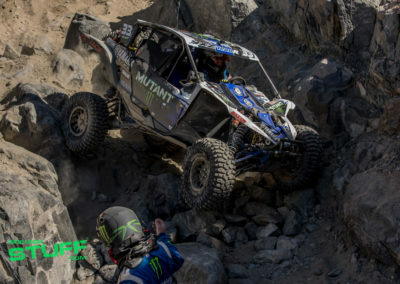 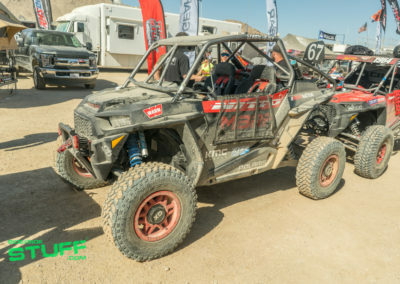 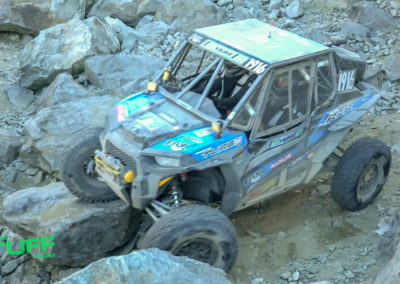 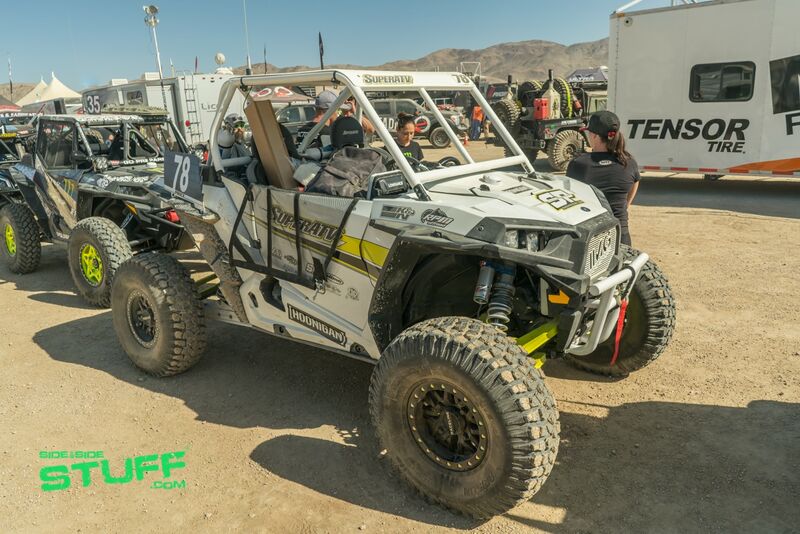 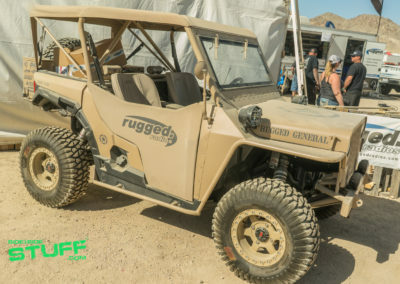 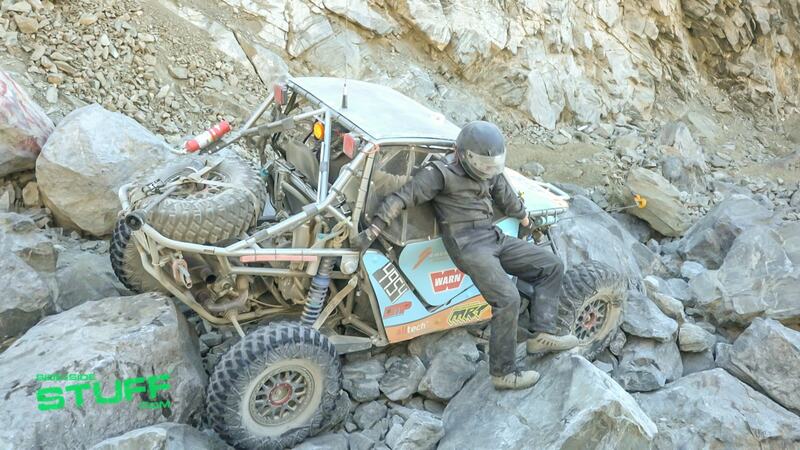 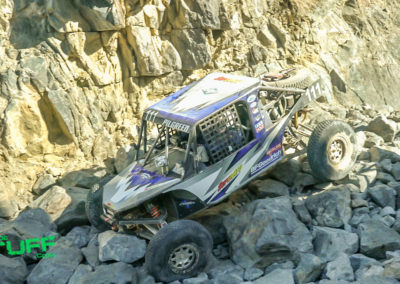 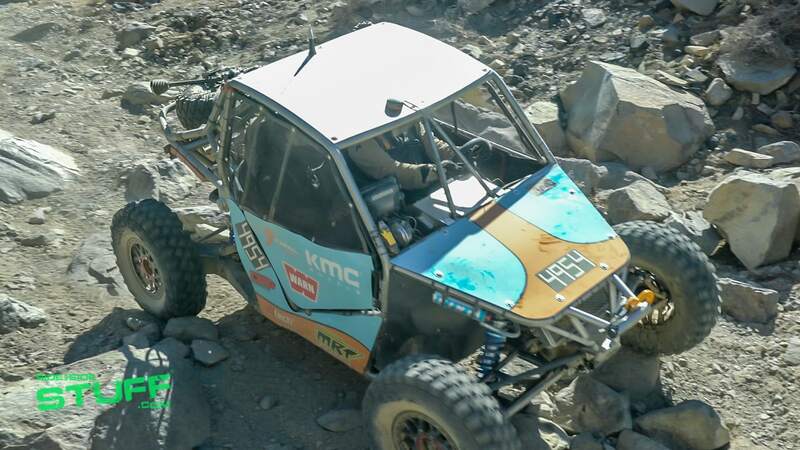 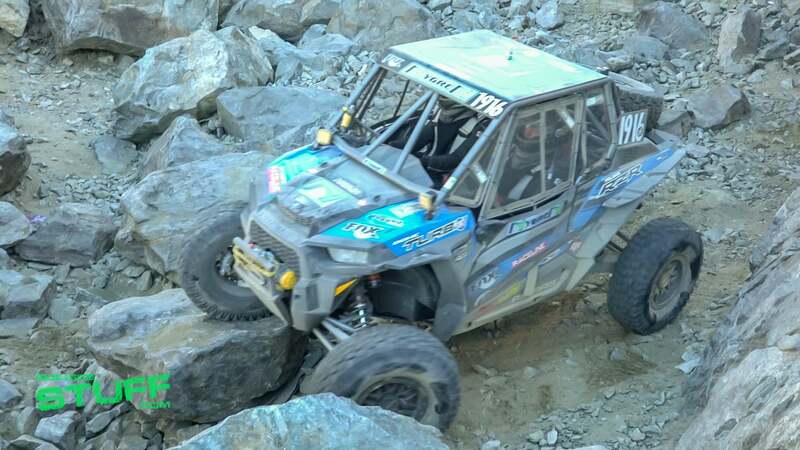 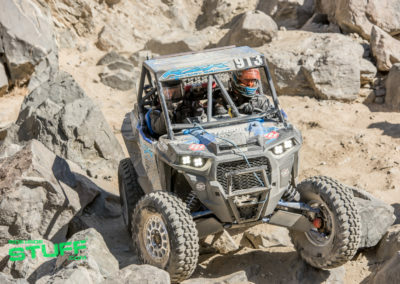 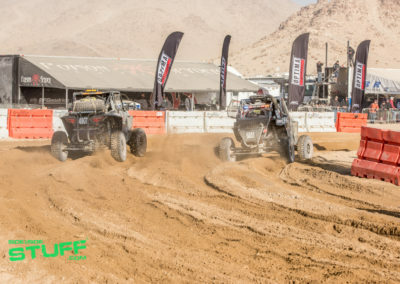 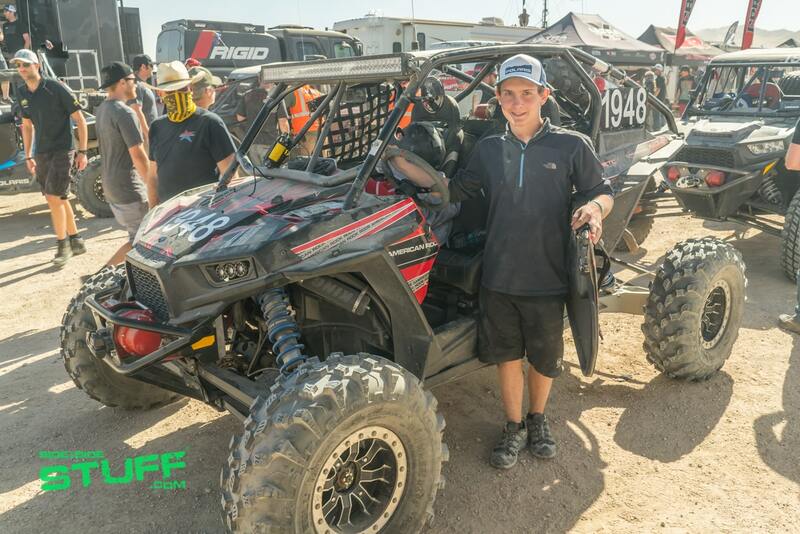 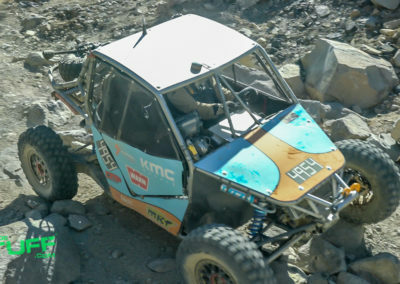 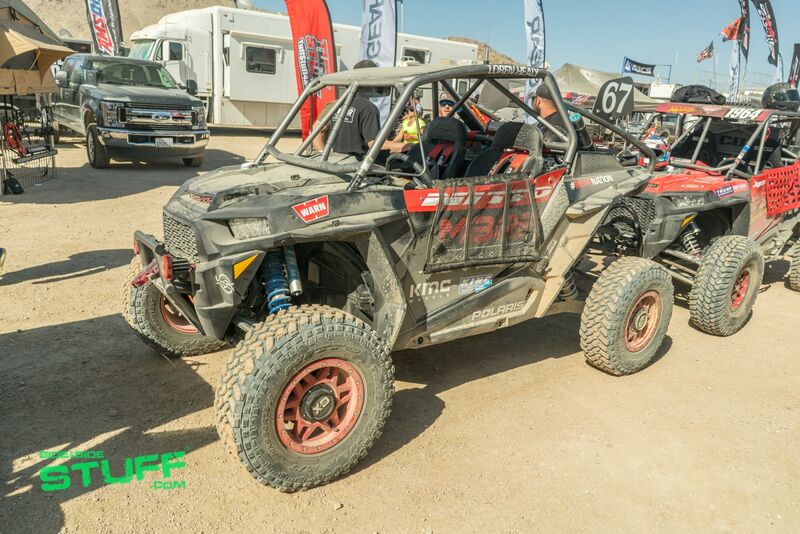 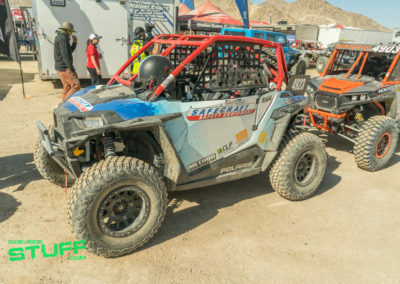 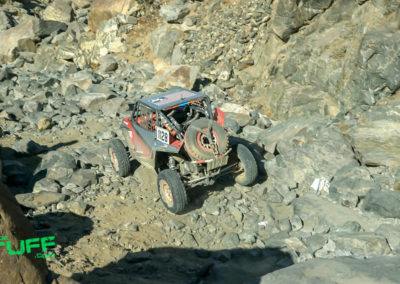 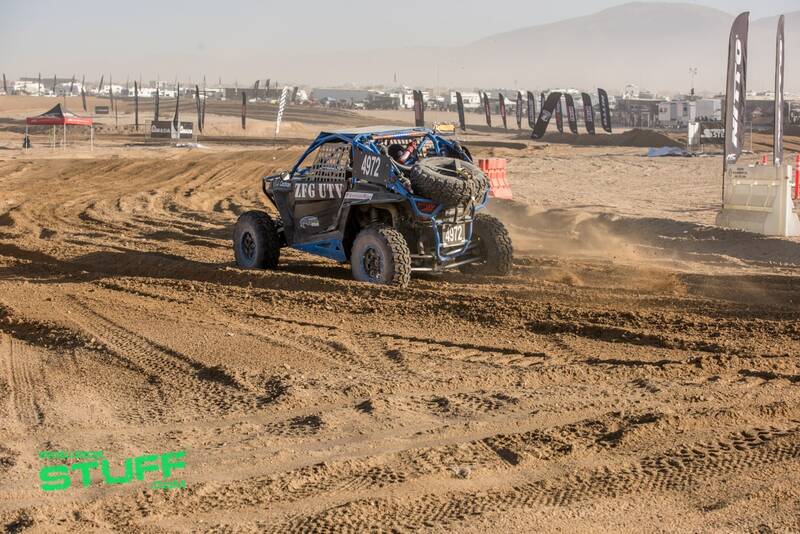 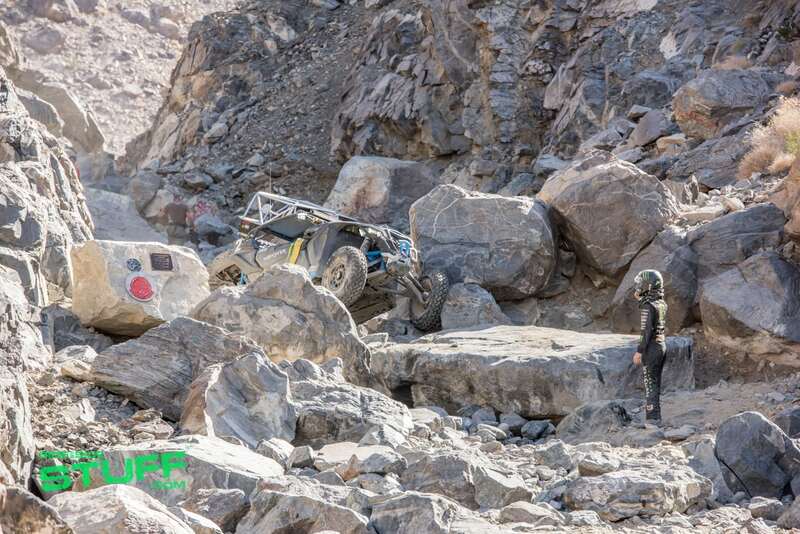 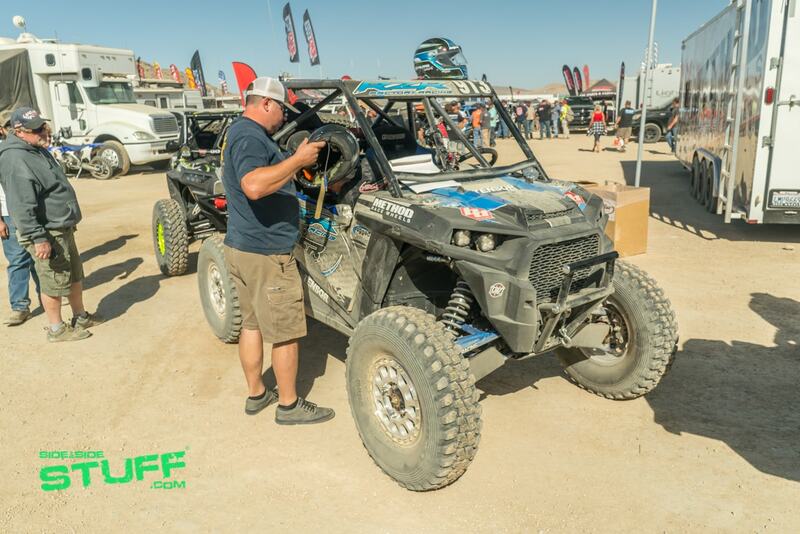 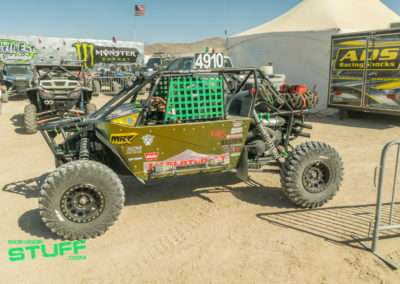 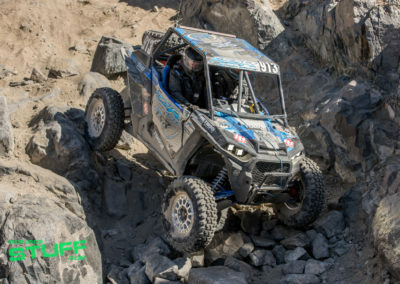 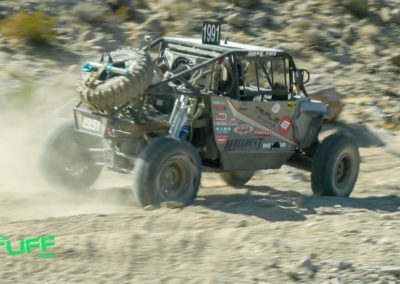 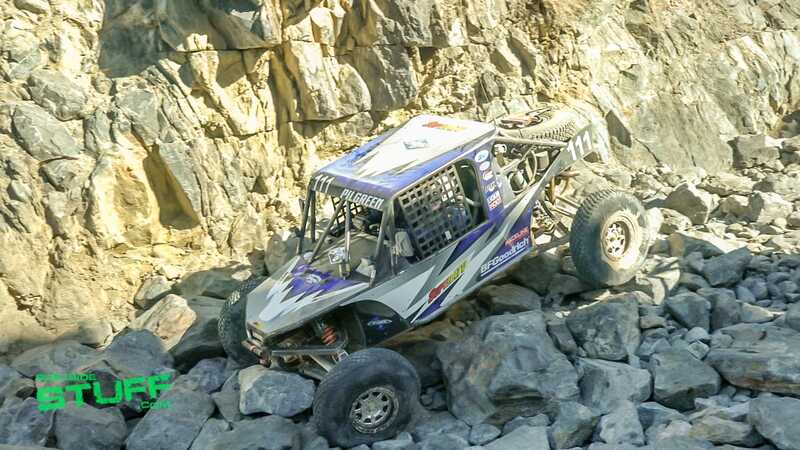 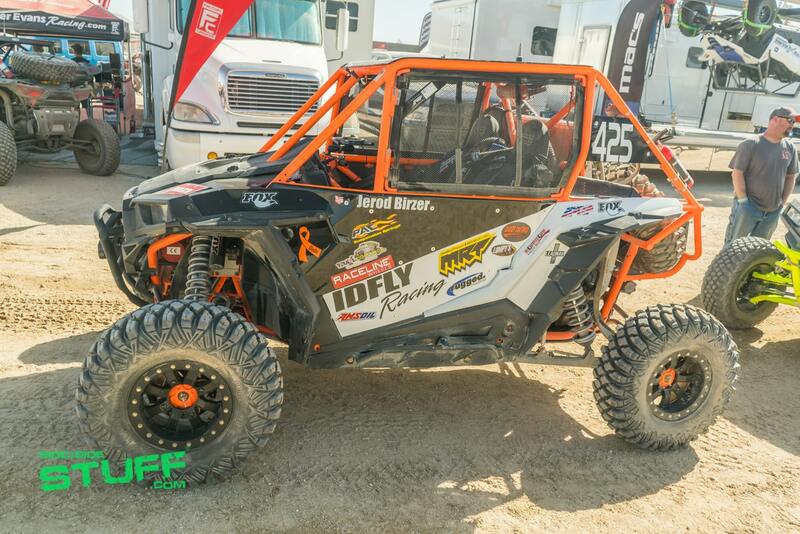 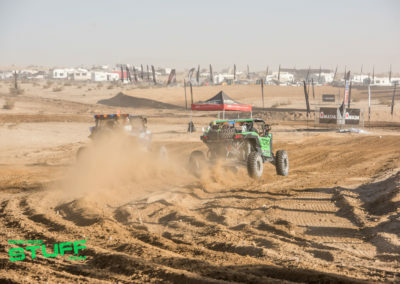 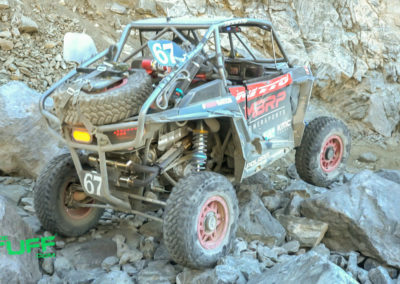 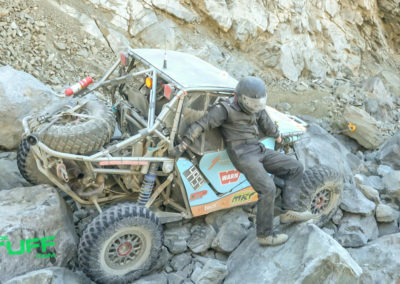 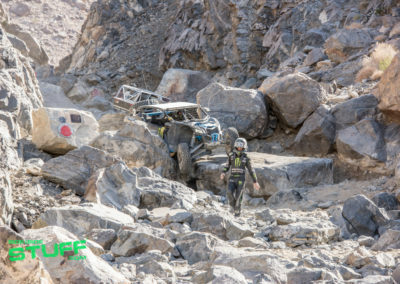 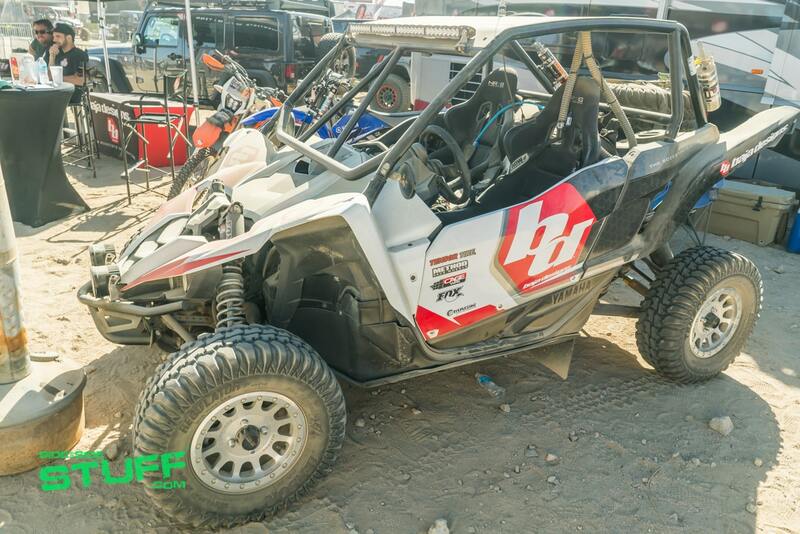 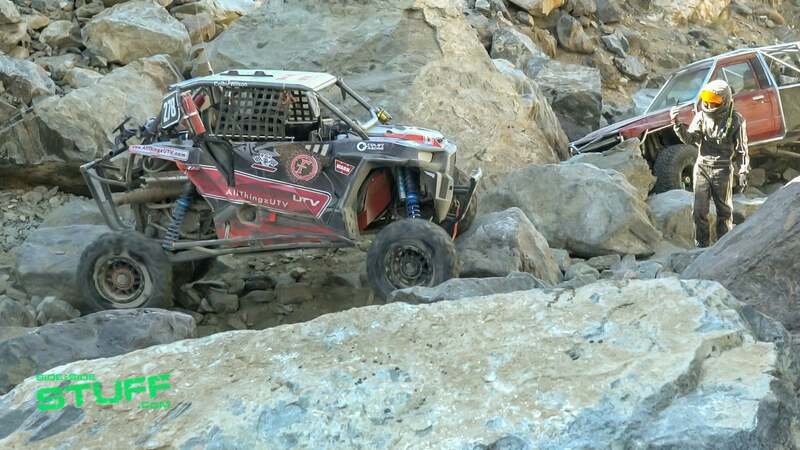 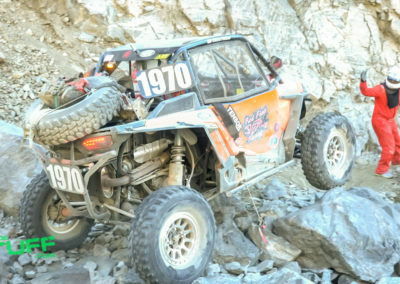 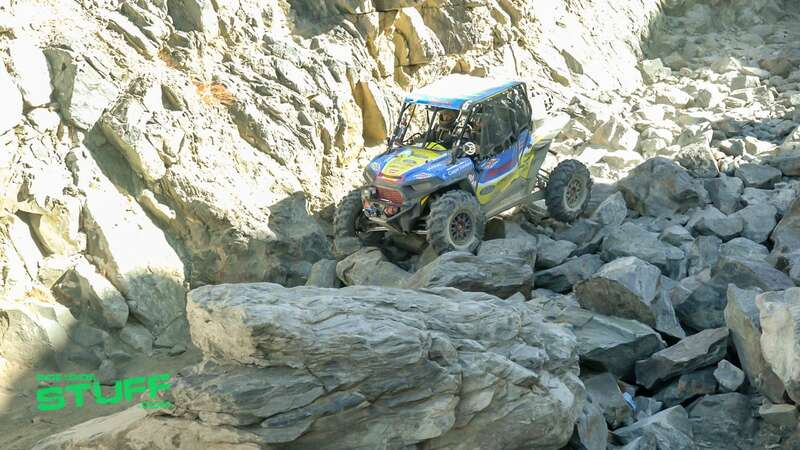 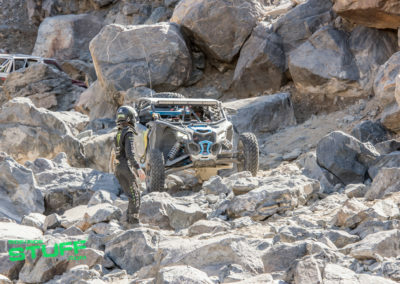 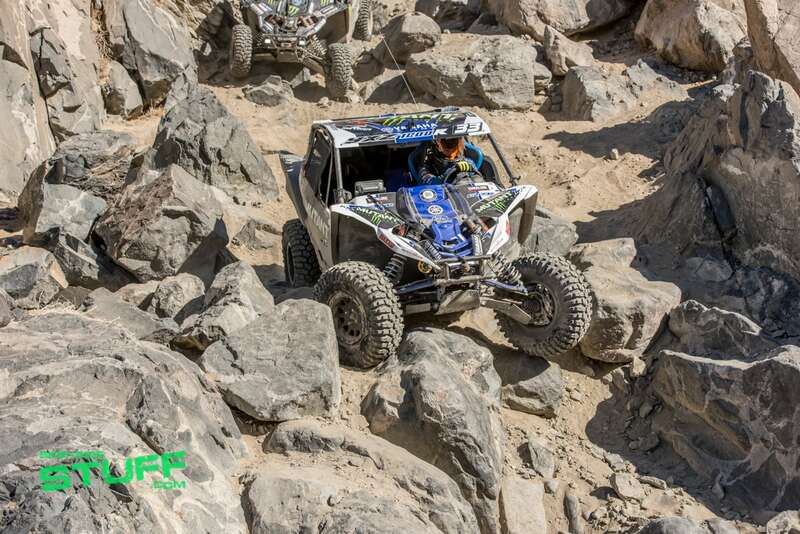 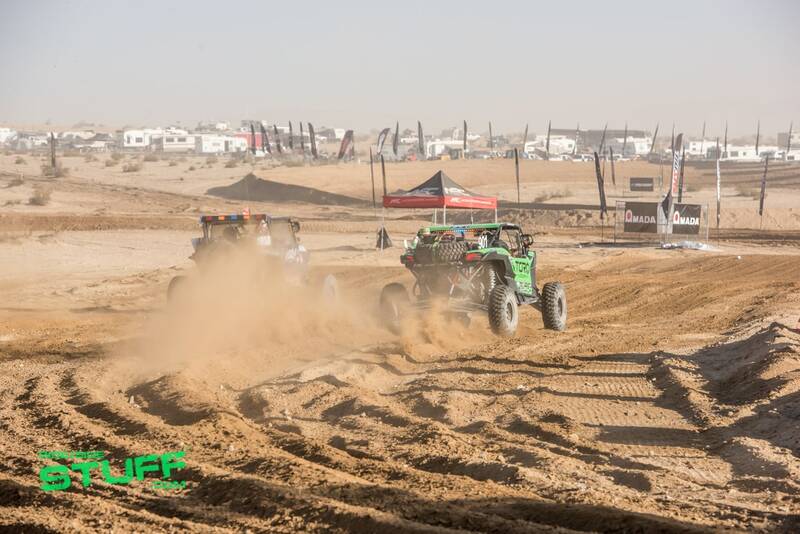 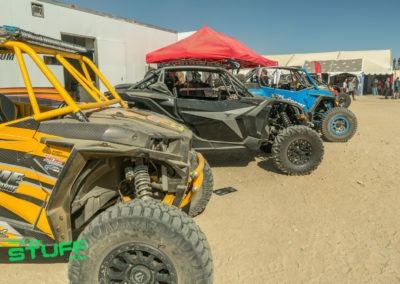 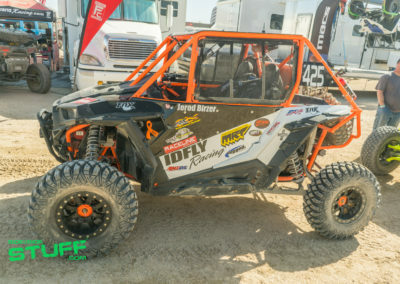 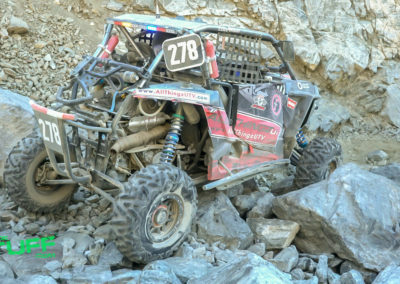 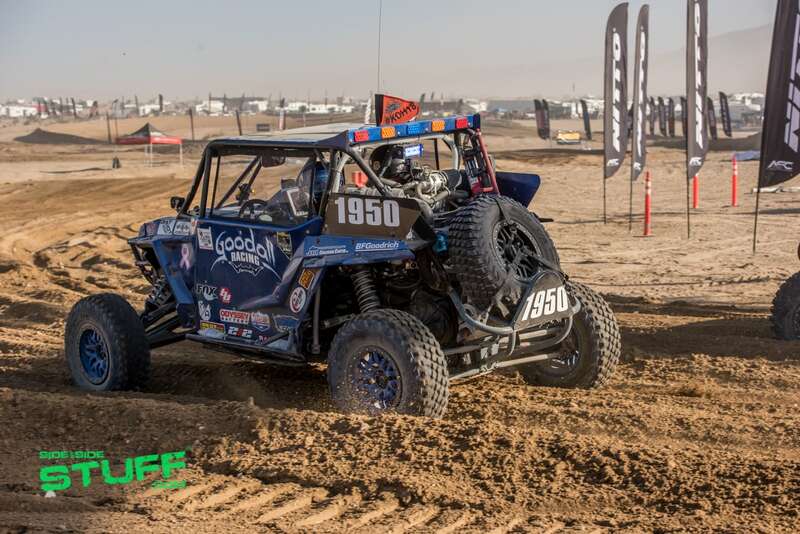 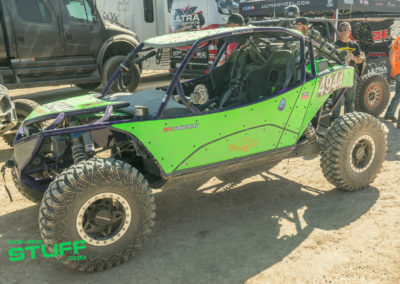 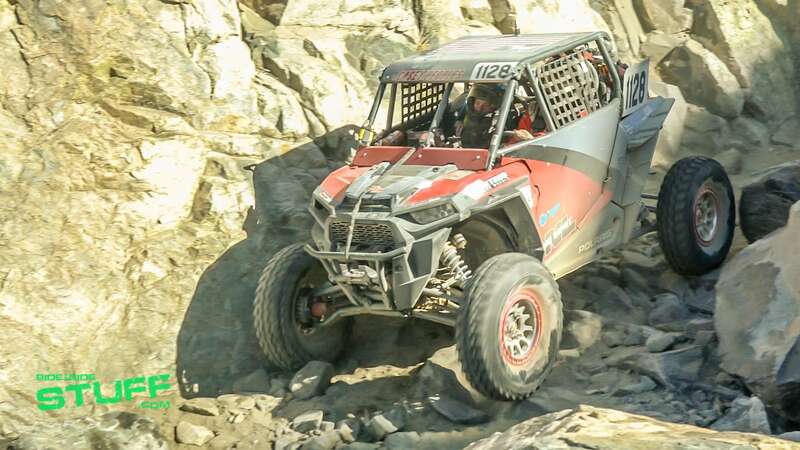 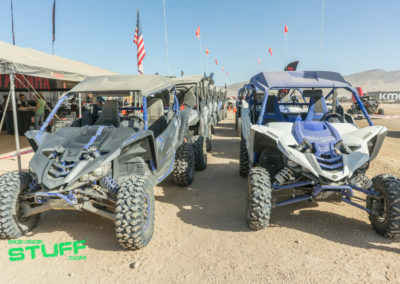 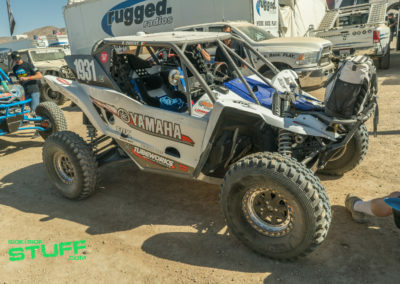 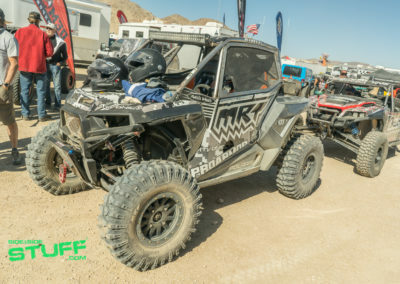 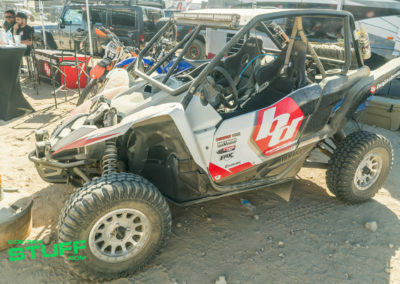 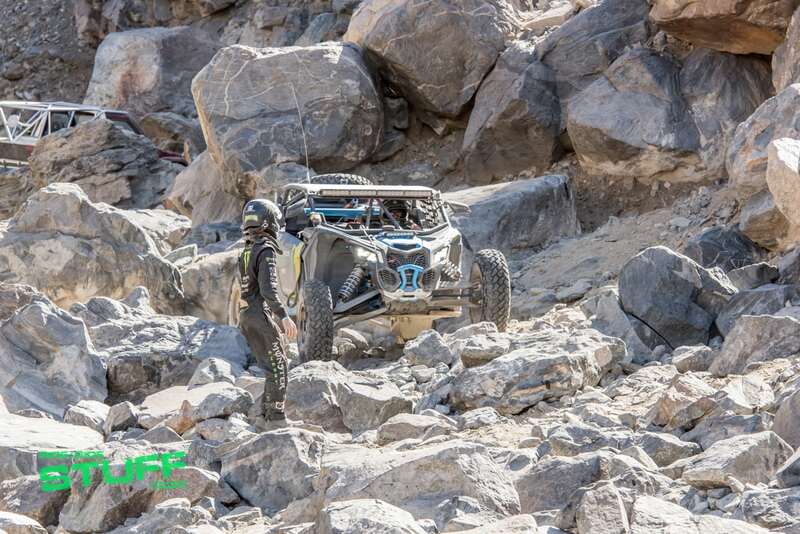 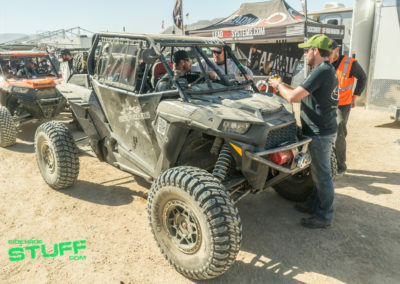 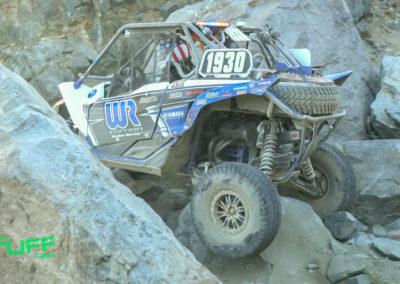 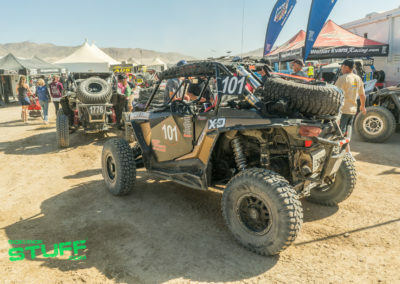 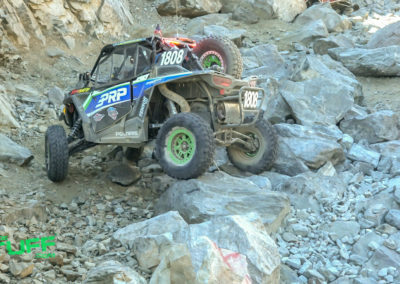 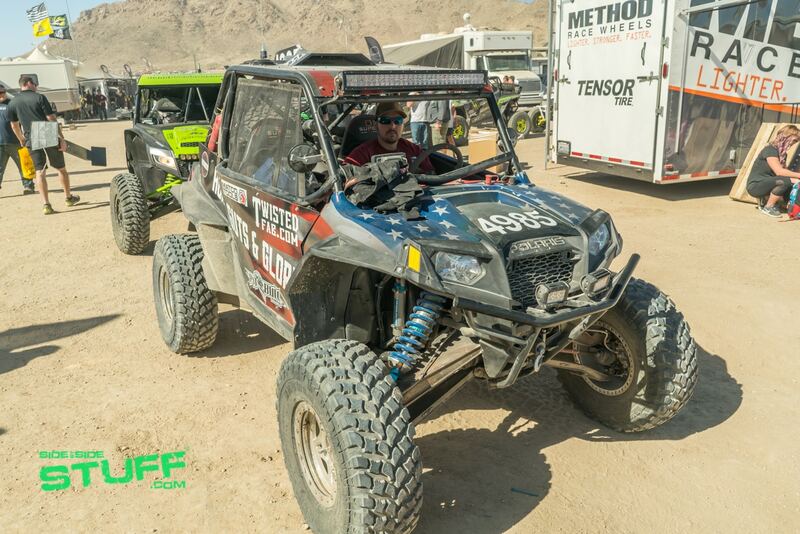 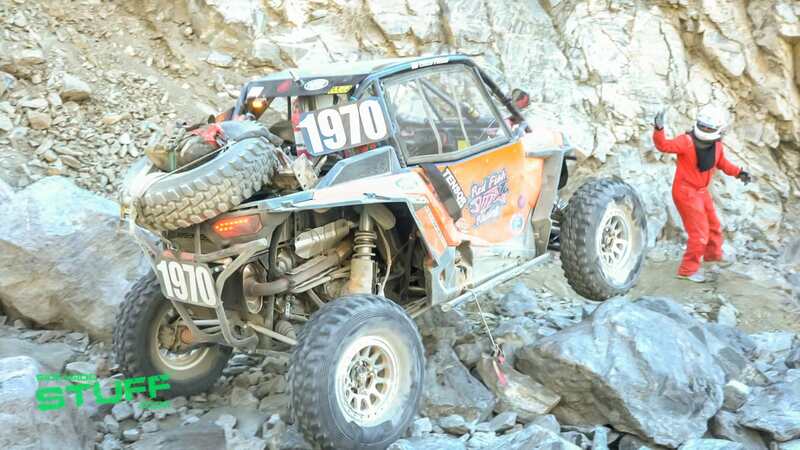 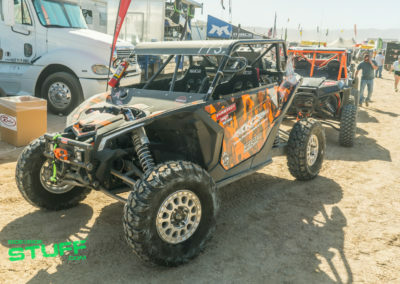 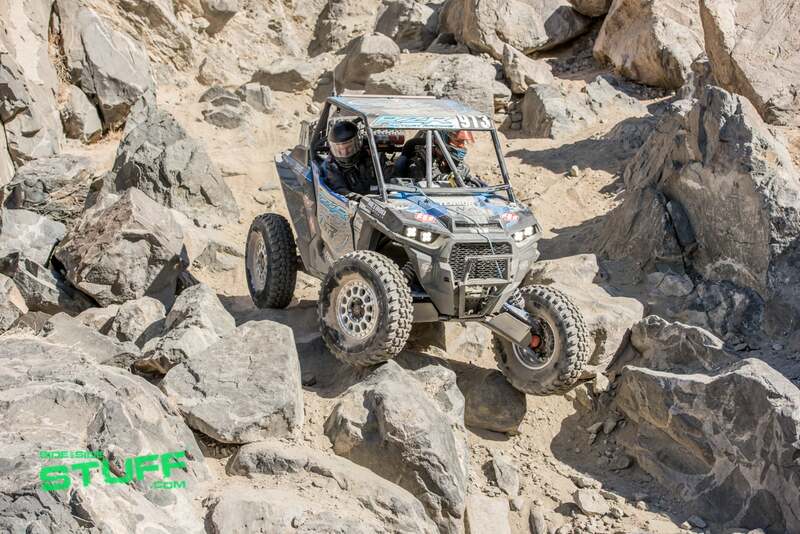 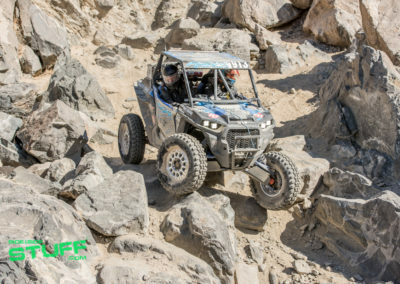 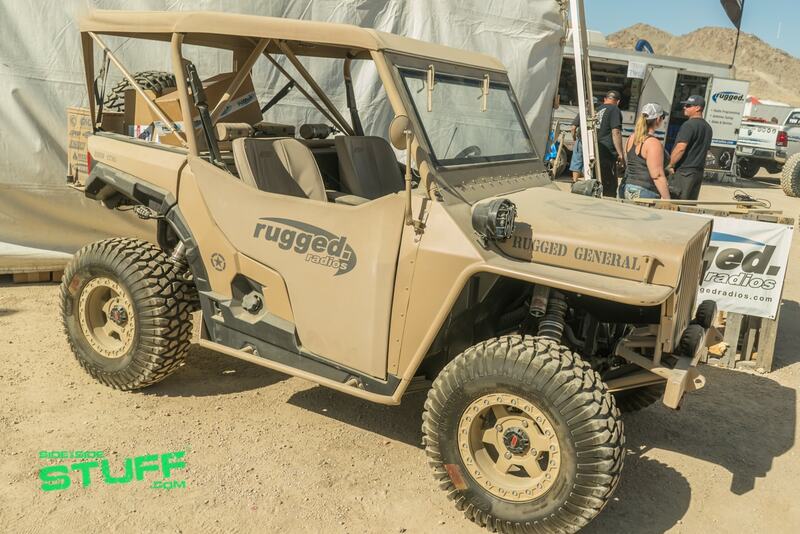 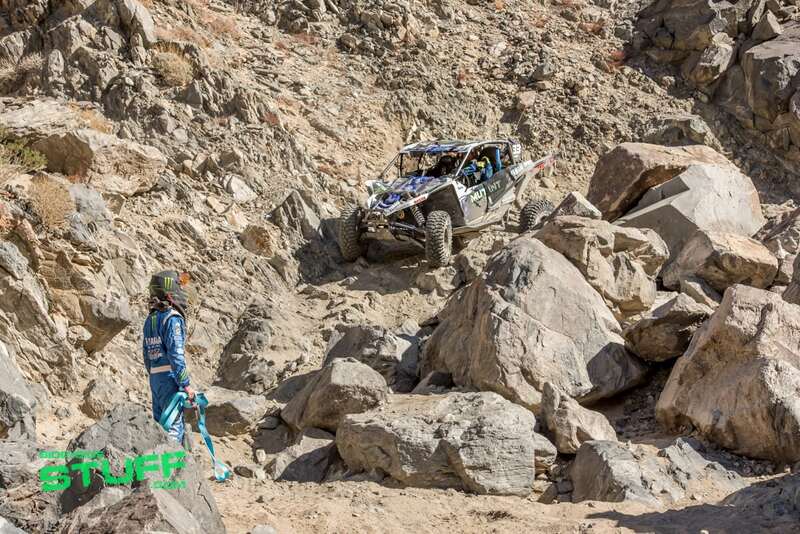 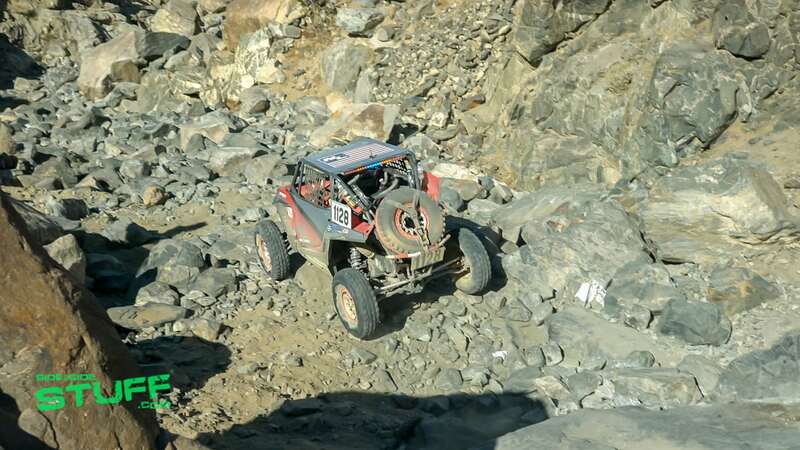 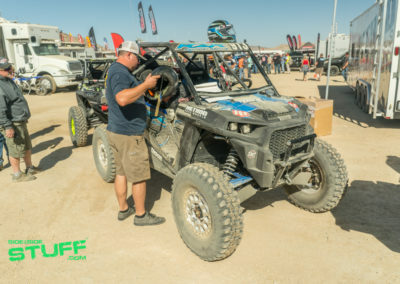 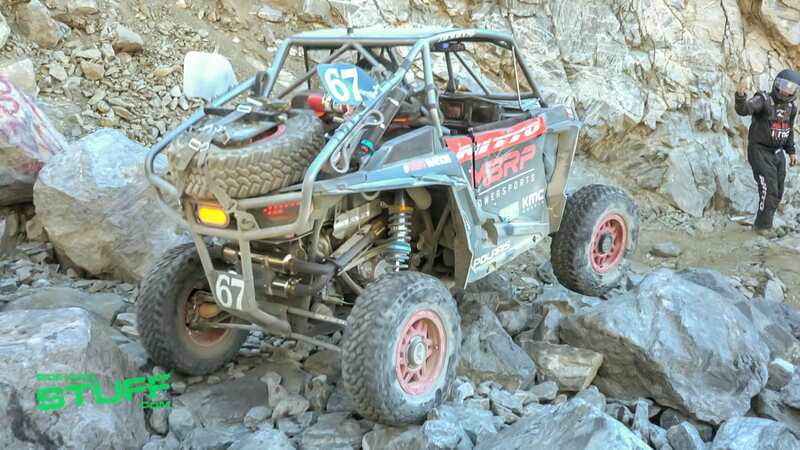 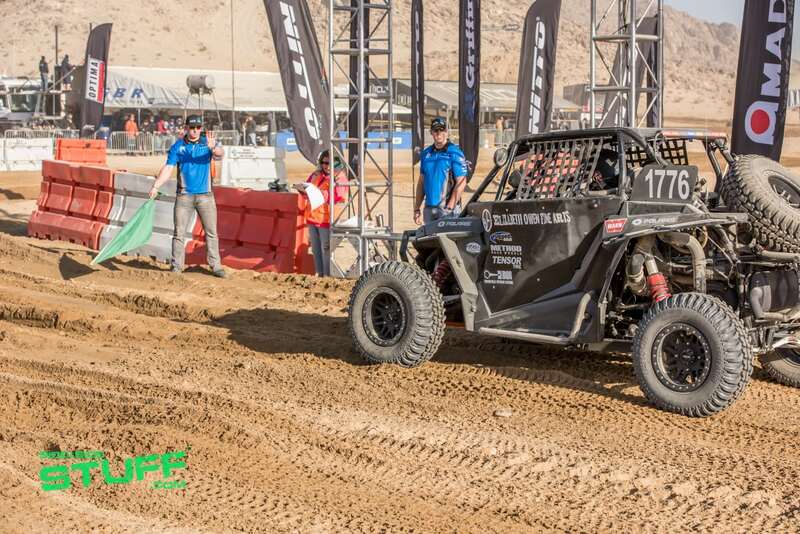 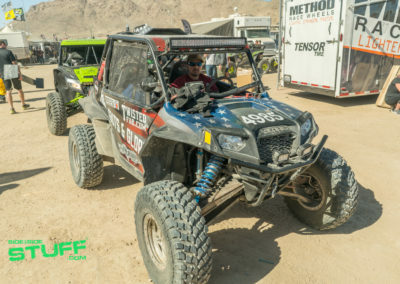 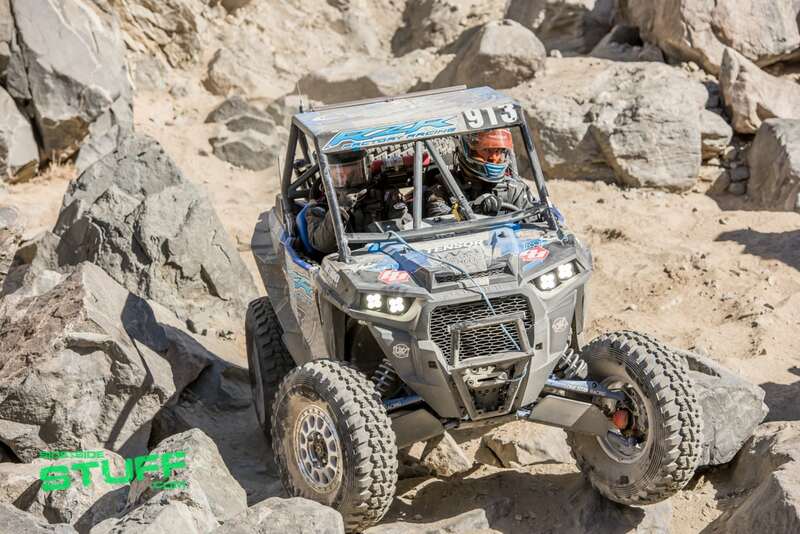 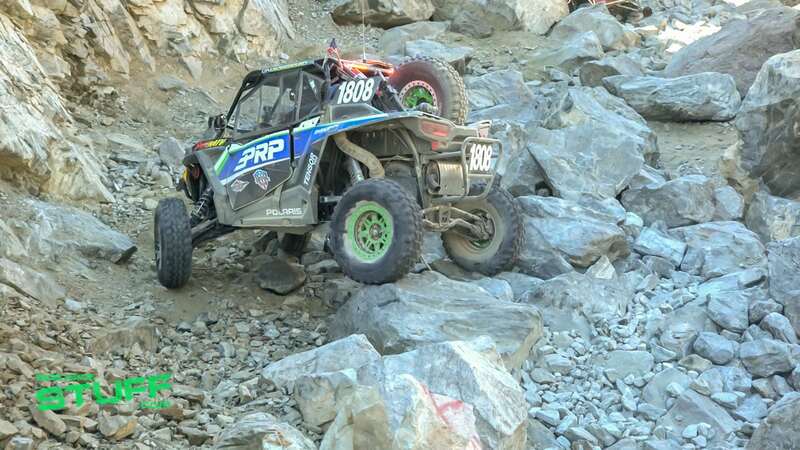 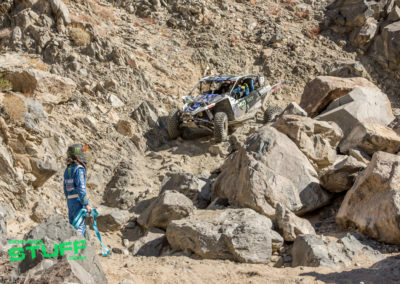 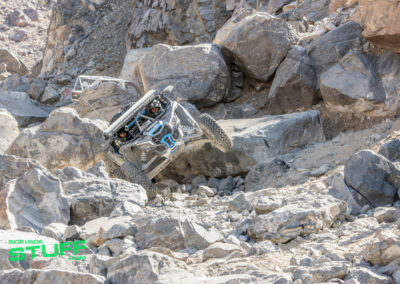 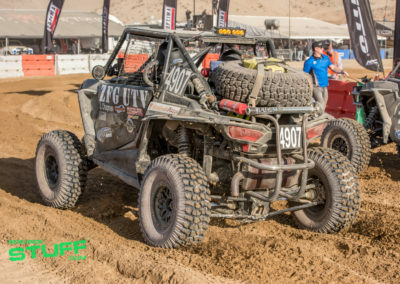 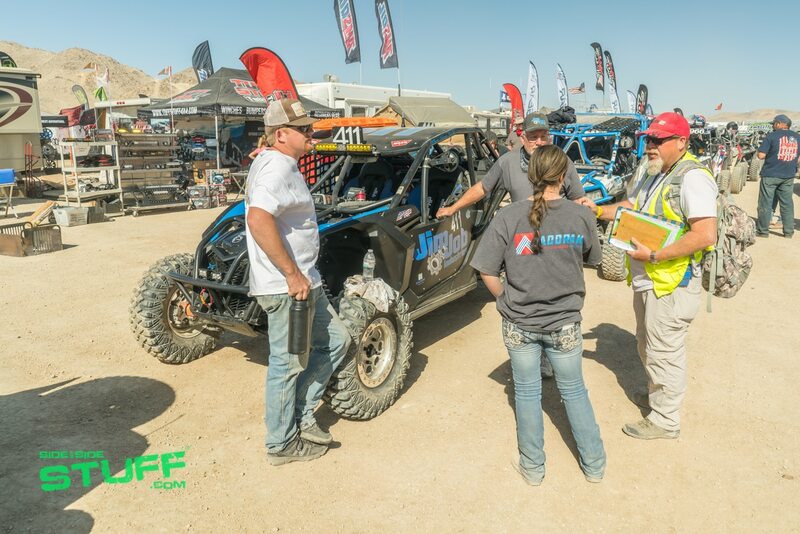 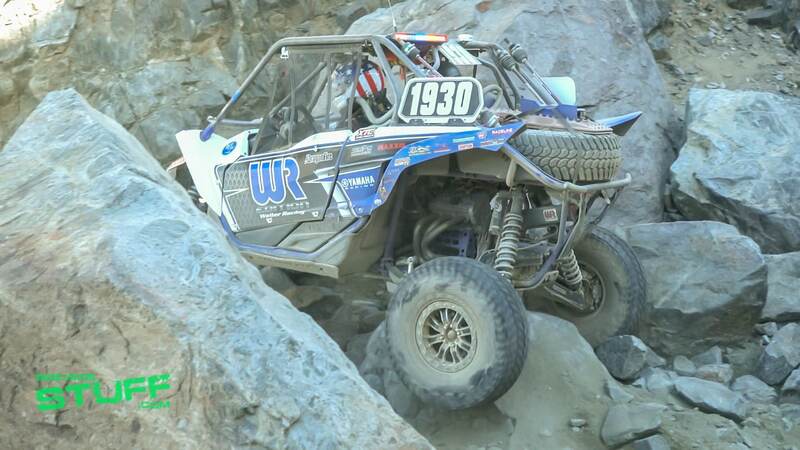 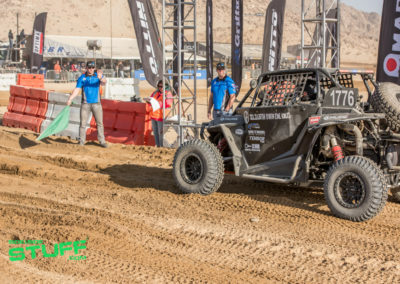 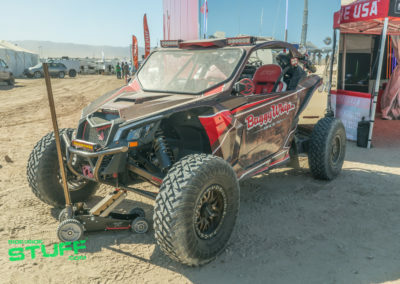 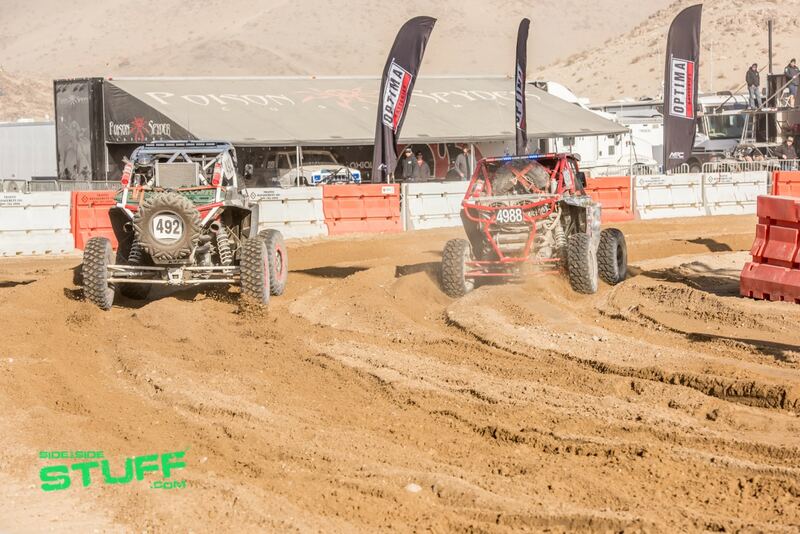 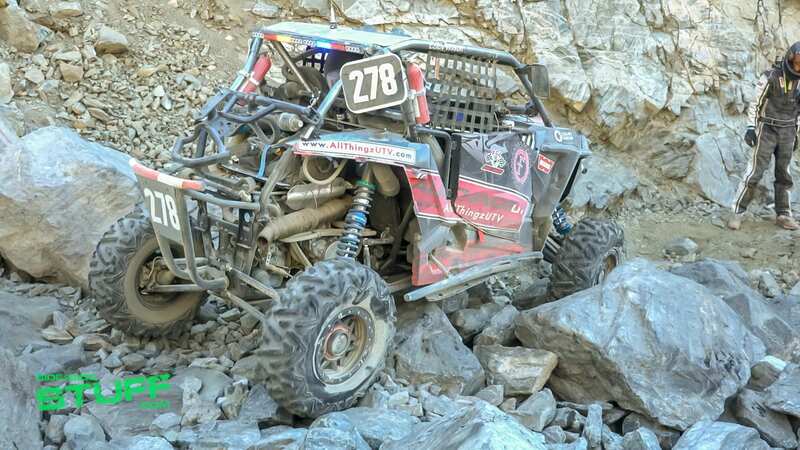 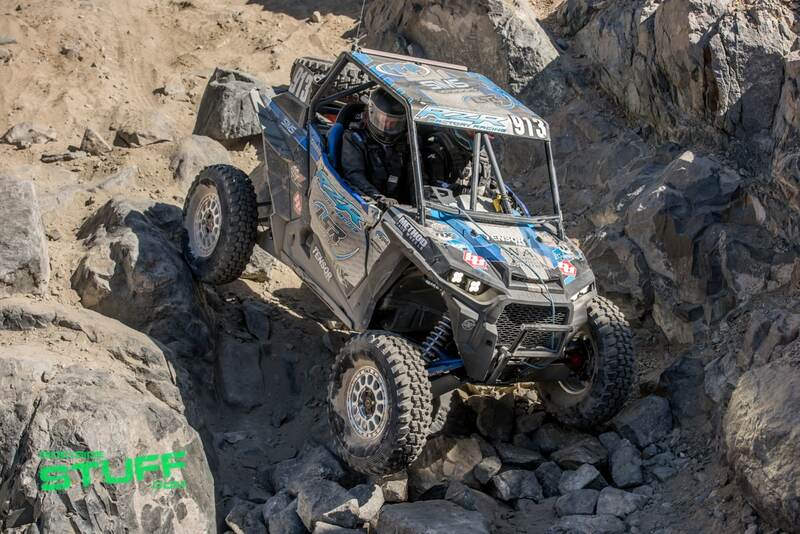 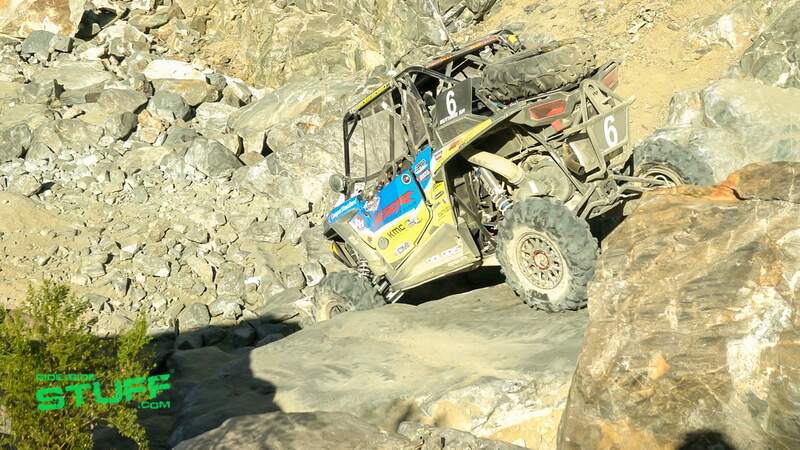 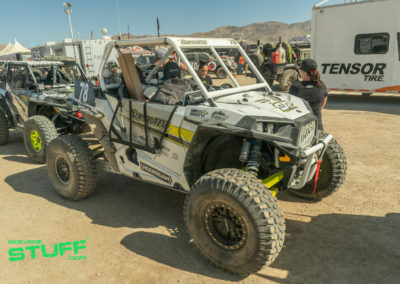 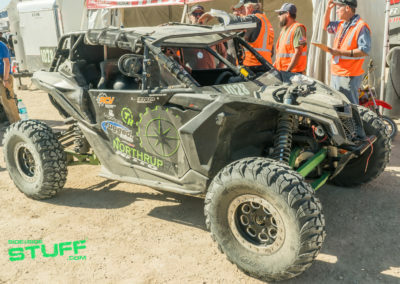 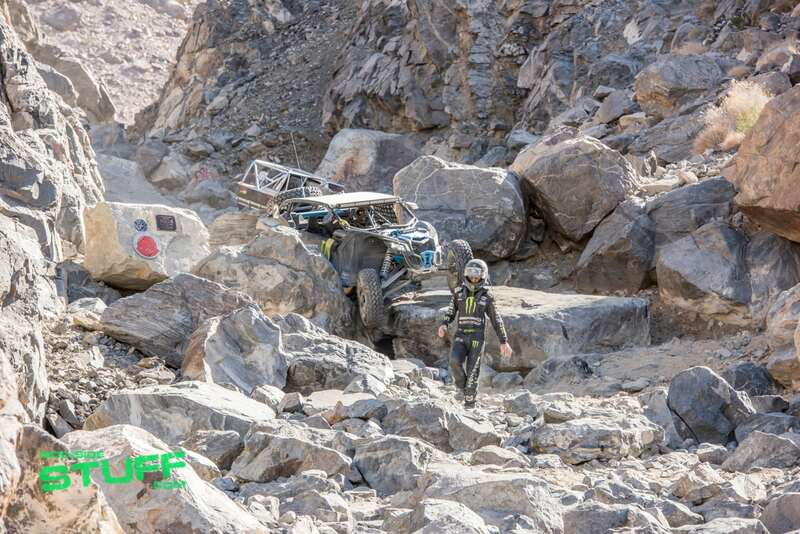 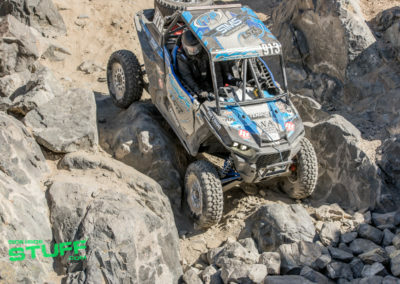 Any UTVs that were still on the course after 8 hours were considered DNF, but several were still on the course well past 10 hours as many teams were determined to finish the race as it is a very respectable accomplishment. 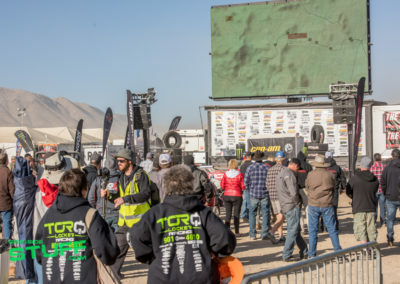 KOH’s Hammertown boasts of several activities to enjoy, many attendees choose to hang out in a spectator area in the middle of Hammertown where a large jumbotron displayed a live feed of each race. 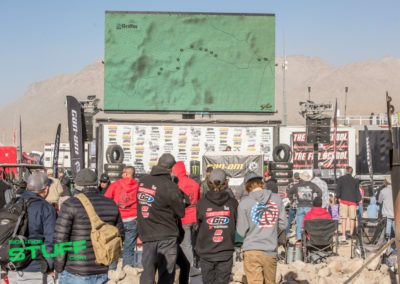 This offered spectators a great alternative view providing a close look at all of the action on the course, in the pits and at the start and finish line. 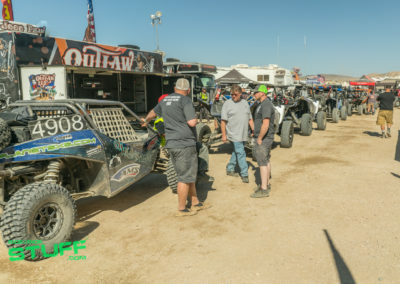 Tech and Contingency takes place in Hammertown as well, fans could get up close to drivers and their vehicles as they wait in line to check in. 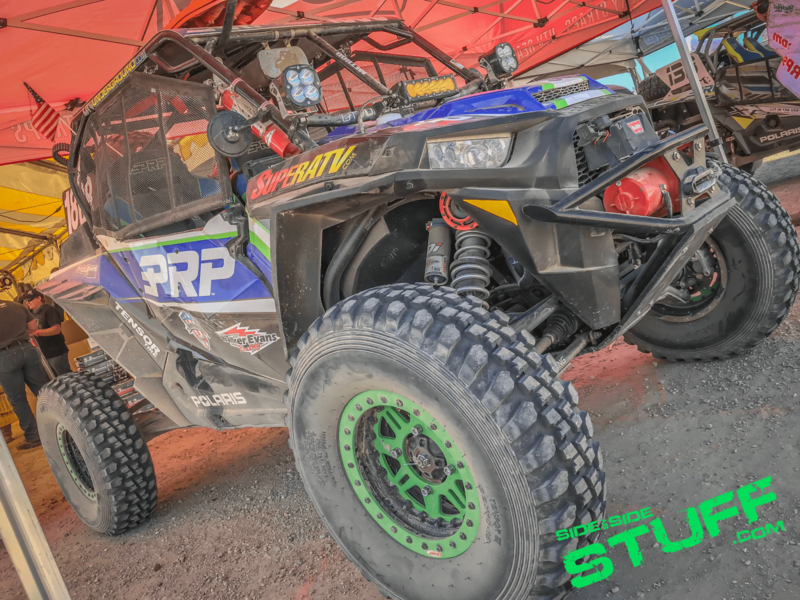 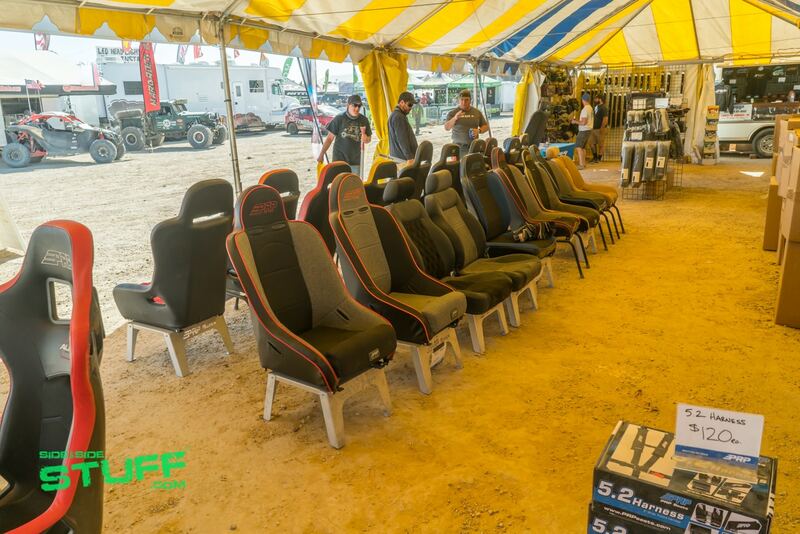 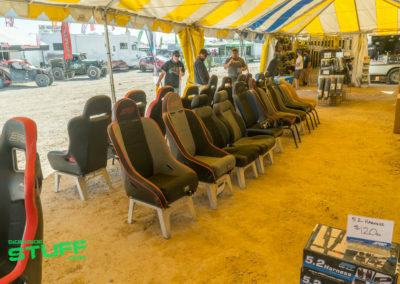 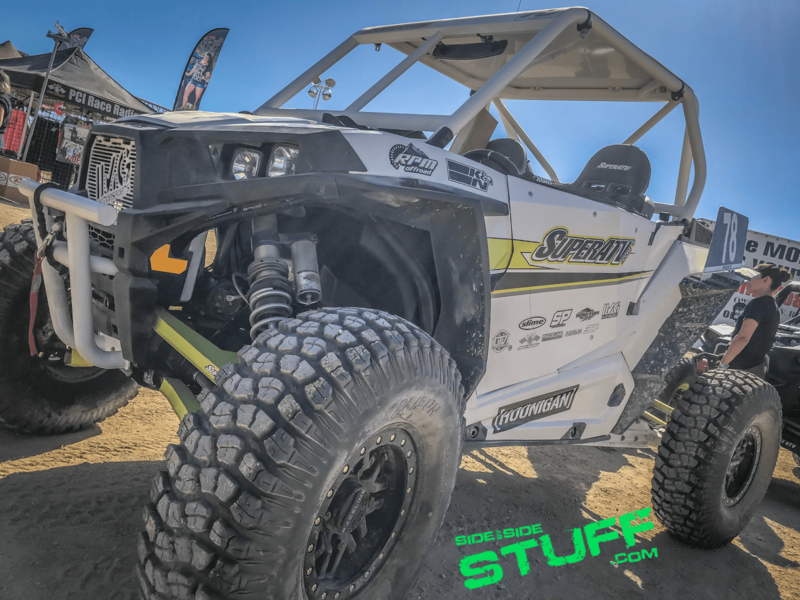 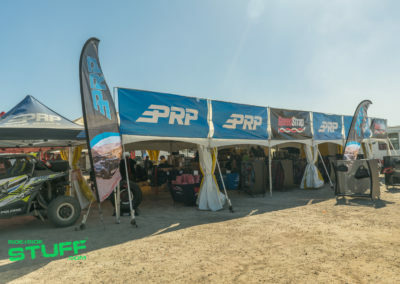 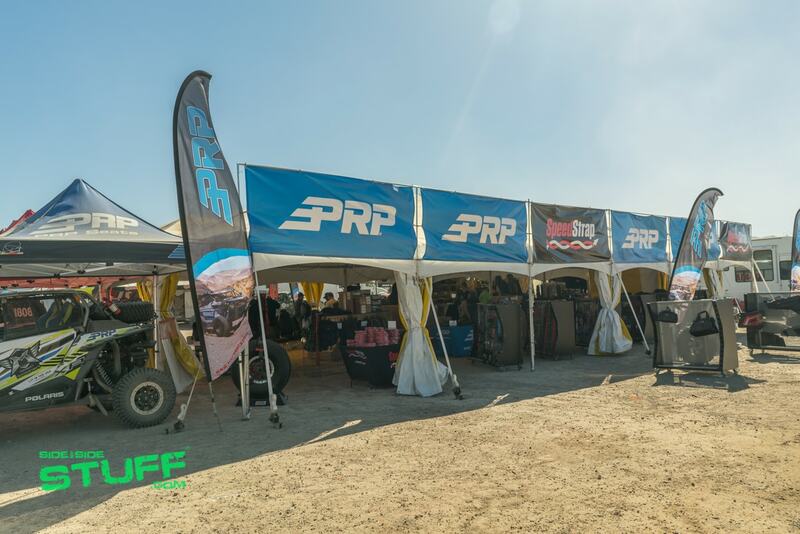 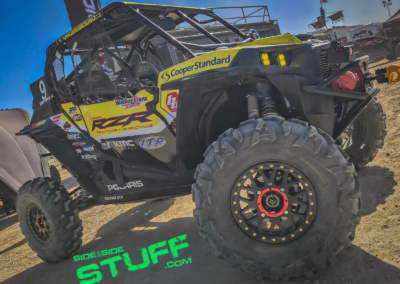 Another great attraction to Hammertown is the large vendor row that included many of the top UTV industry vendors like PRP Seats, Pro Armor, Fuel Off-Road, Rugged Radios, SpeedStrap, KMC Wheels, ZBroz Racing and Method Race Wheels. 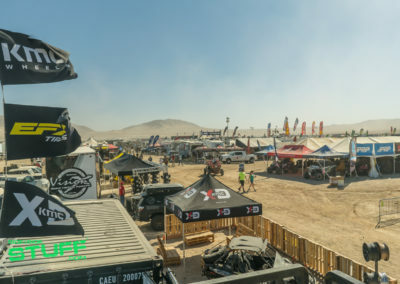 Vendors set up shop with products on display and for sale as well as passing out freebies while visiting customers and fans. Attendees also had a chance to participate is several activities like singing Karaoke and competing in the KMC Wheels Belly Flop Competition. 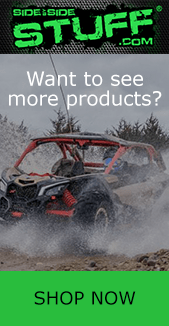 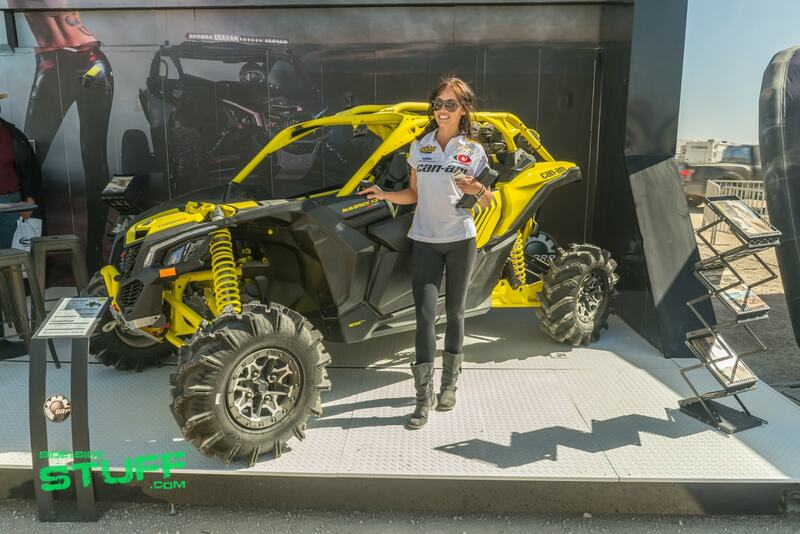 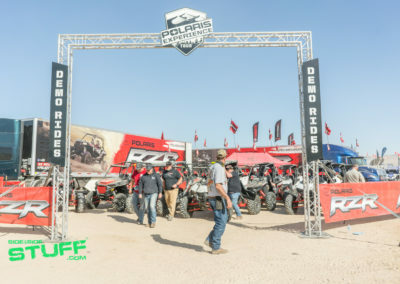 OEMs such as Polaris, Can-Am, Yamaha and Textron Offroad were present offering demo rides of their latest UTV’s. 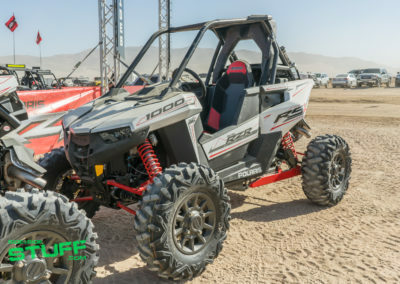 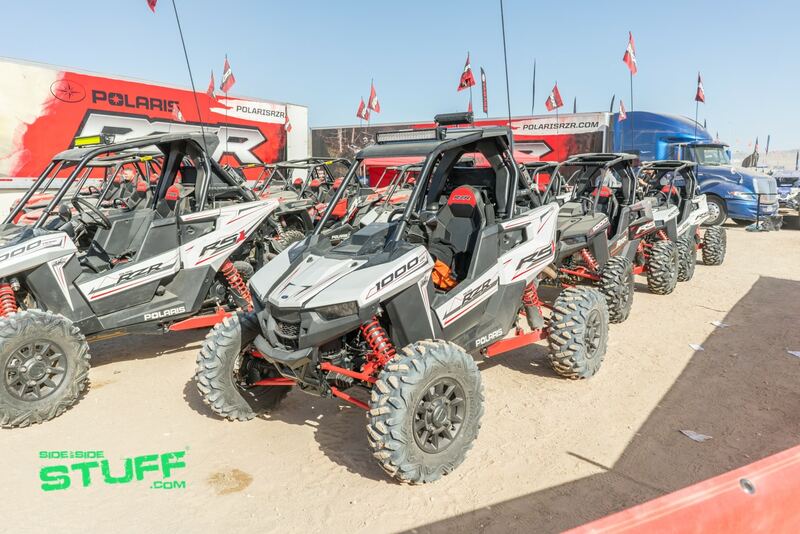 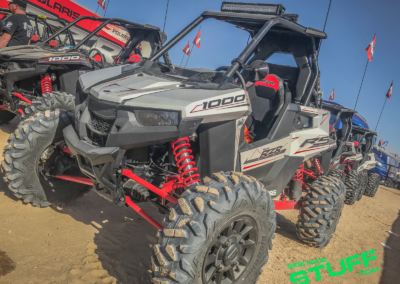 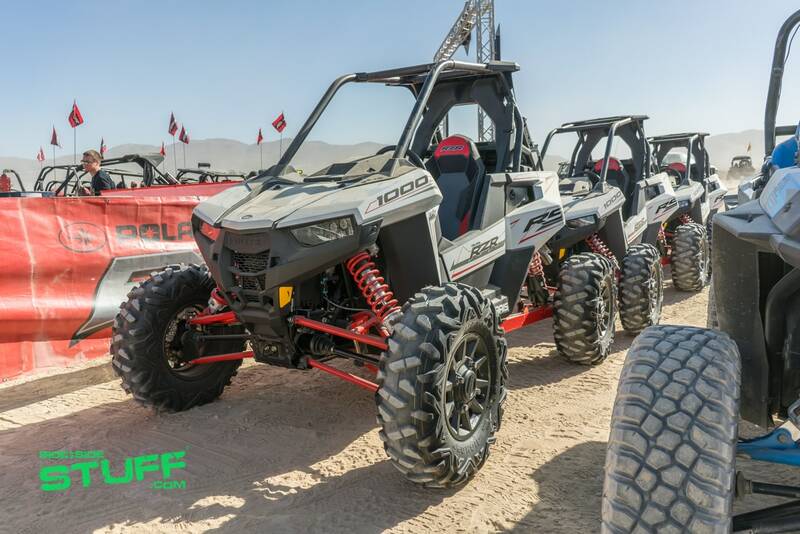 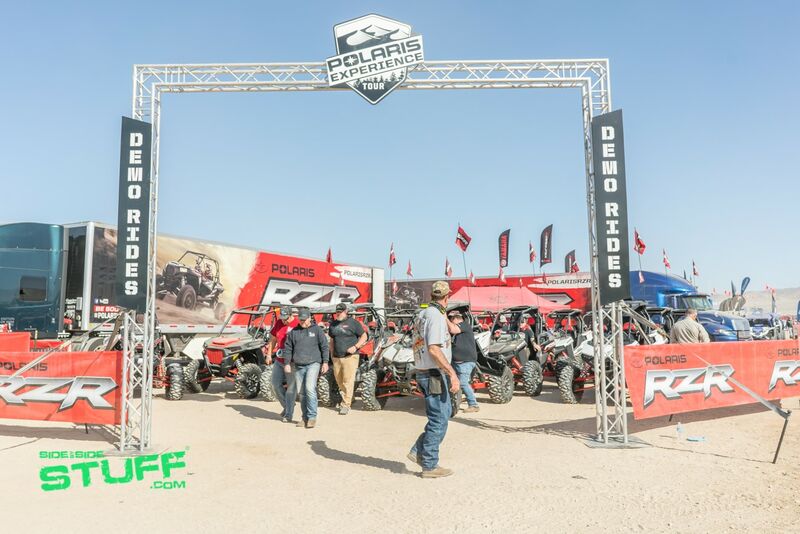 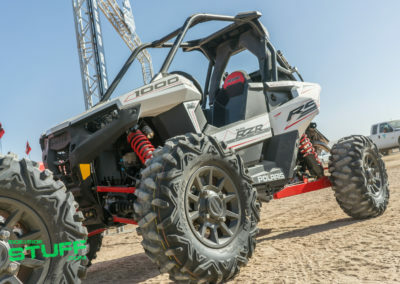 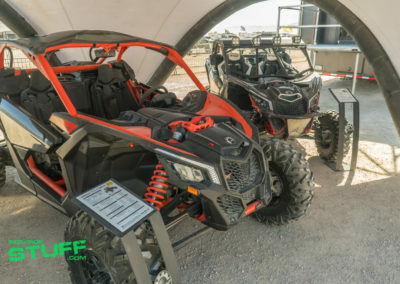 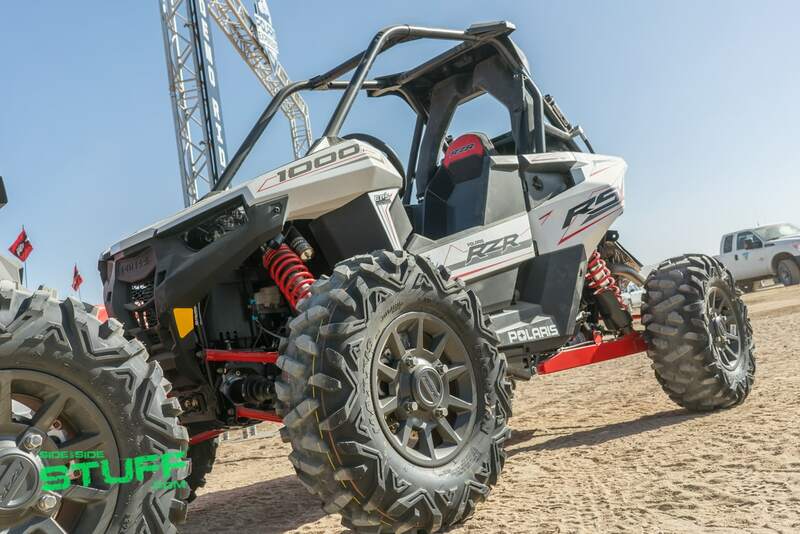 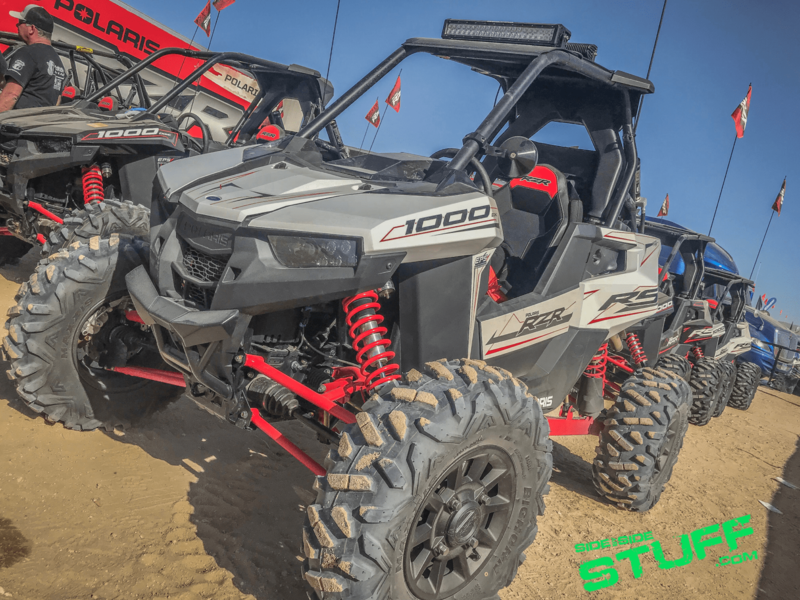 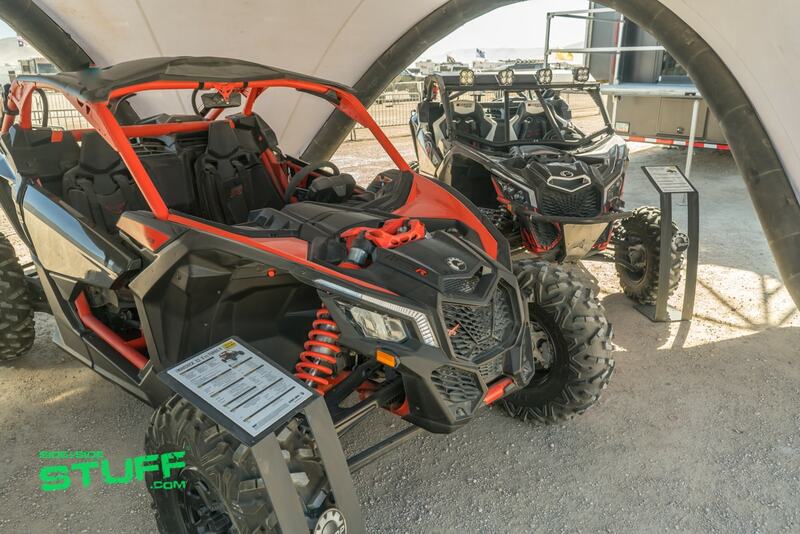 Polaris bought a fleet of new RZR RS1 machines, many attendees were very excited to test drive the new single seat RZR let alone get a close look at it. 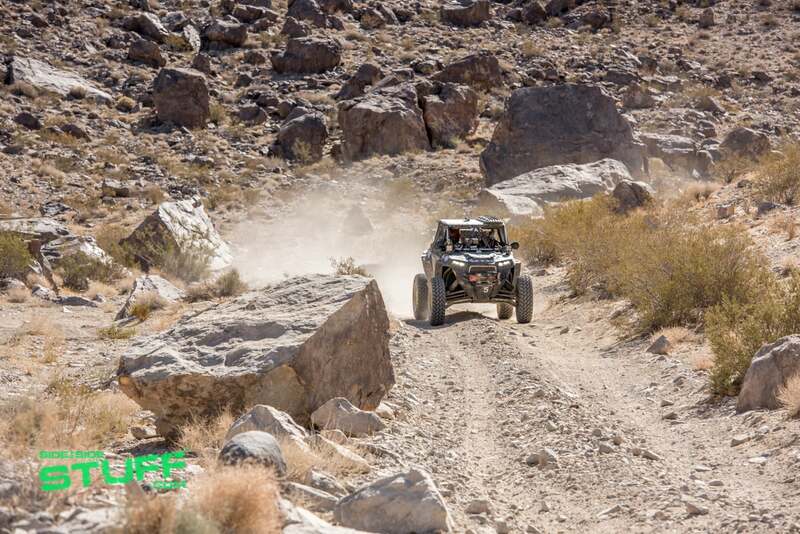 Johnson Valley is a Bureau of Land Management area in San Bernardino County near Yucca Valley, California. 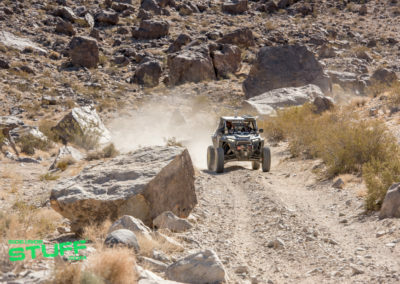 Set aside for recreational use, the 96,000 acre OHV area offers riding for every skill level with a variety of terrain from dry lake beds and open desert and valleys to the steep red rocky mountains, rocky ridges and extreme hills known as the Hammers. 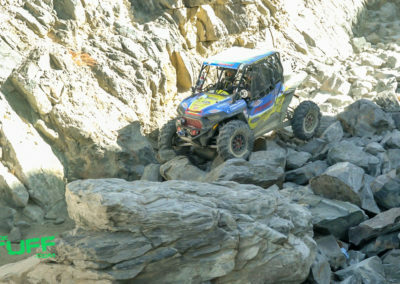 A premier riding destination, the epic desert scenery and various terrains make it a thrilling place for some quality riding. 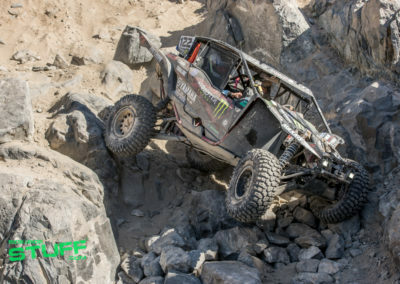 All in all, the 2018 King of the Hammers was an awesome event. 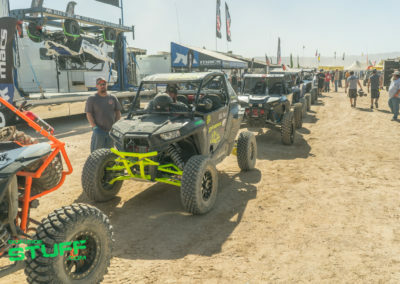 Not only was it thrilling to watch a variety of races and competitions featuring the best drivers in the industry, the event was jam packed with fun activities with nonstop things to do. 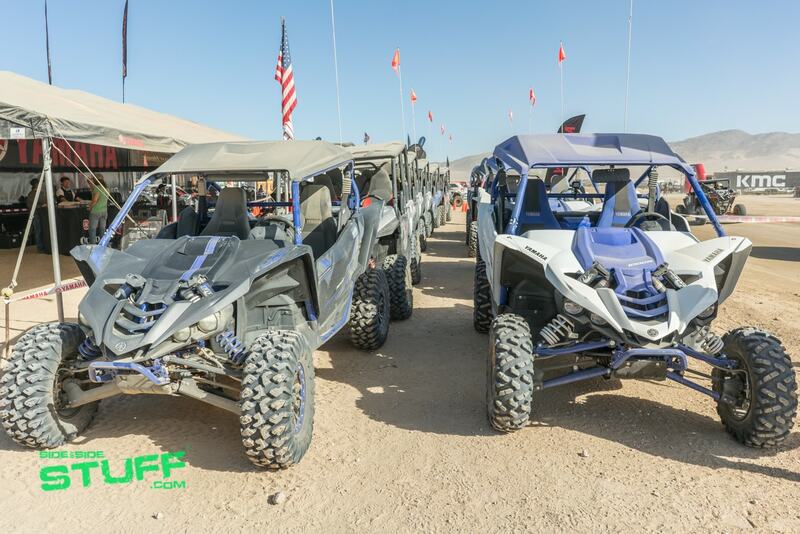 Plus you could go out and ride in the desert and experience the thrill yourself. 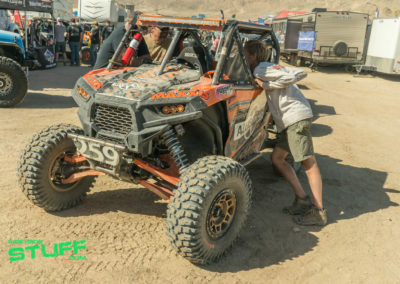 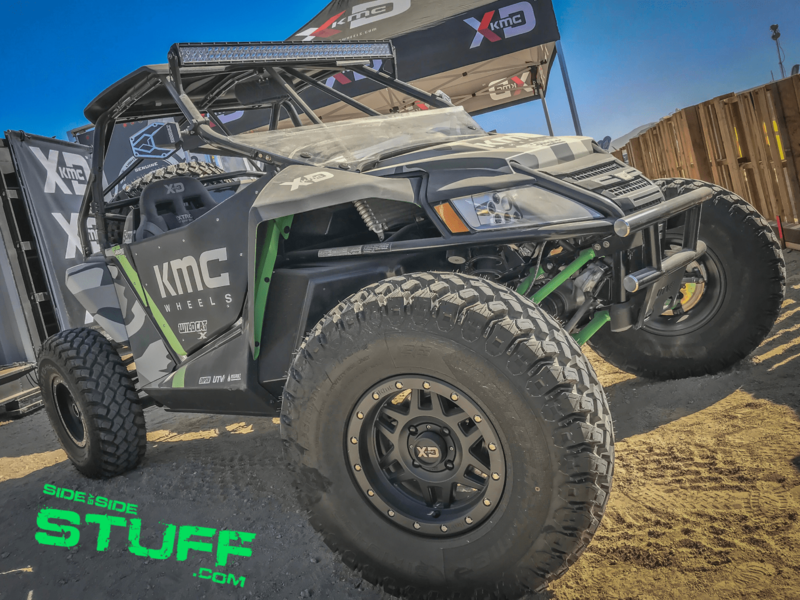 No matter what kind of off-road enthusiast you are, consider putting KOH on your bucket list; it’s not too early to start planning your trip for the 2019 King of the Hammers.